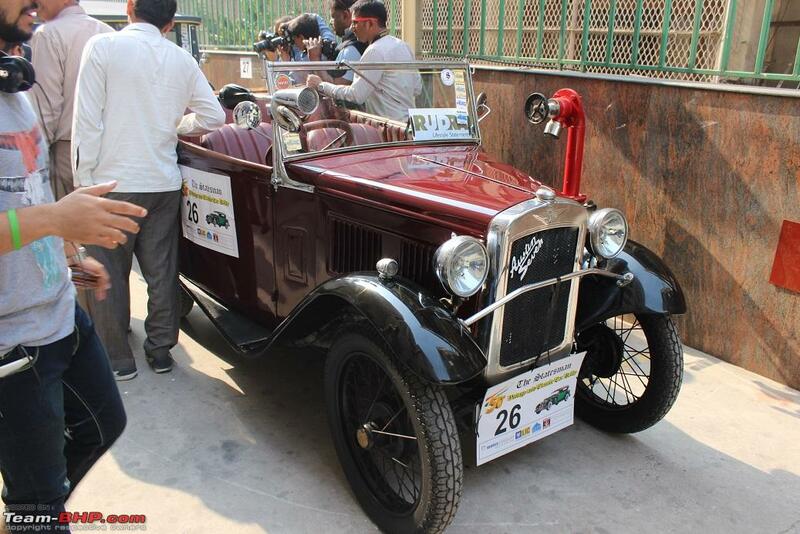 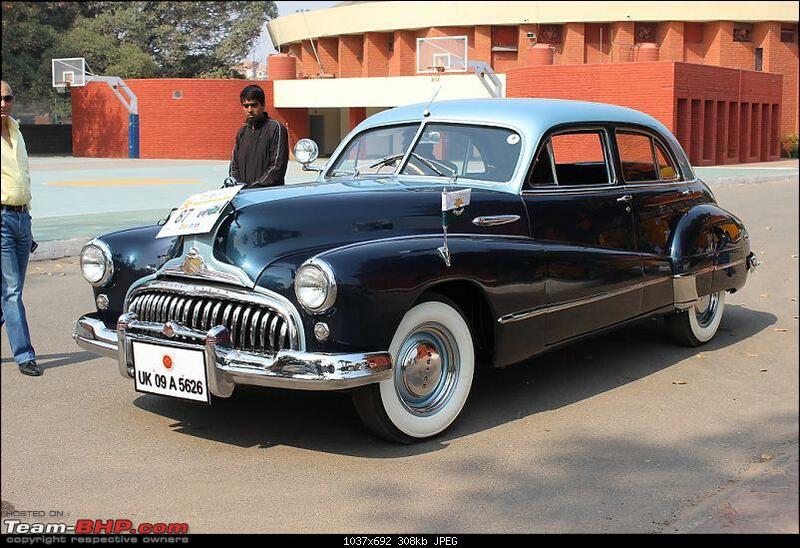 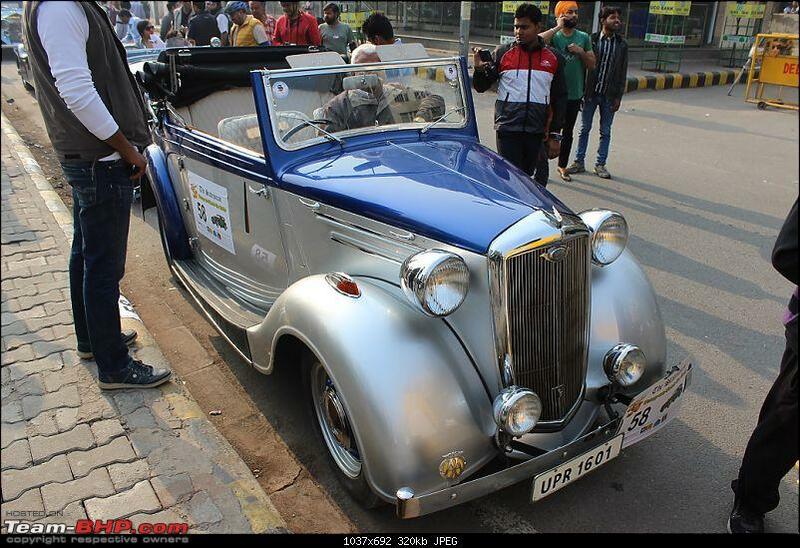 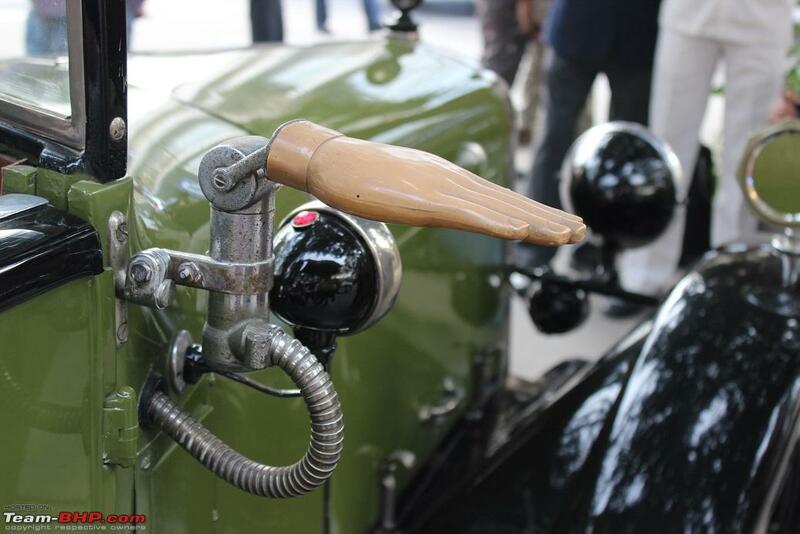 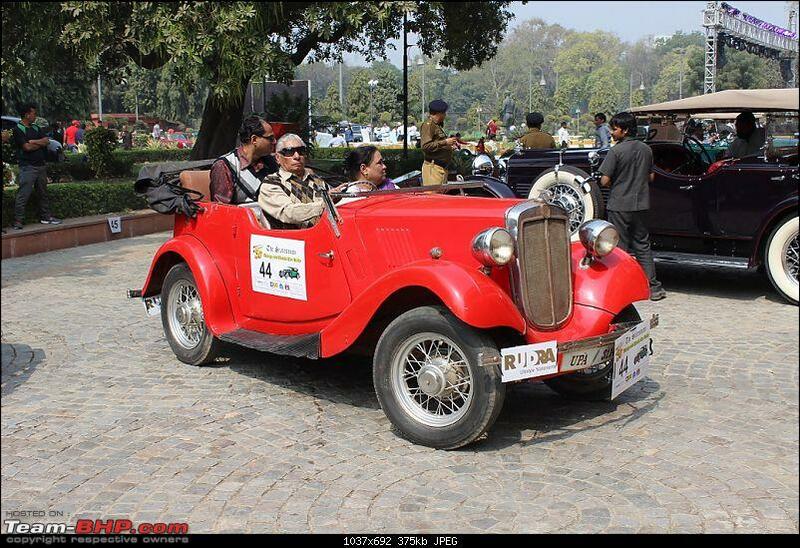 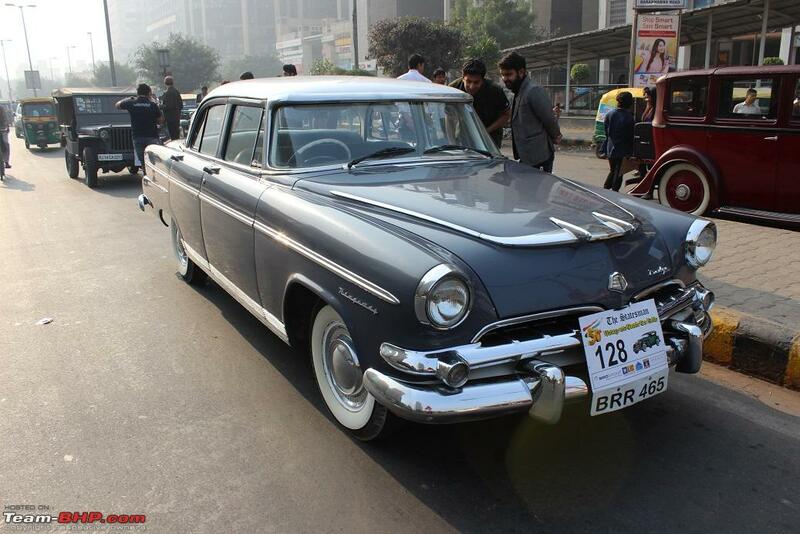 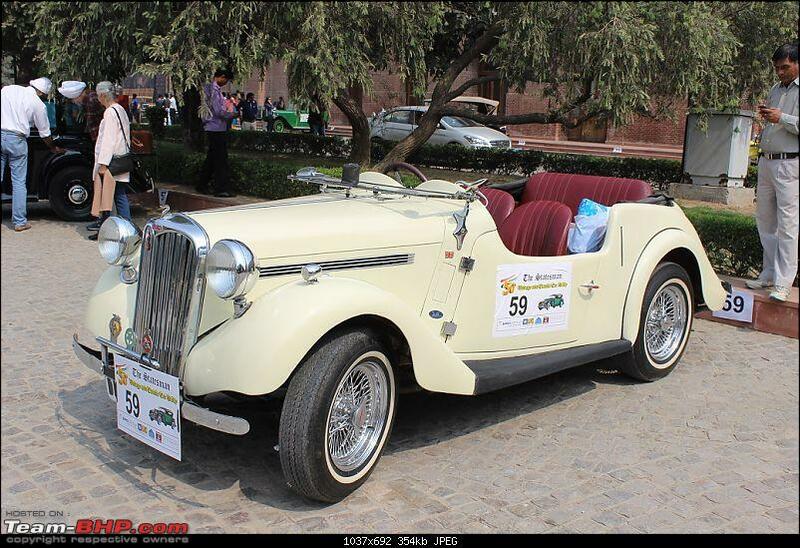 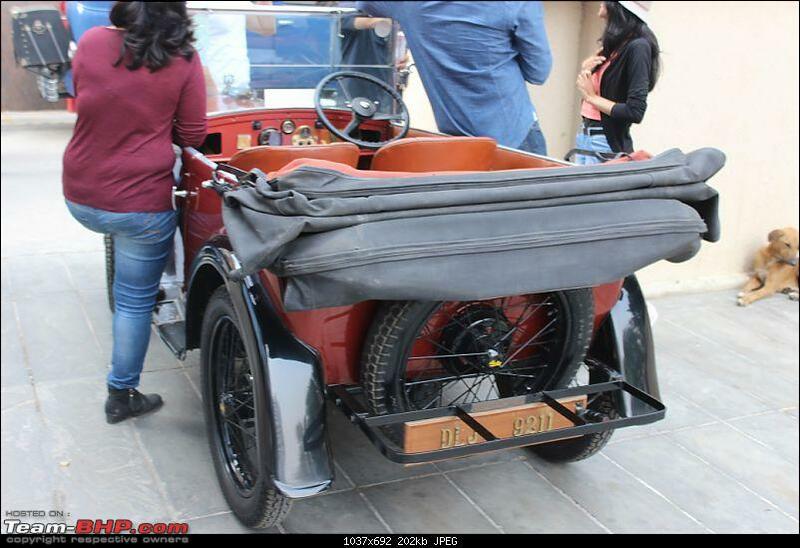 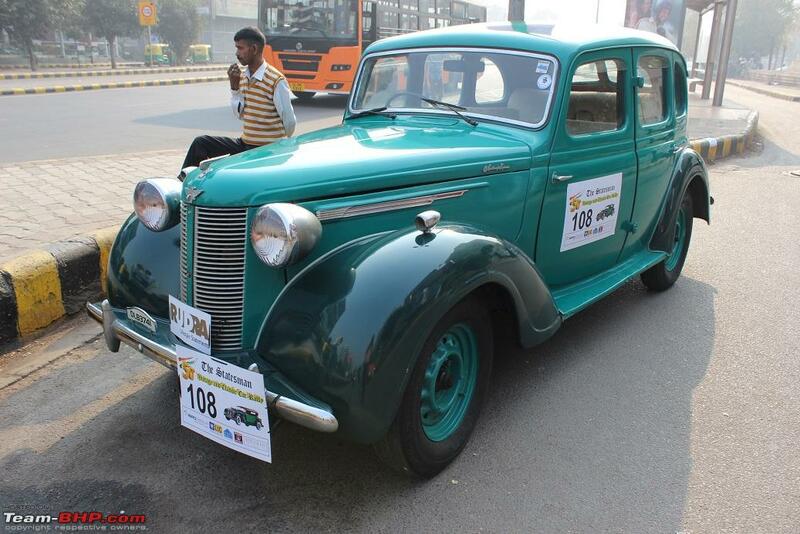 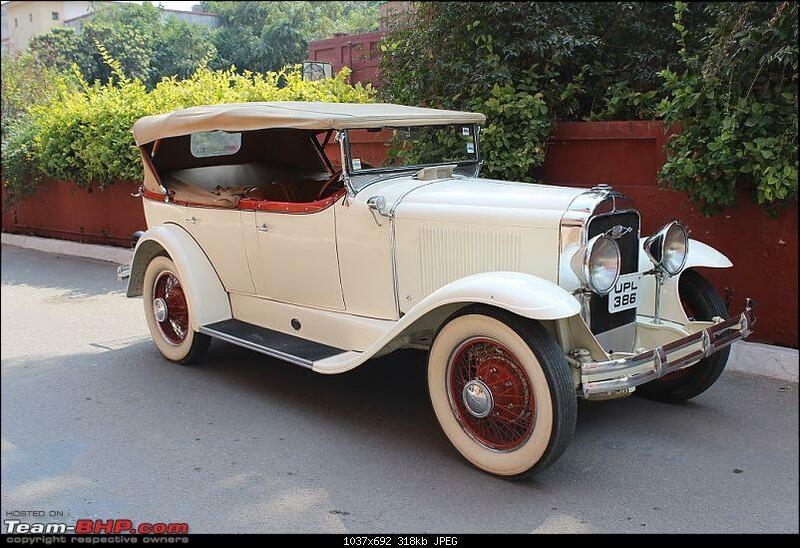 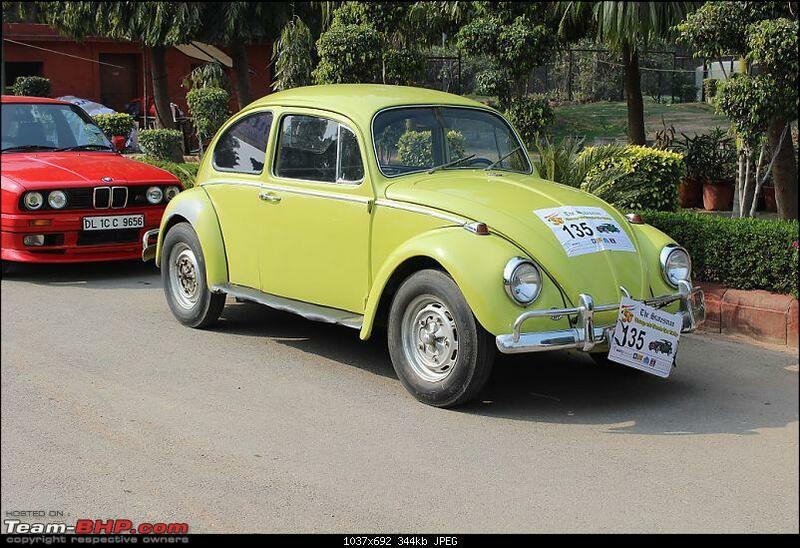 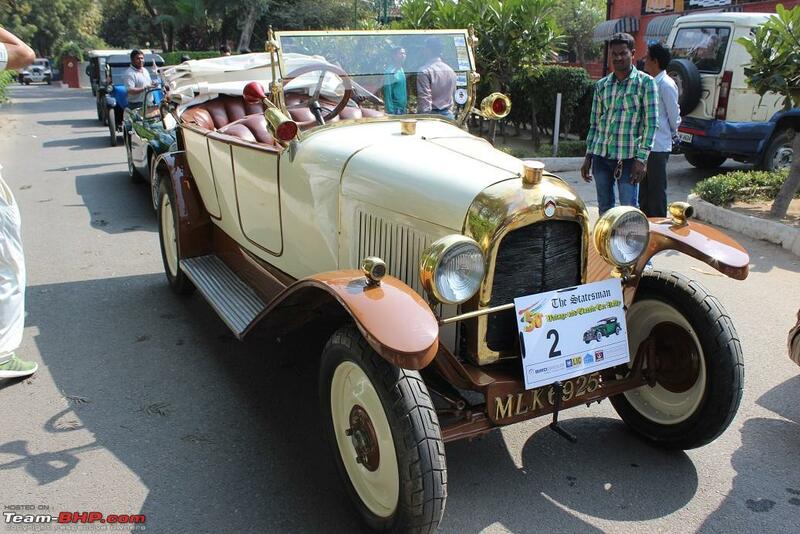 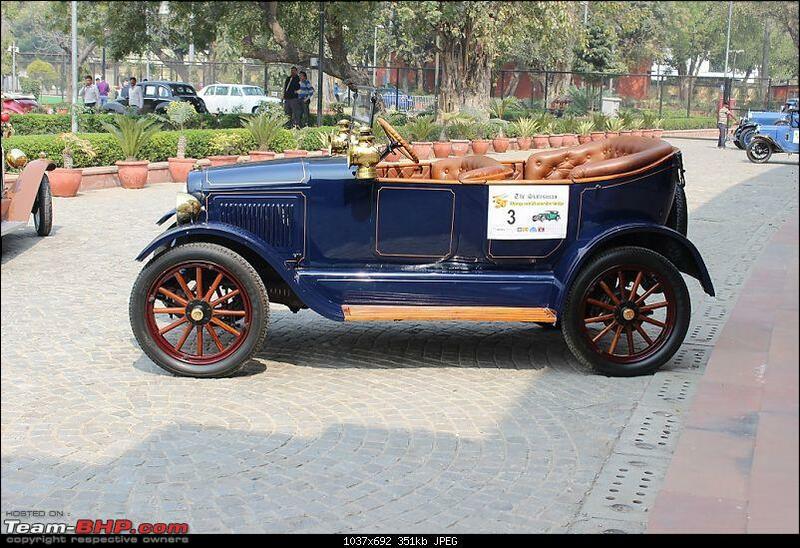 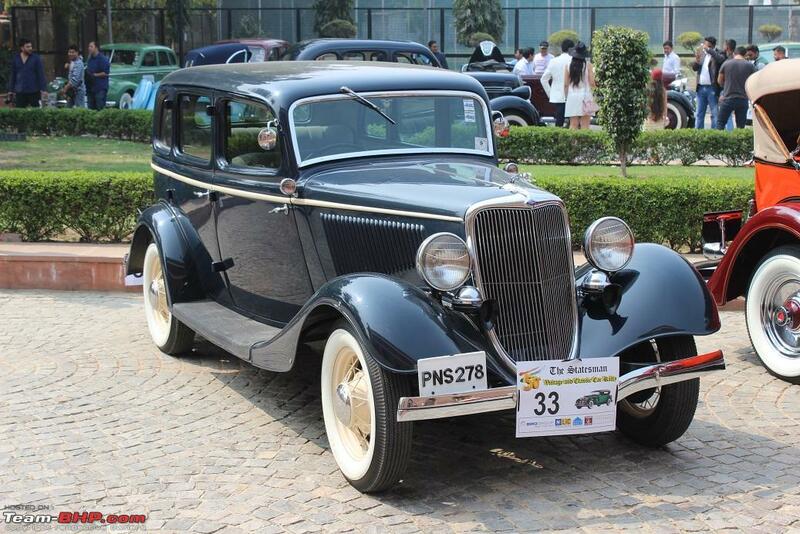 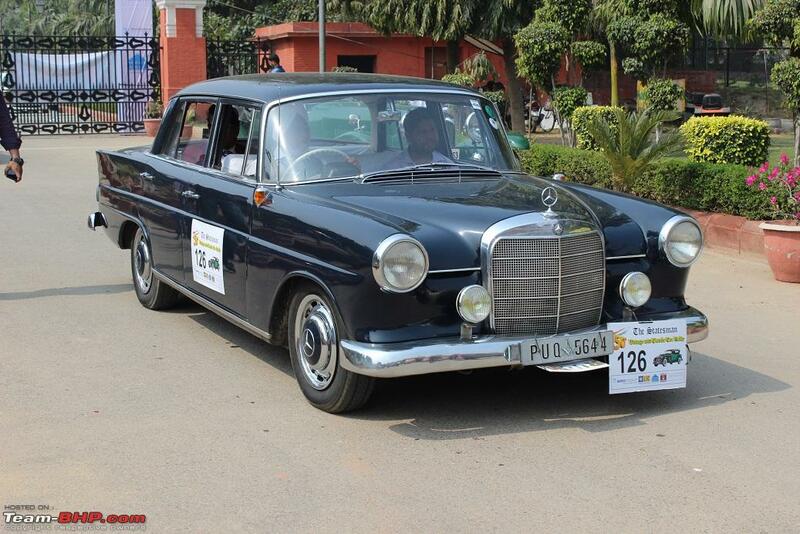 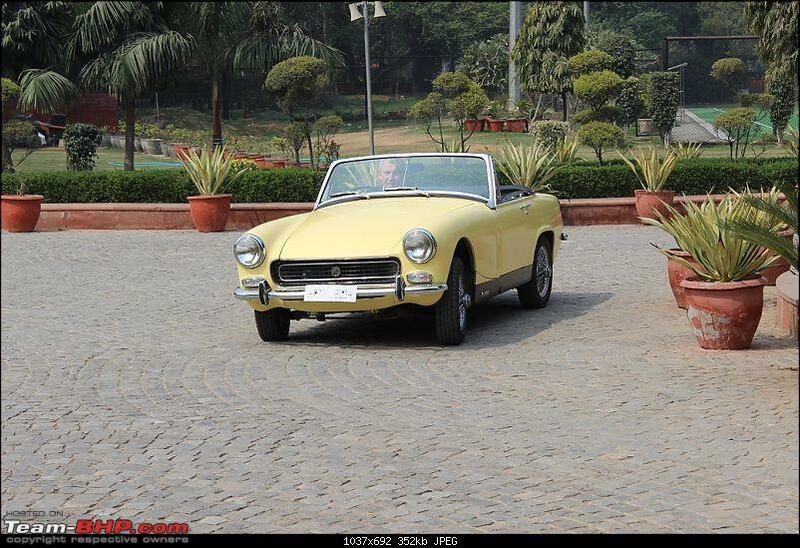 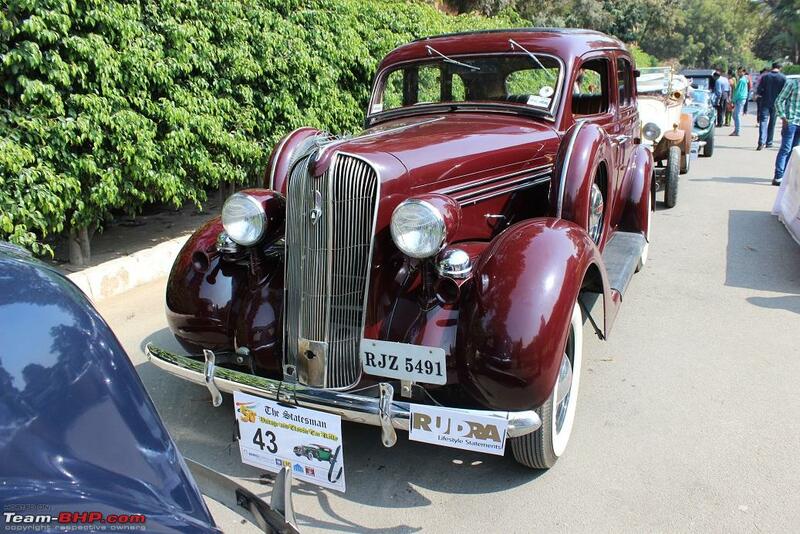 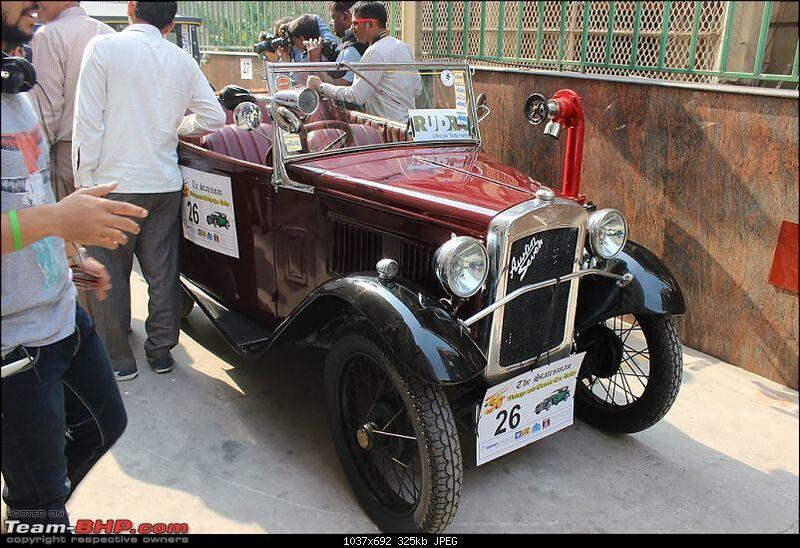 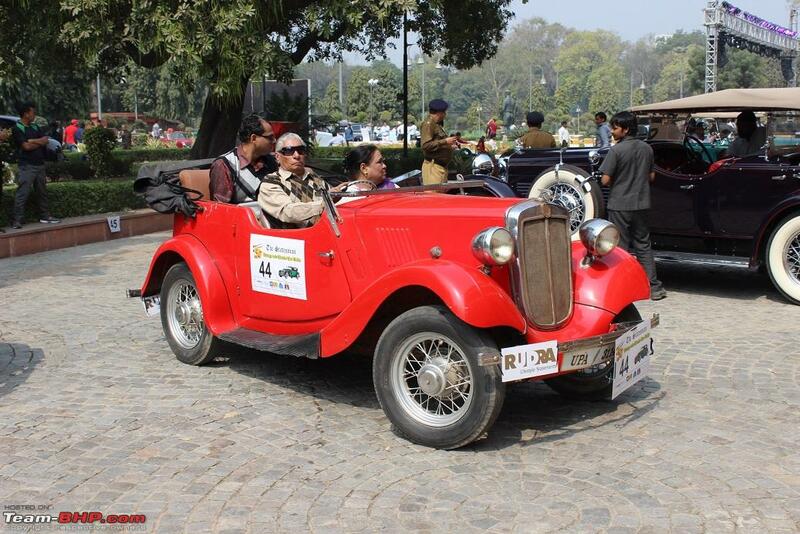 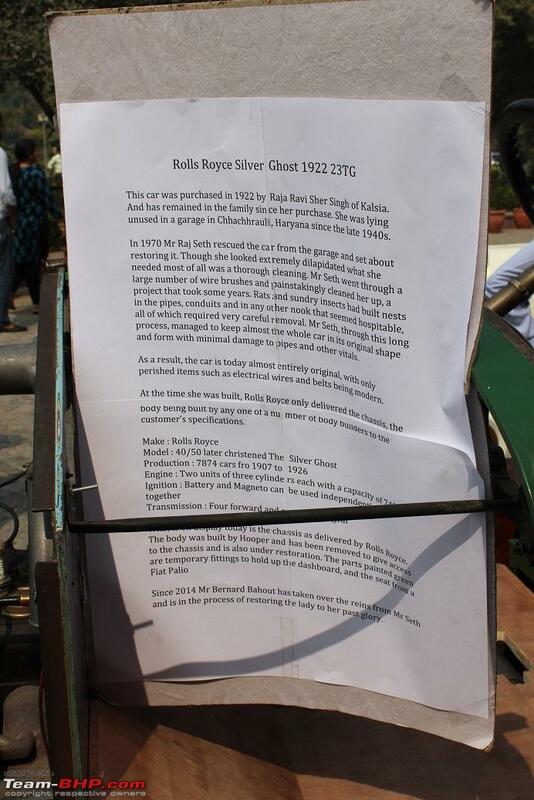 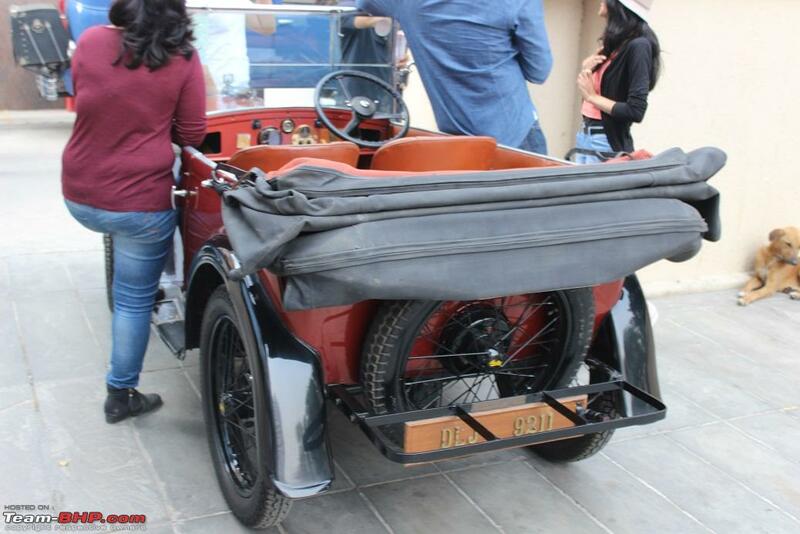 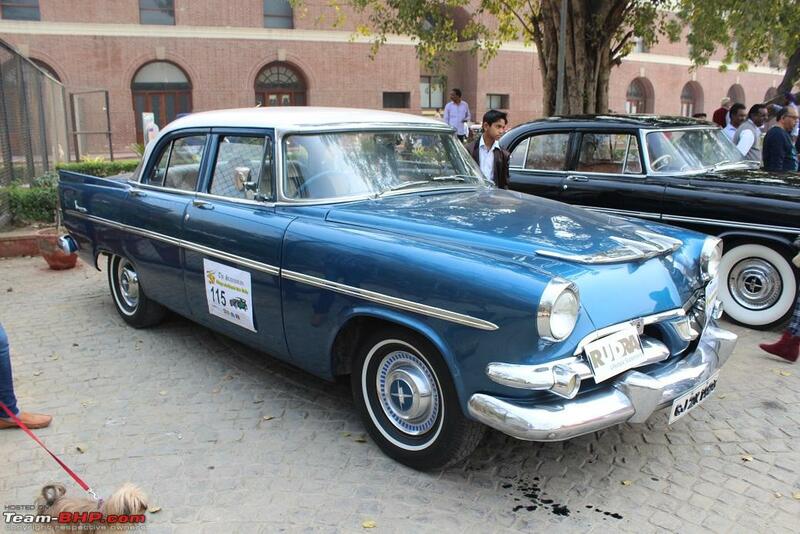 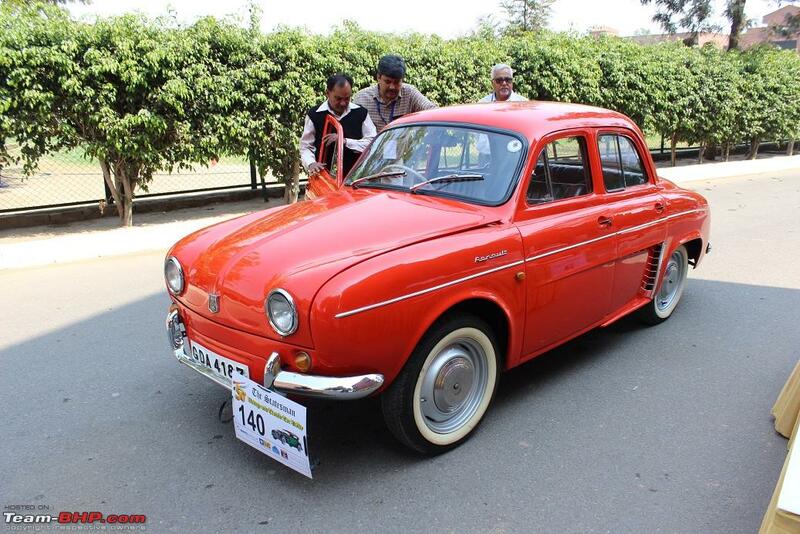 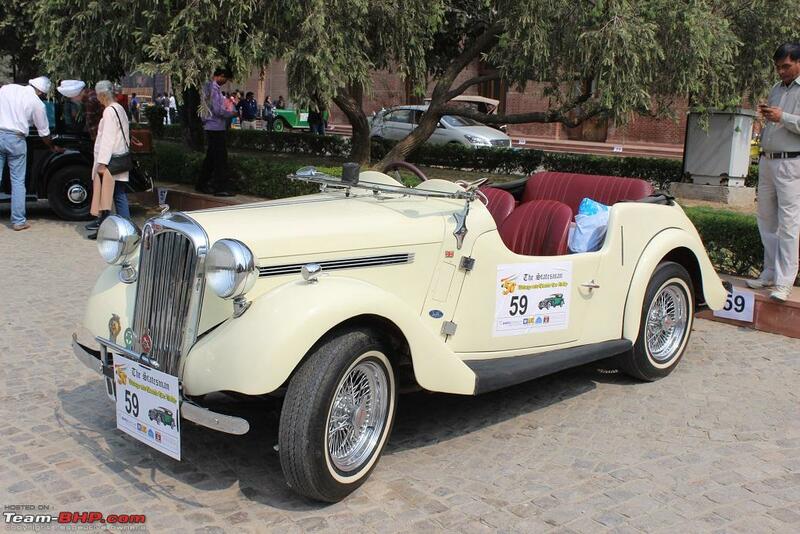 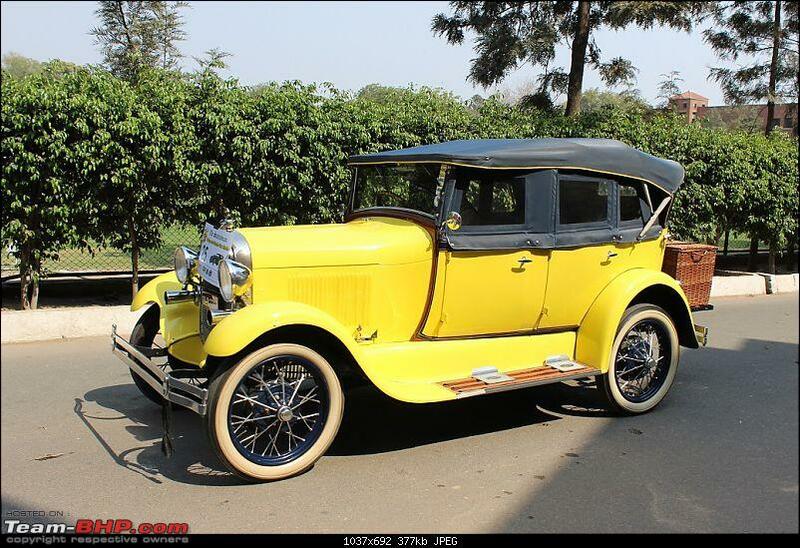 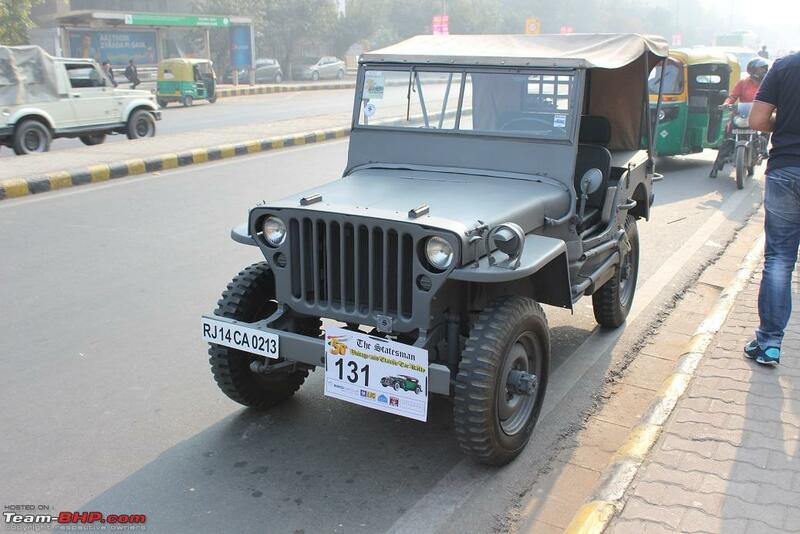 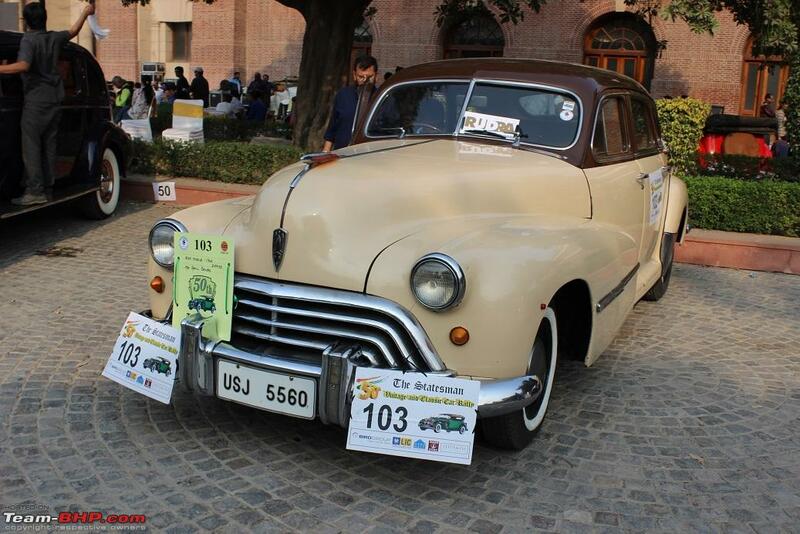 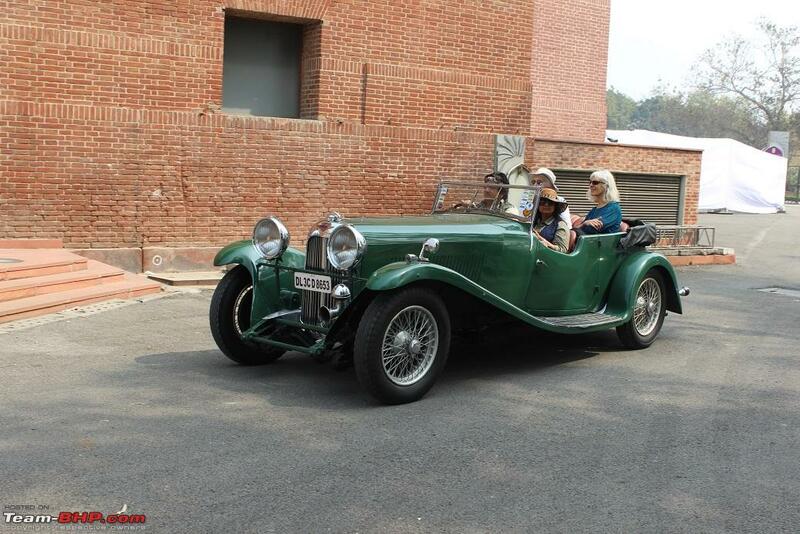 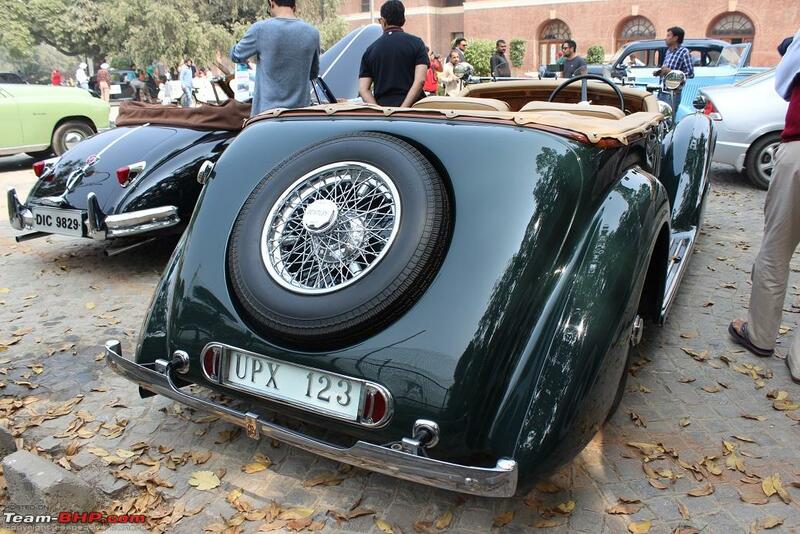 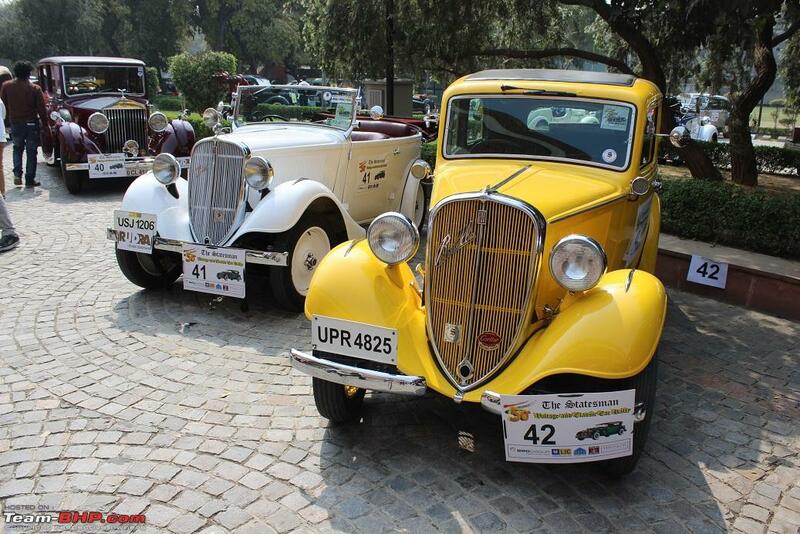 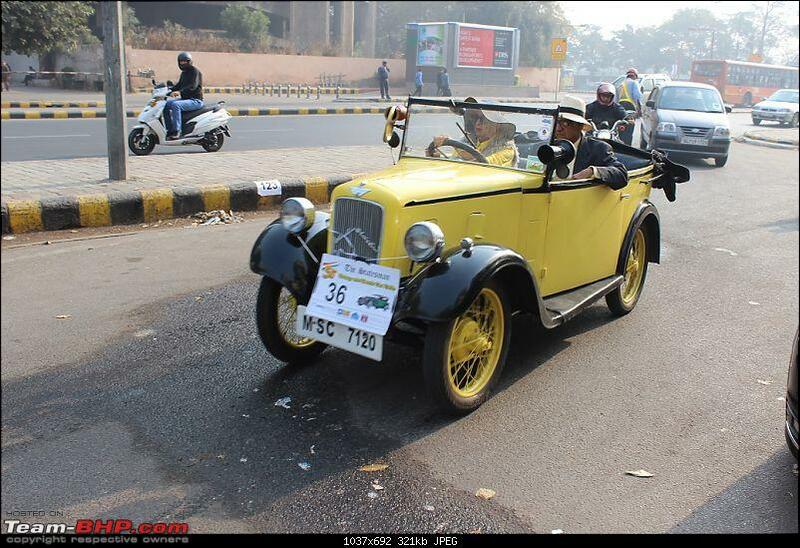 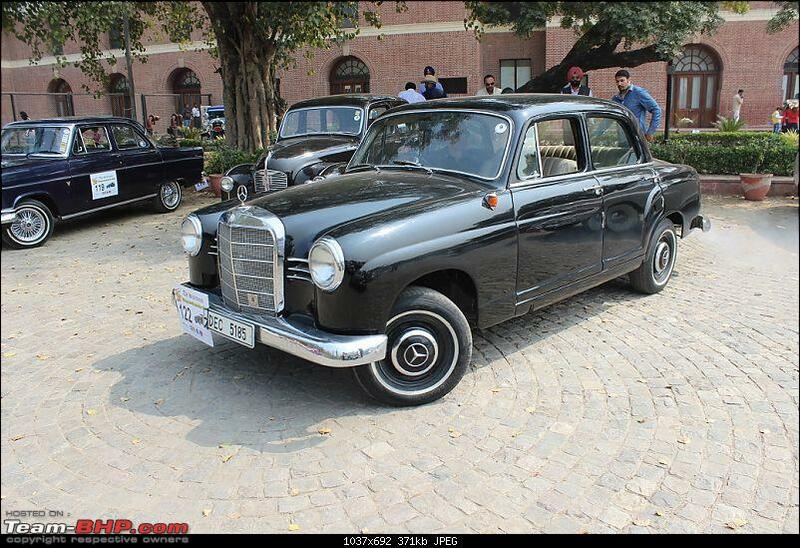 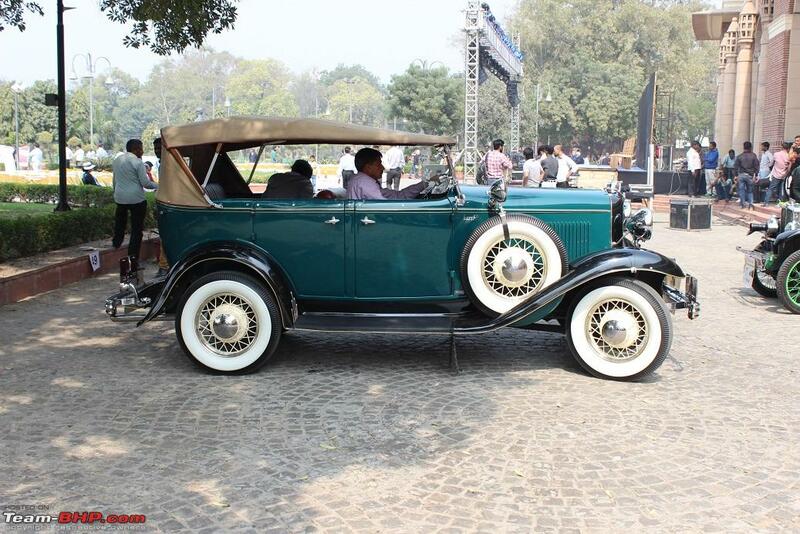 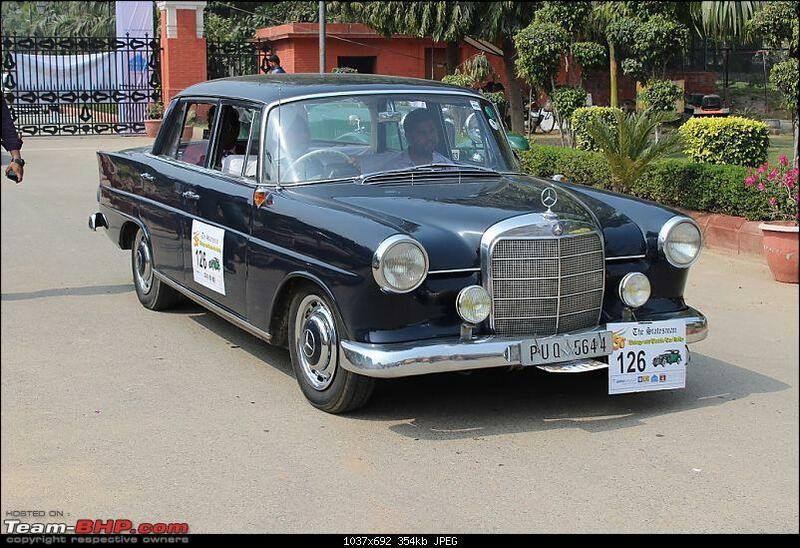 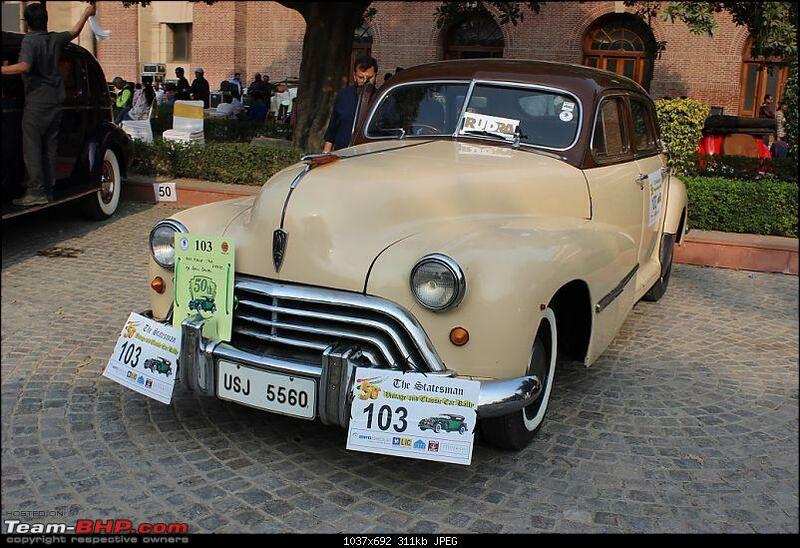 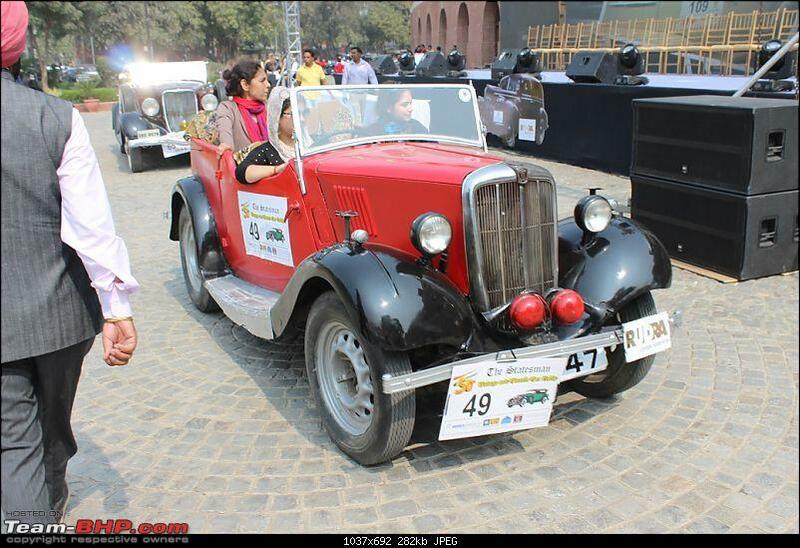 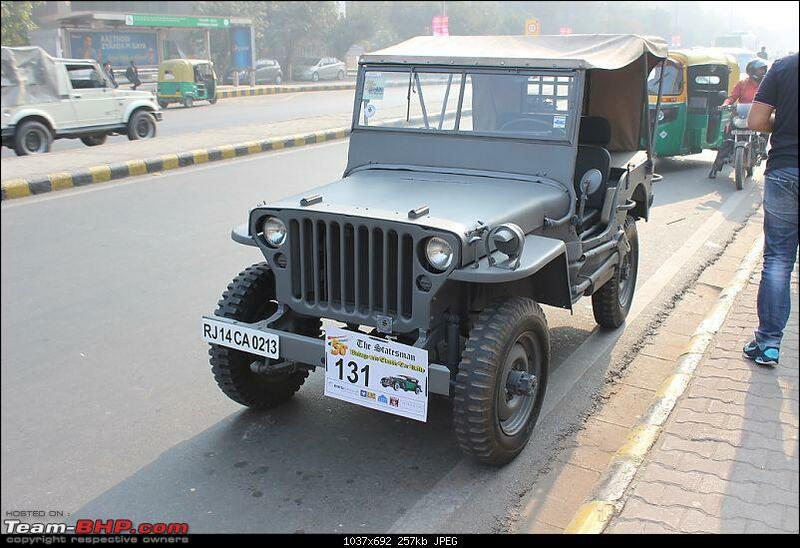 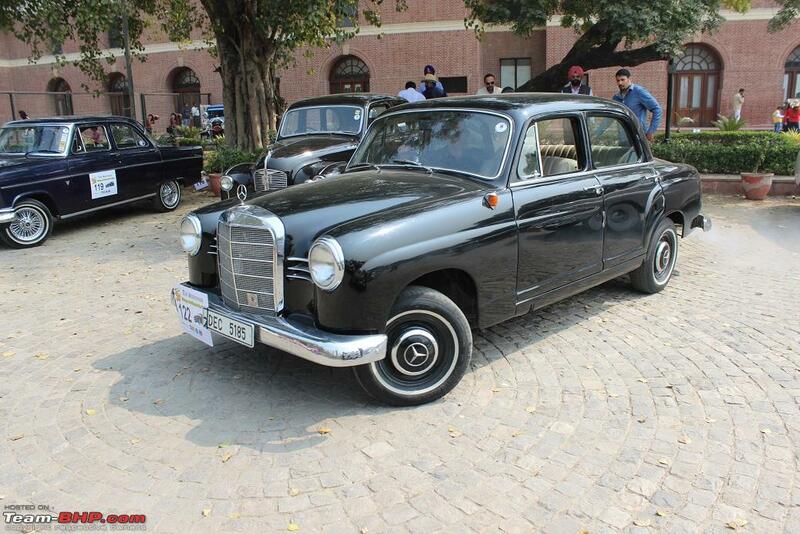 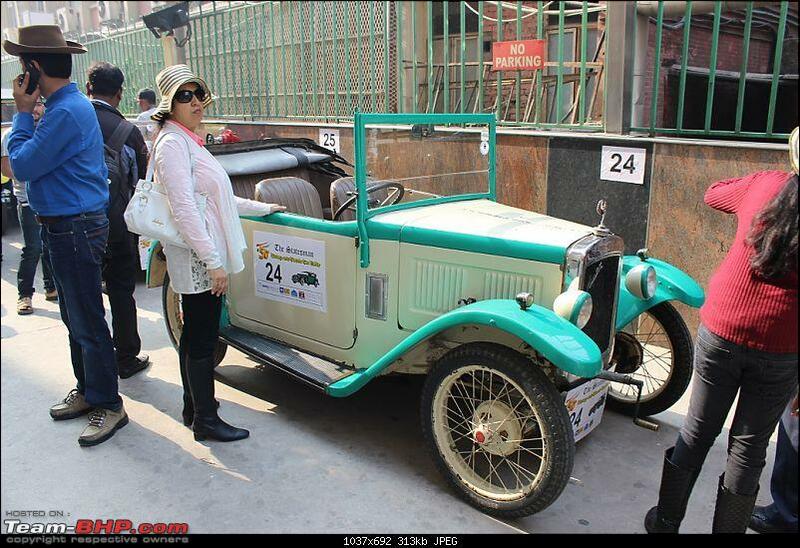 The Statesman Vintage and Classic Car rally is - subject to correction - the oldest continuously held vintage and classic car event in India, first held in Delhi in 1966. 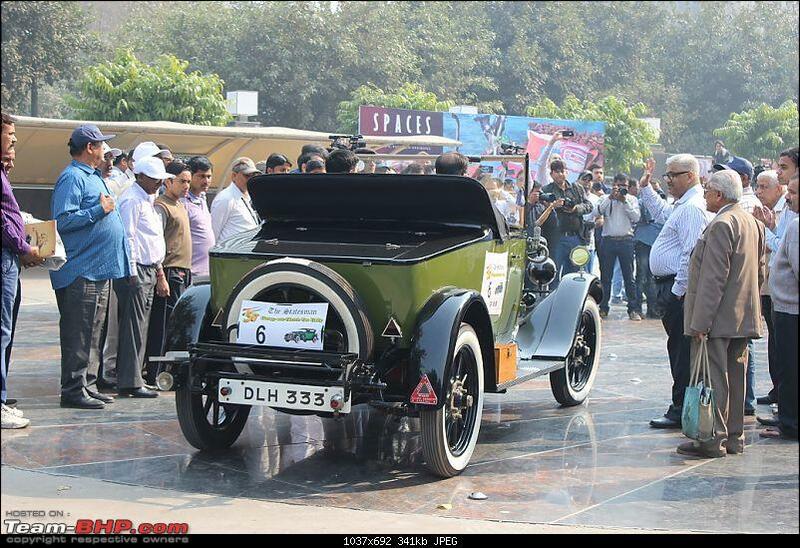 It has been widely been regarded as an event of high prestigious, given its disciplined nature of judging - I counted six stations earmarked for a participating vehicle to be scrutinised! 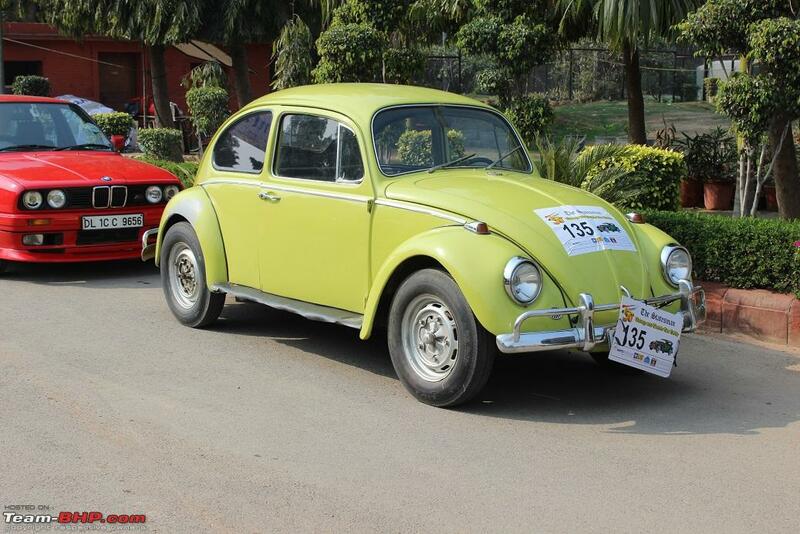 2016 is a landmark year, celebrating 50 years of the event. 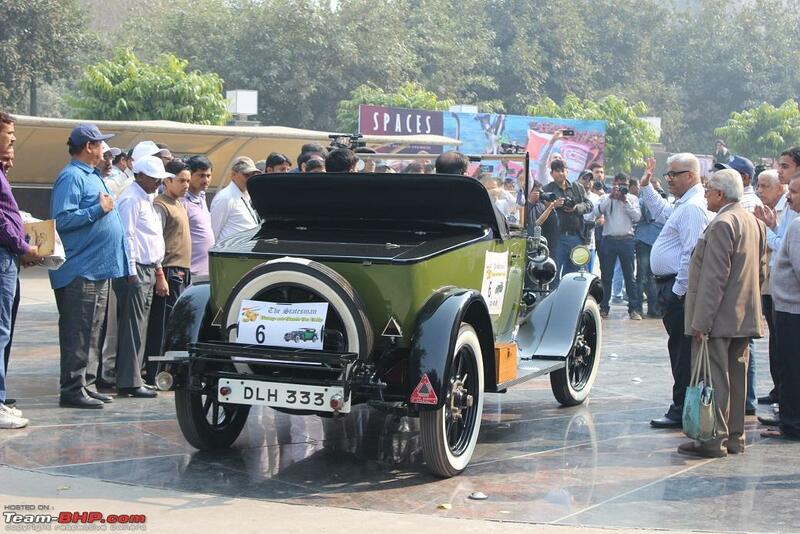 The event was held on the 28th of Feb last month. 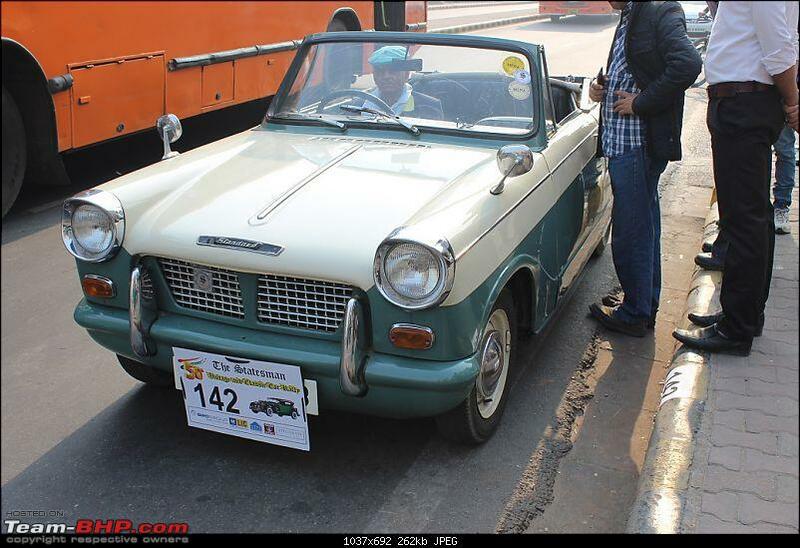 Entries to the event I am told are restricted to older cars, and smaller, newer more popular cars as seen in other events are not encouraged in an effort to maintain exclusivity. 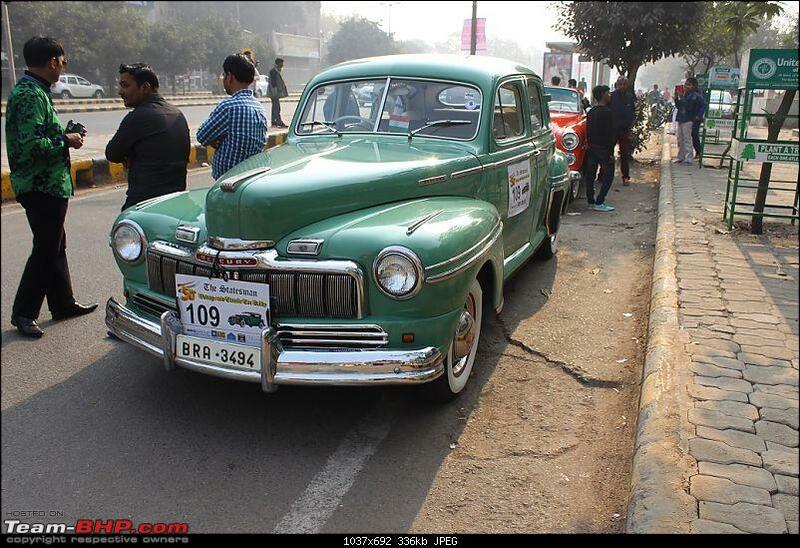 Having said that, many cars not participating do come just to visit. 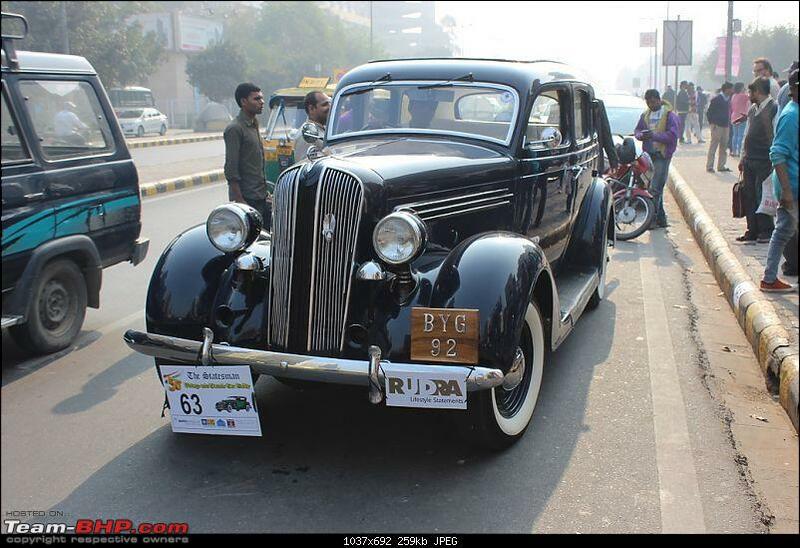 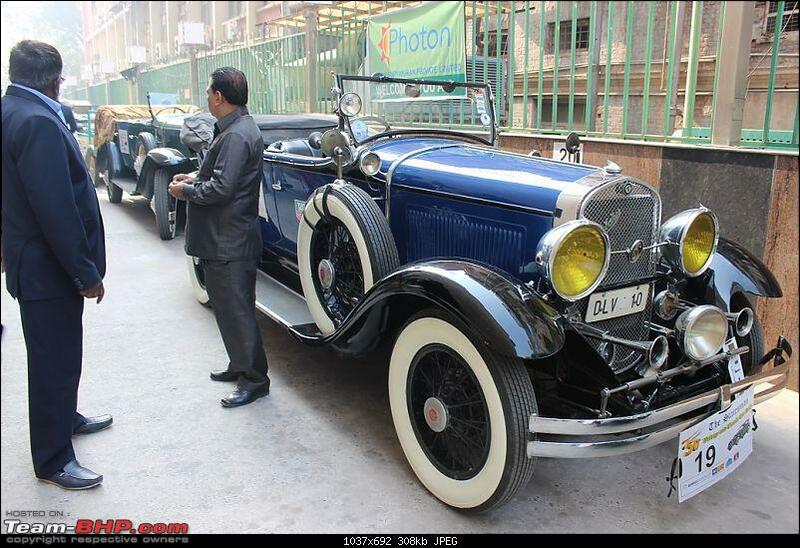 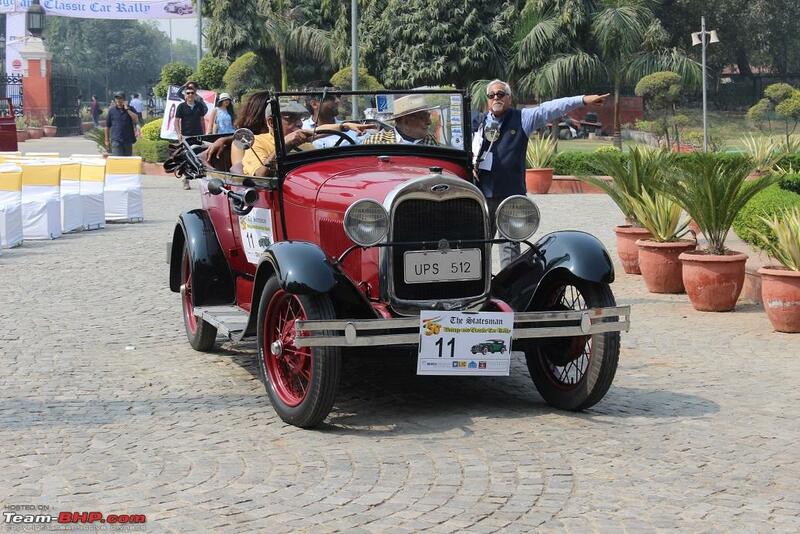 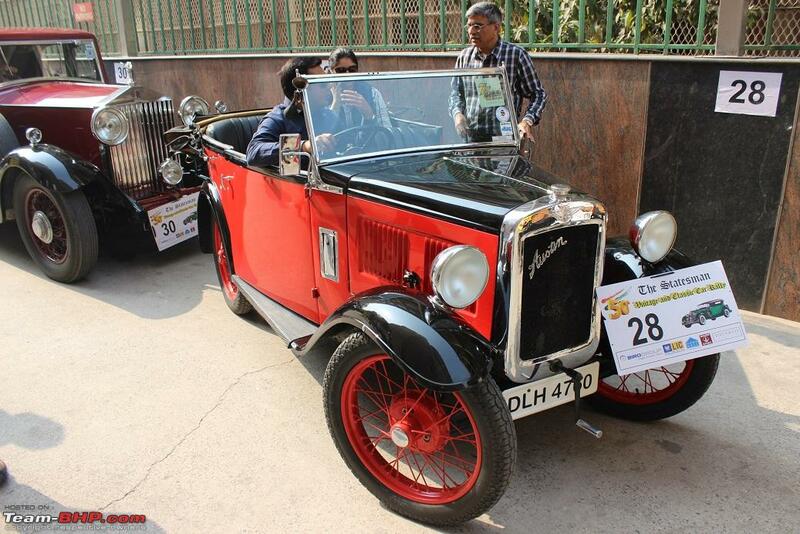 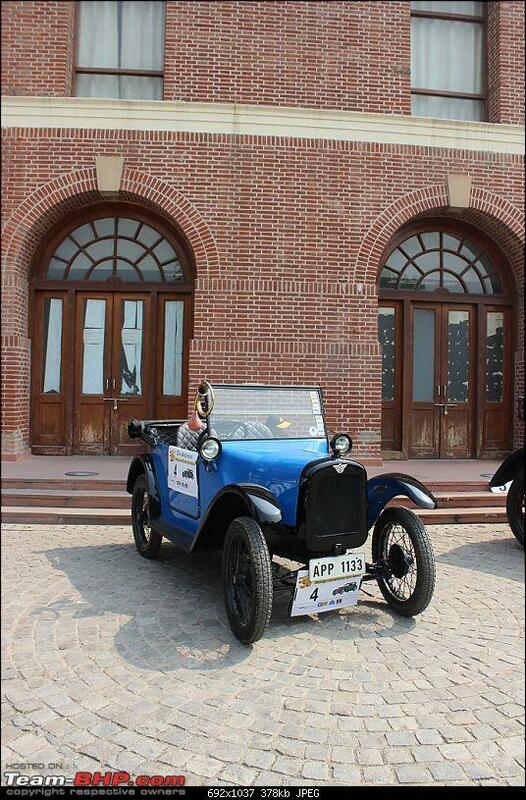 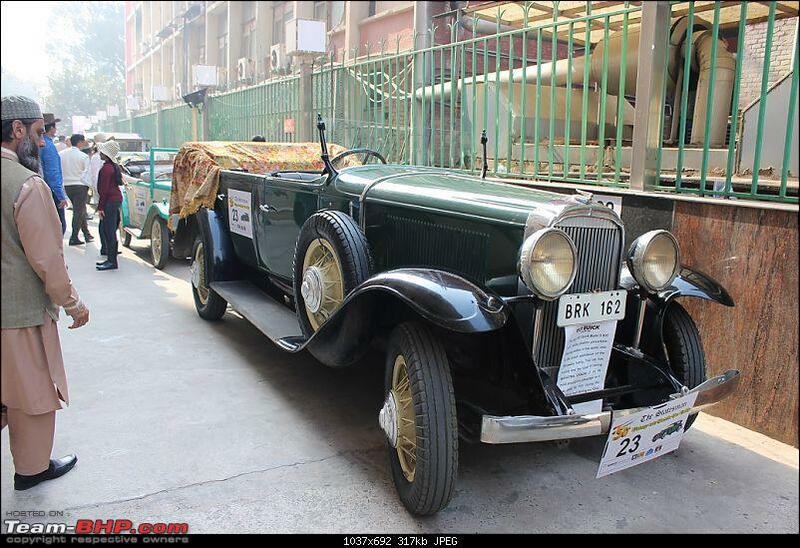 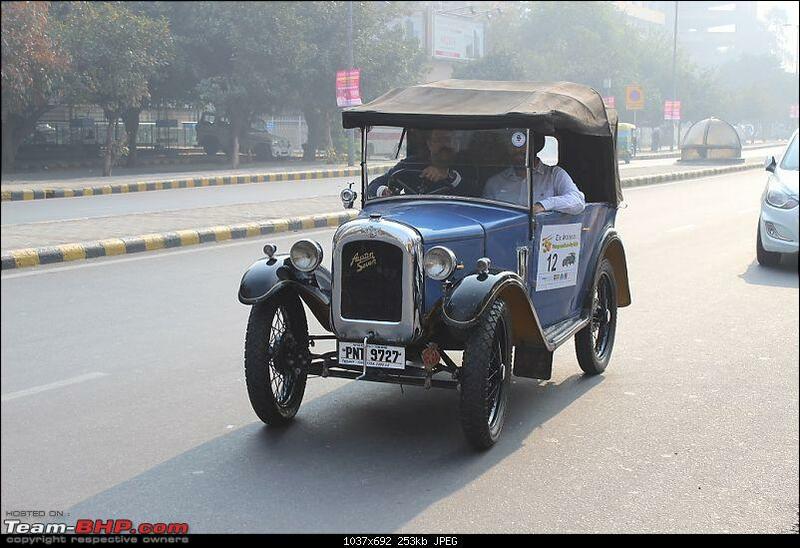 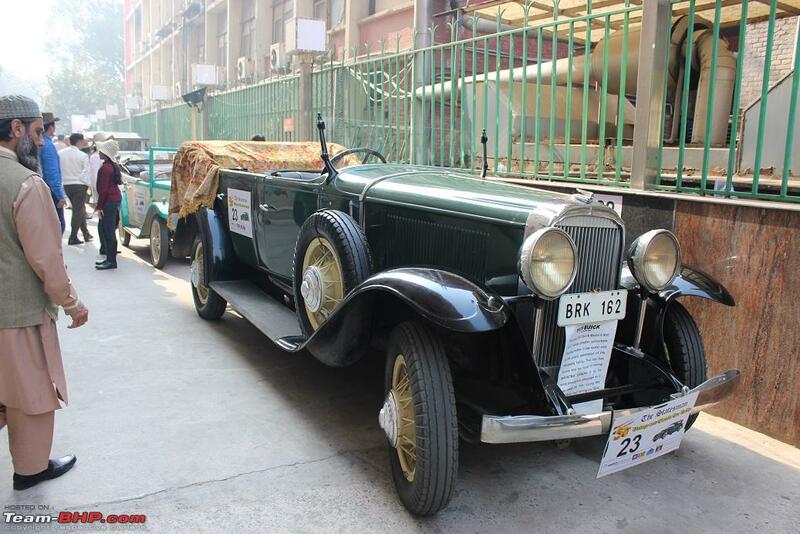 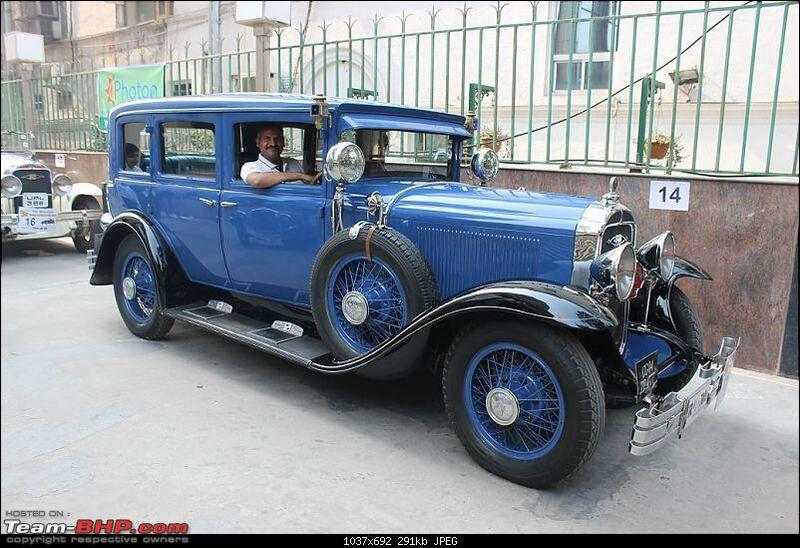 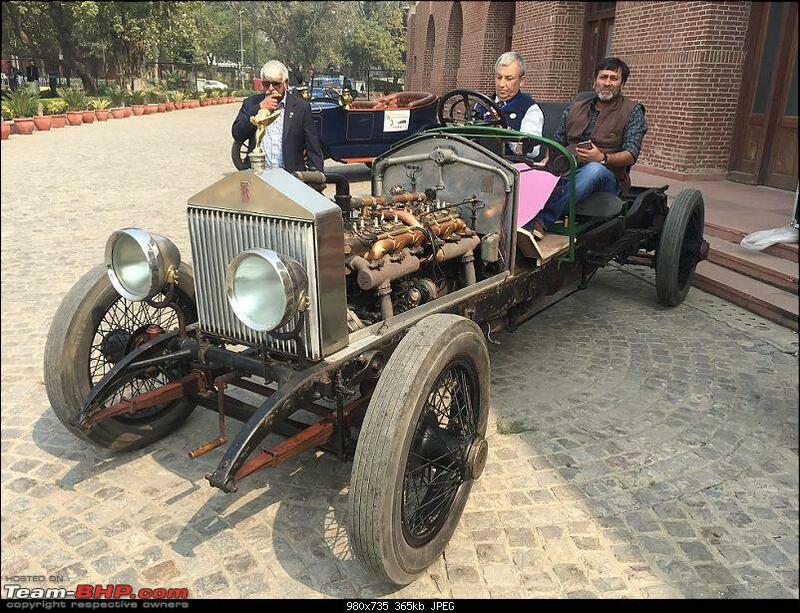 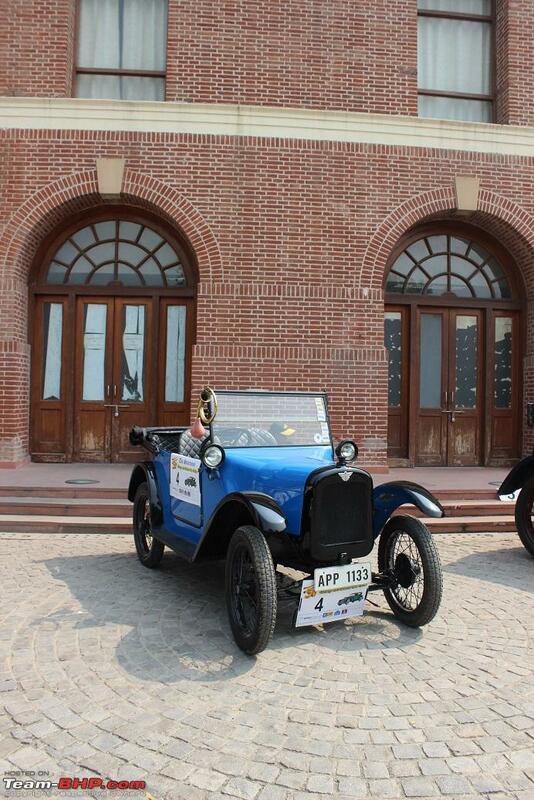 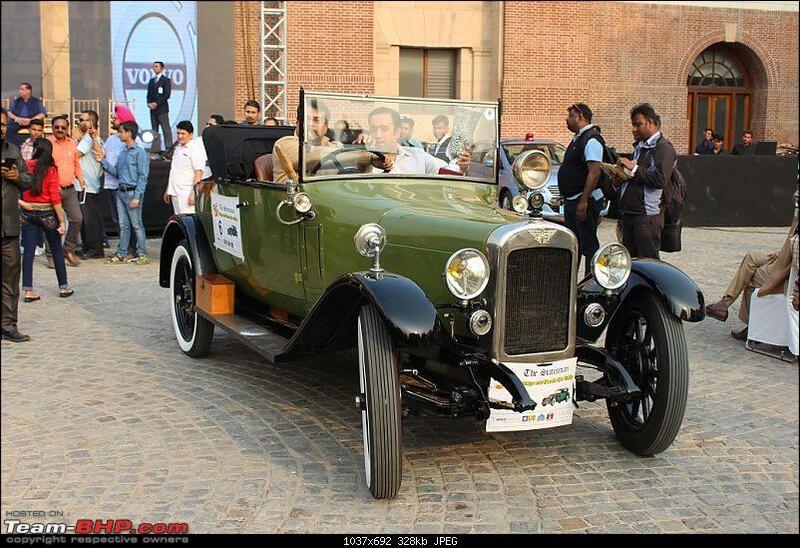 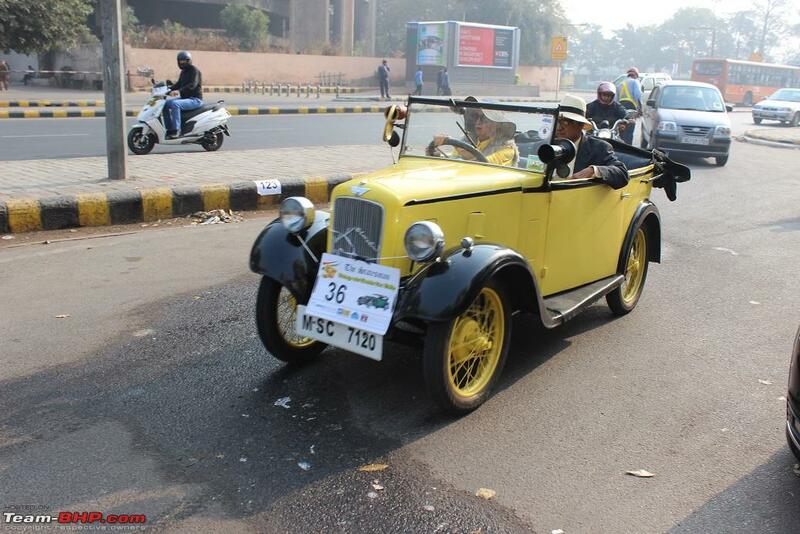 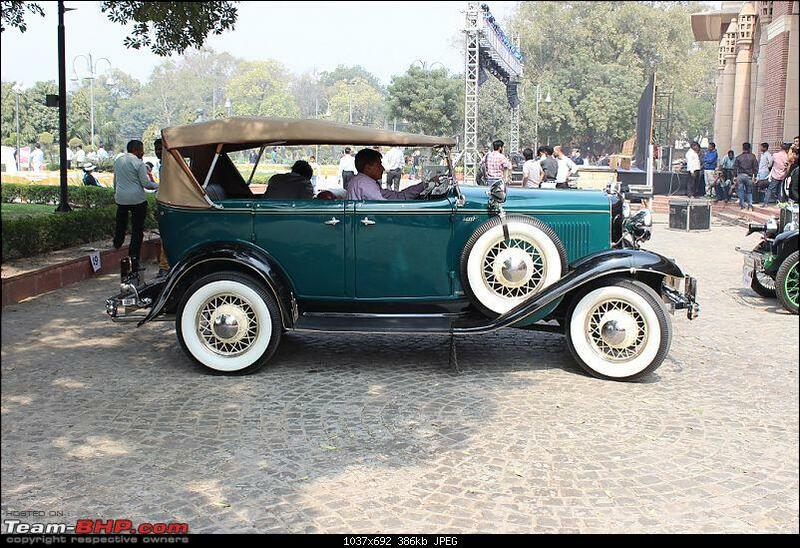 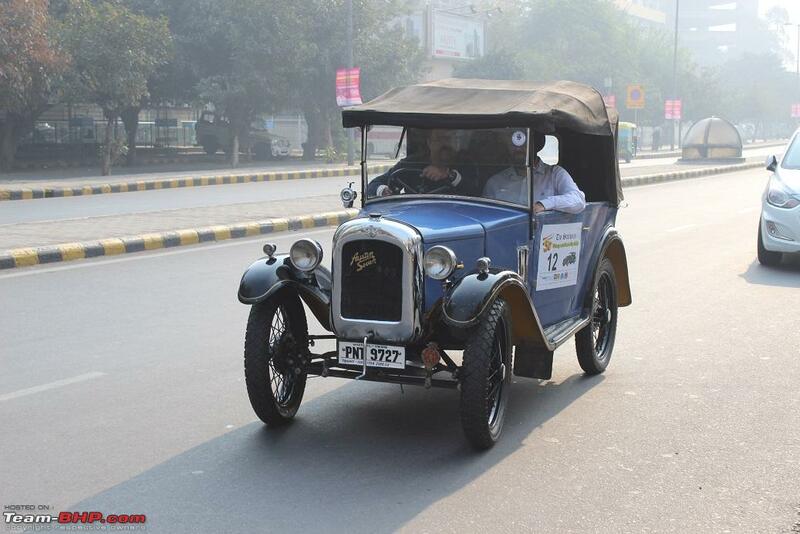 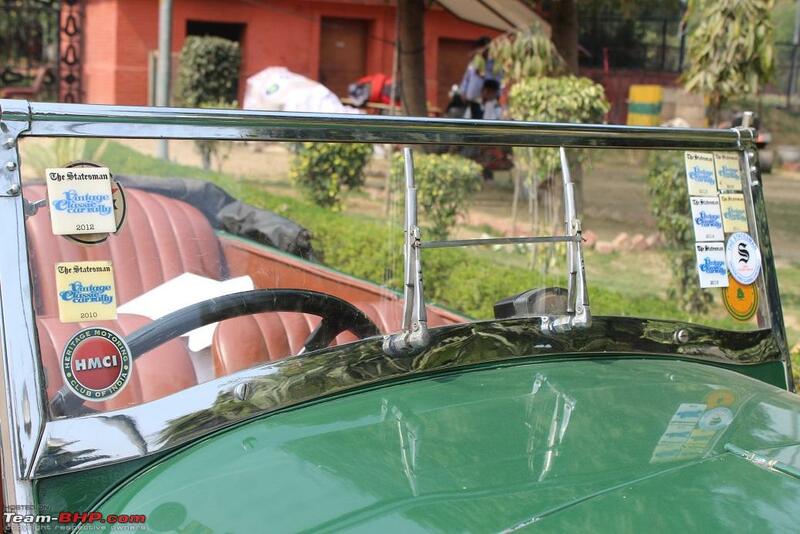 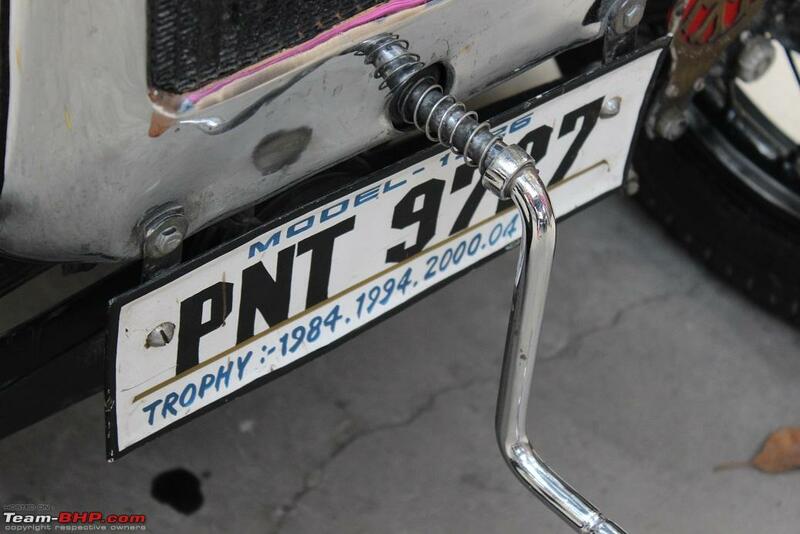 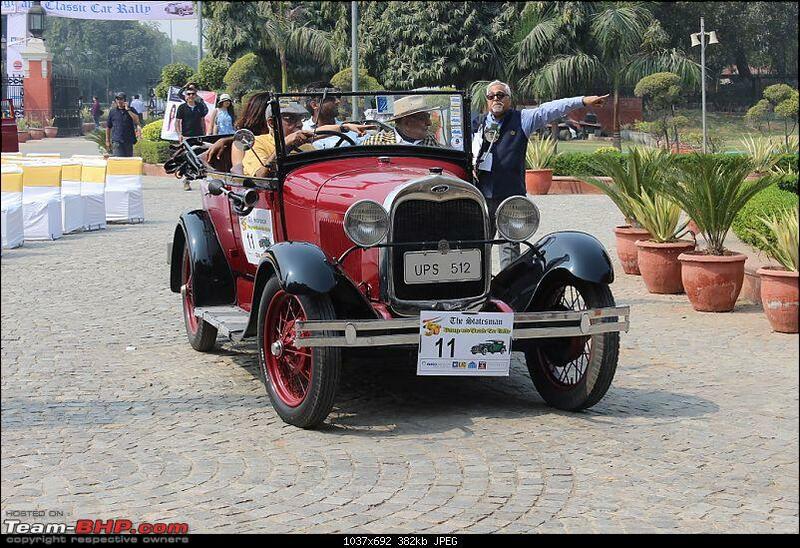 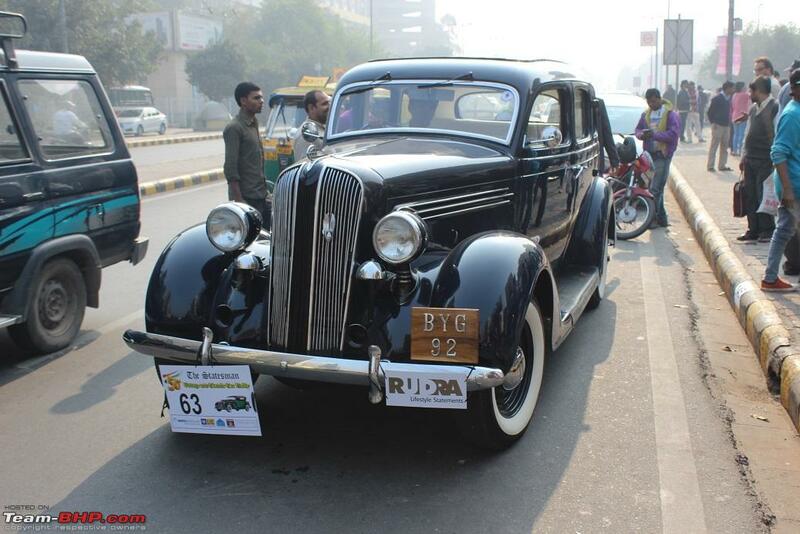 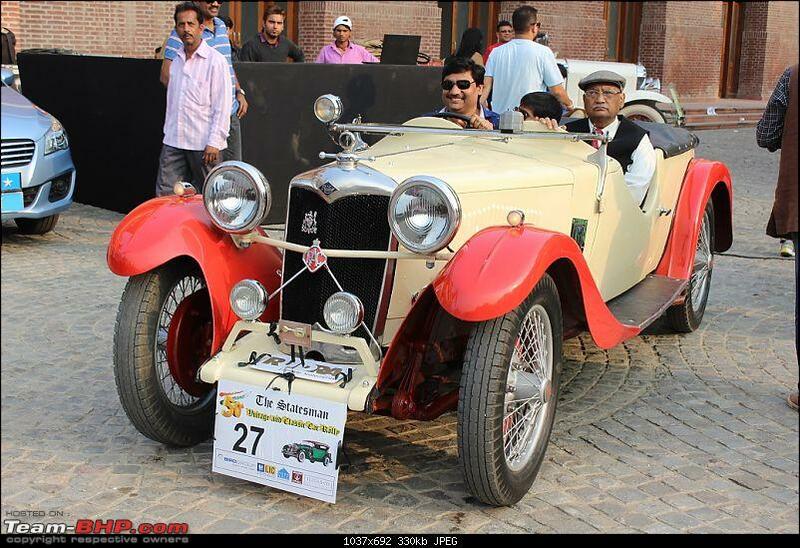 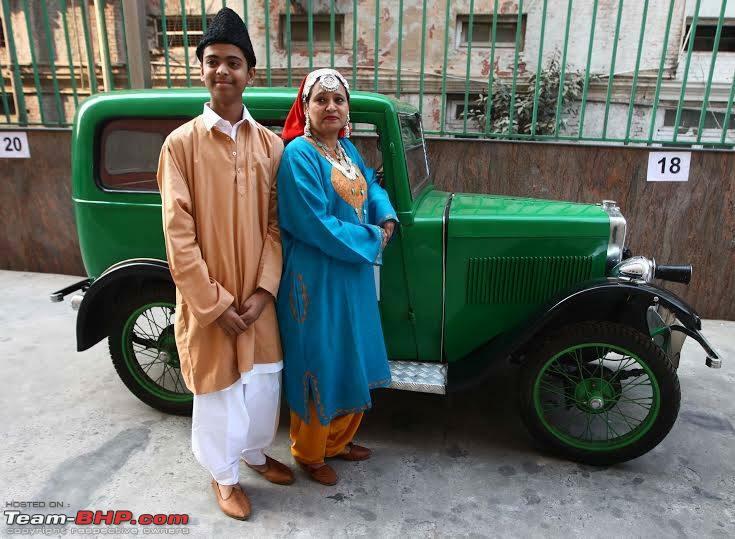 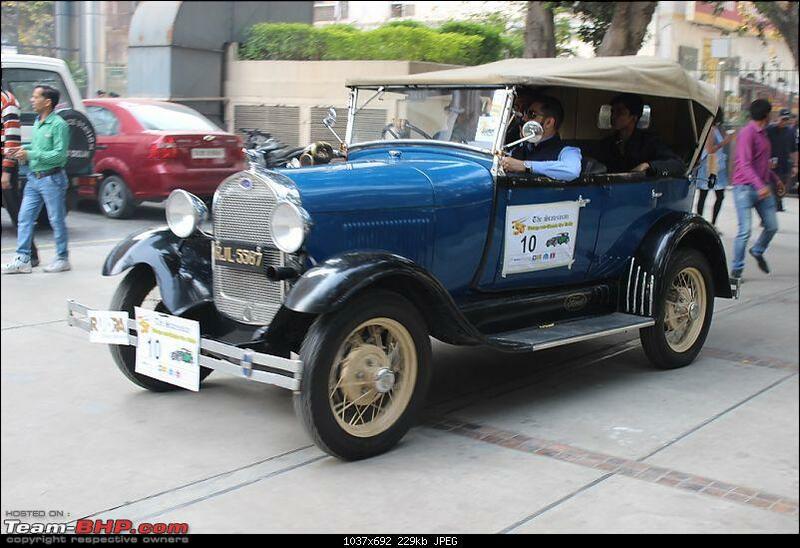 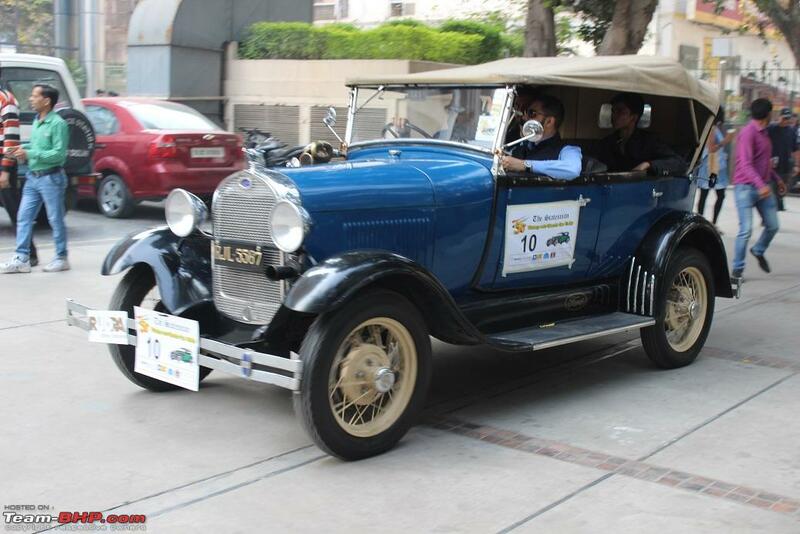 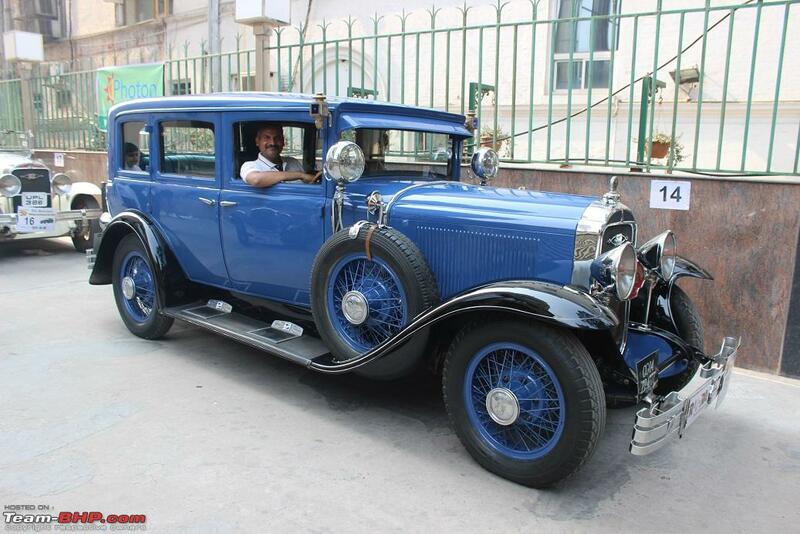 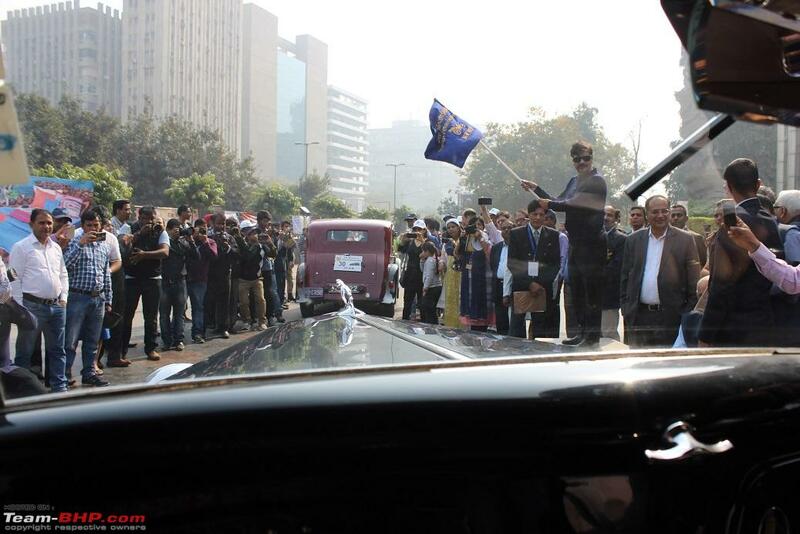 This was the first time I was attending, hitching a ride with BHPian Shivraj in his daily-driver 1934 Ford Model B. 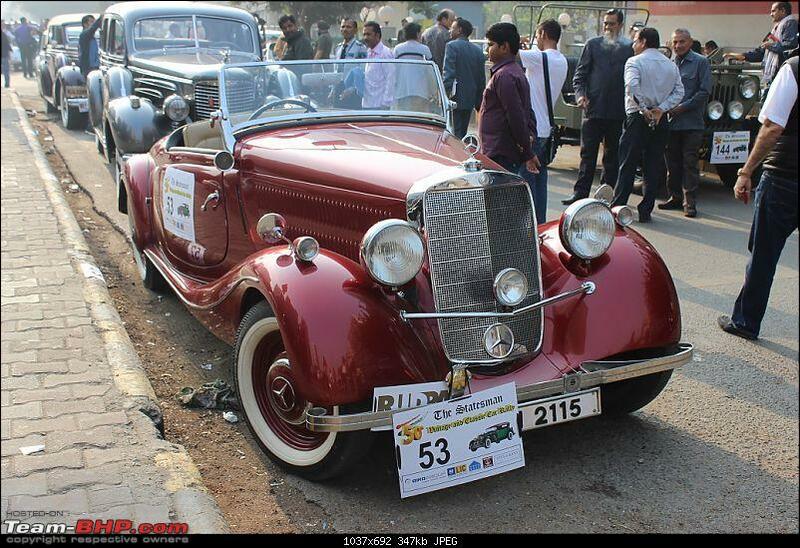 Here are some pictures of most of the cars attending. 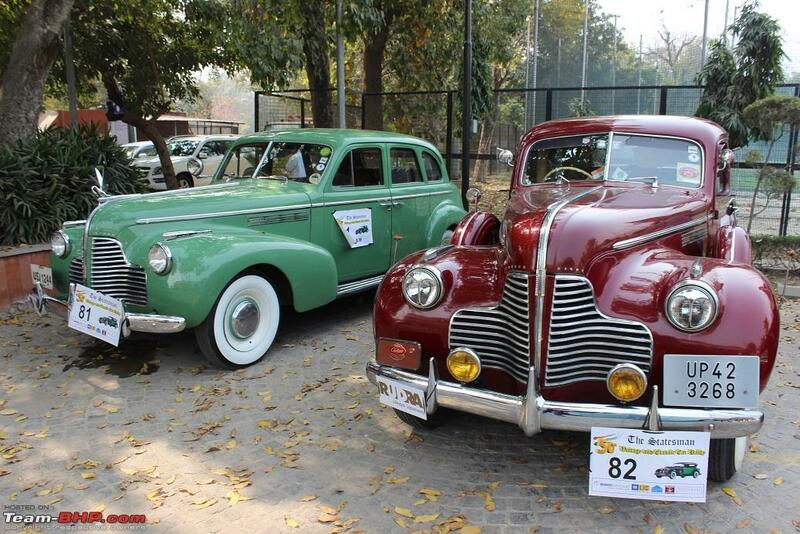 No Statesman event would be complete without a host of baby Austins - I counted at least 7, maybe I missed a couple. A couple more later models too were in attendance. 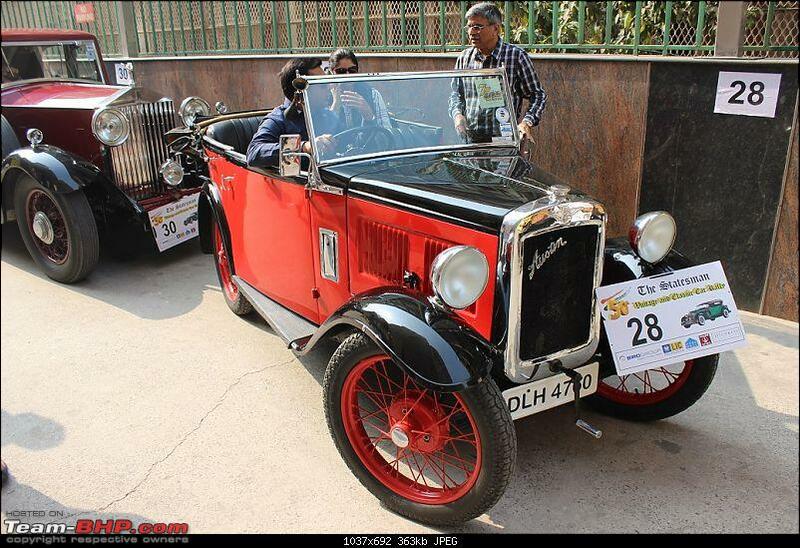 Awini's 1927 Austin 12/4 finally made her debut. 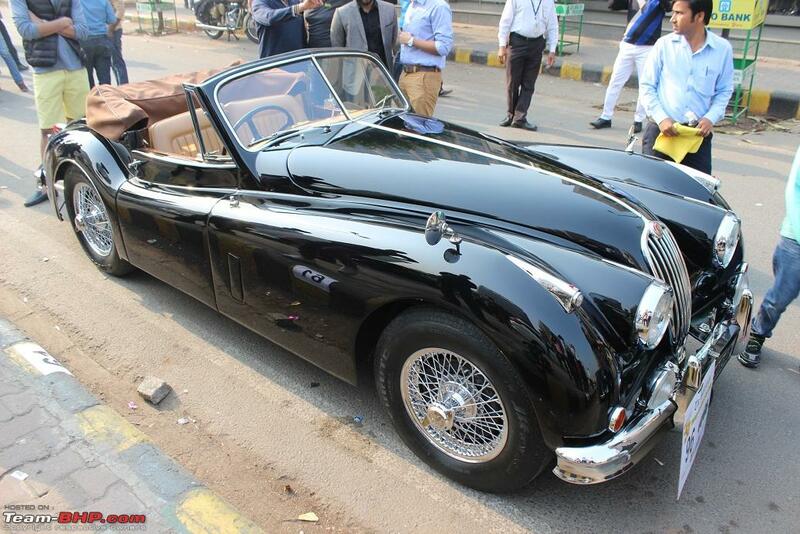 In the family from the 60s and under restoration probably shortly after that the car has turned out superb. 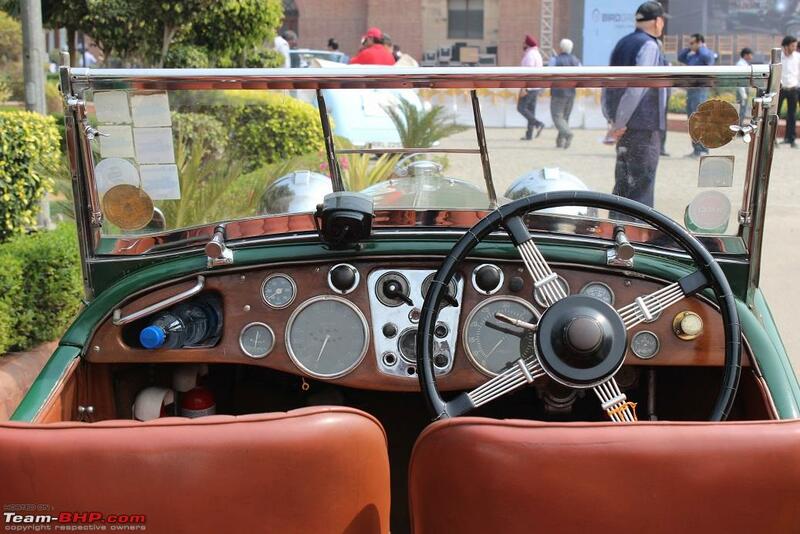 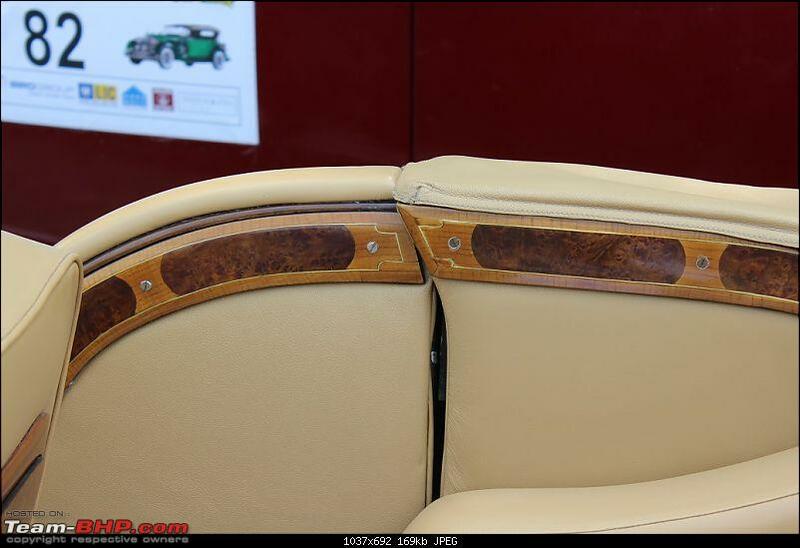 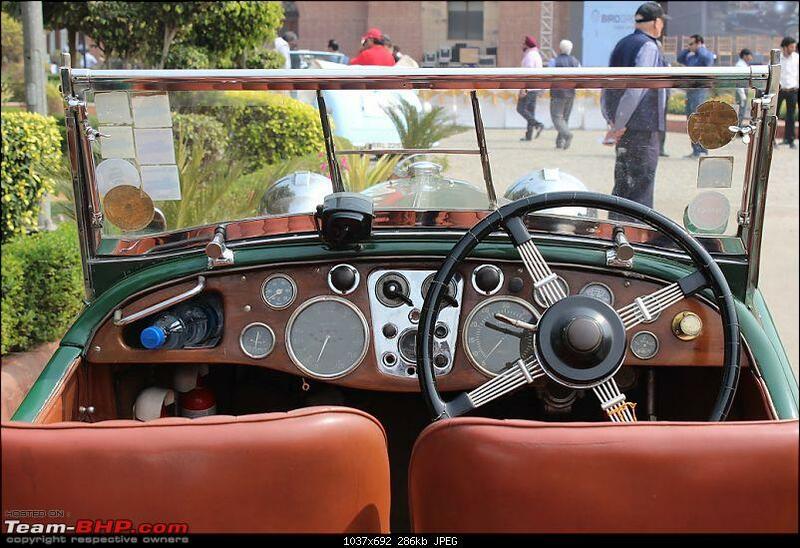 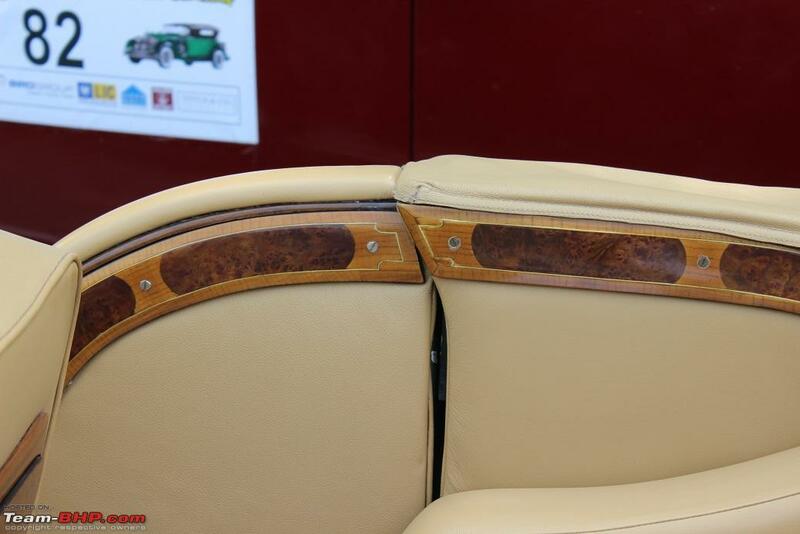 A rare bodystyle with coachwork by Mulliners, Awini has kitted the car with a host of very cool period accessories. 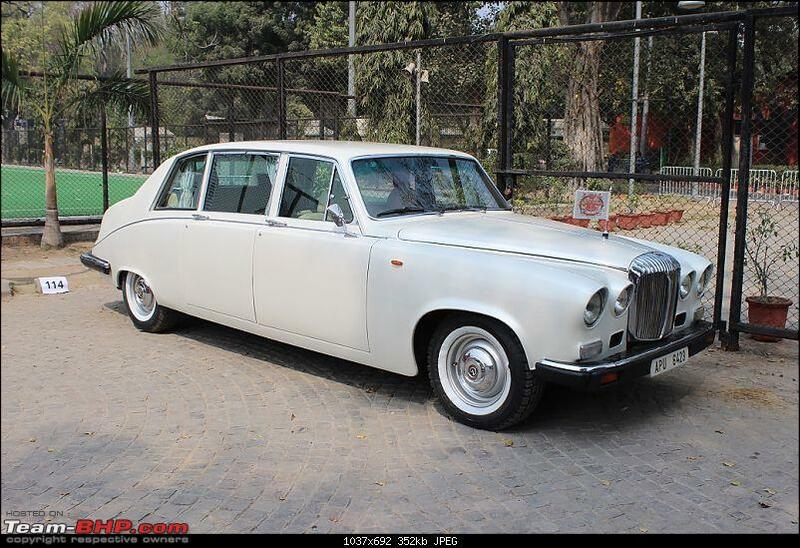 In contrast to the other 'people's car Austins' was this pair of VandenPlas Princess'. 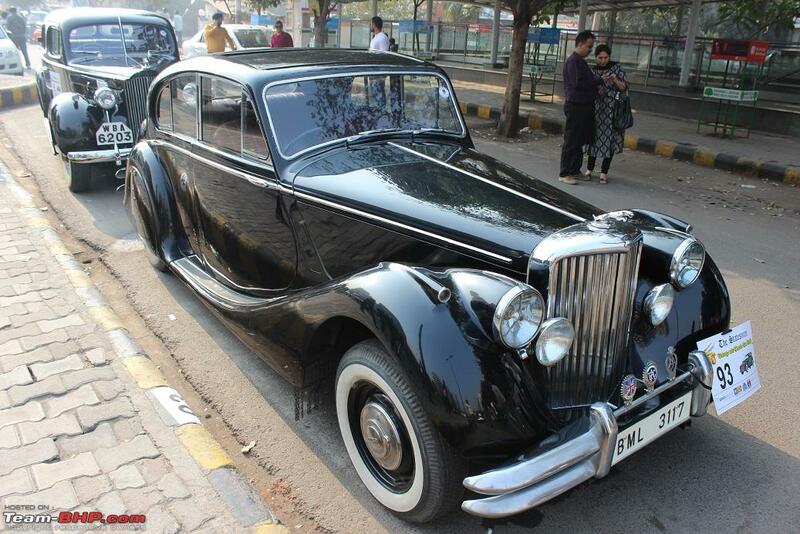 1939 Bentley 4 1/4 litre MX, #B79MX. 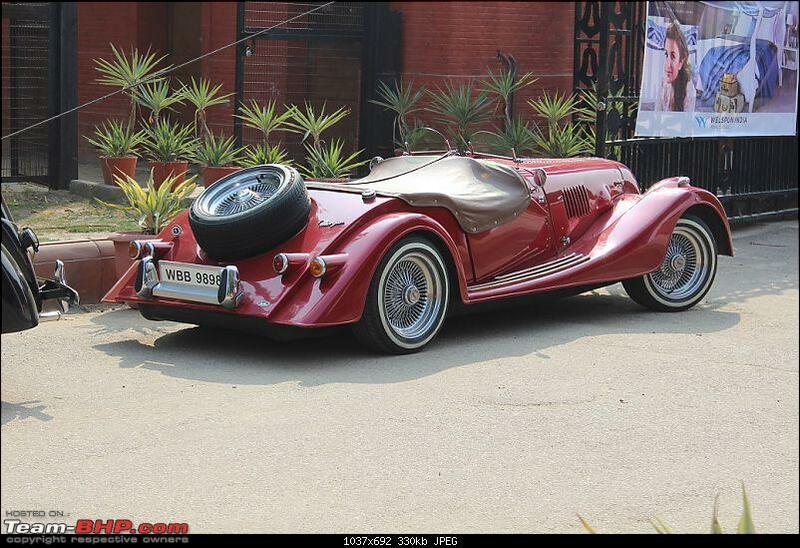 I believe what makes this car even more special is that I'm told it was the only James Young Sedanca built. 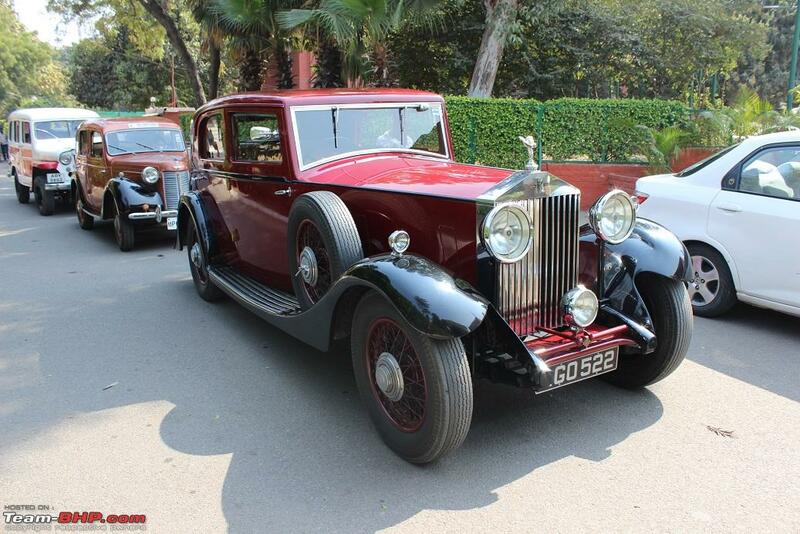 Ordered new for the royal family of Nabha, more recently the body was reworked in an attempt to create more sporty lines. 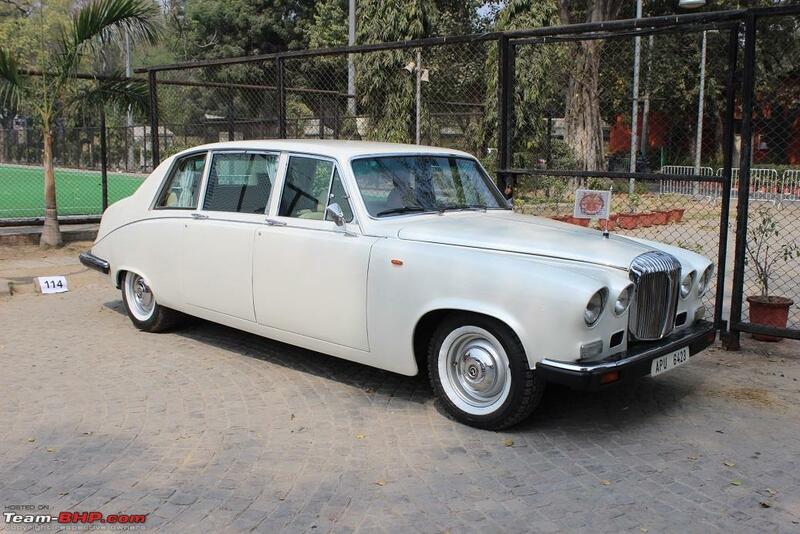 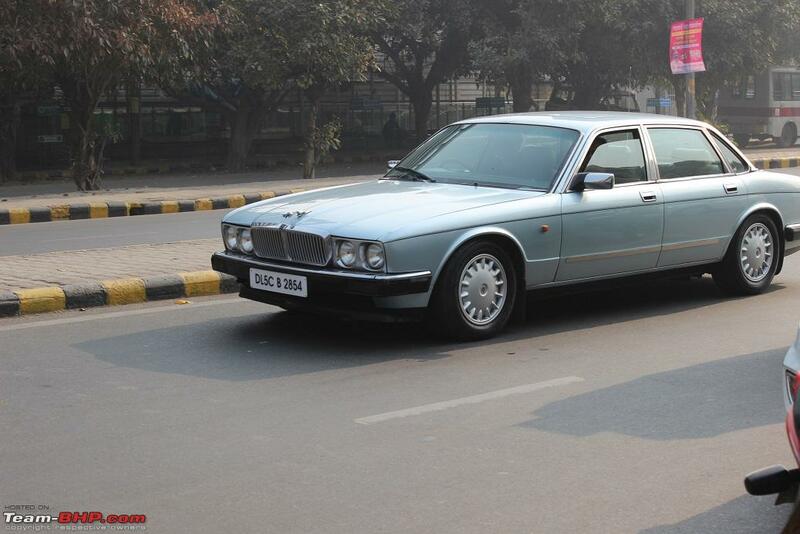 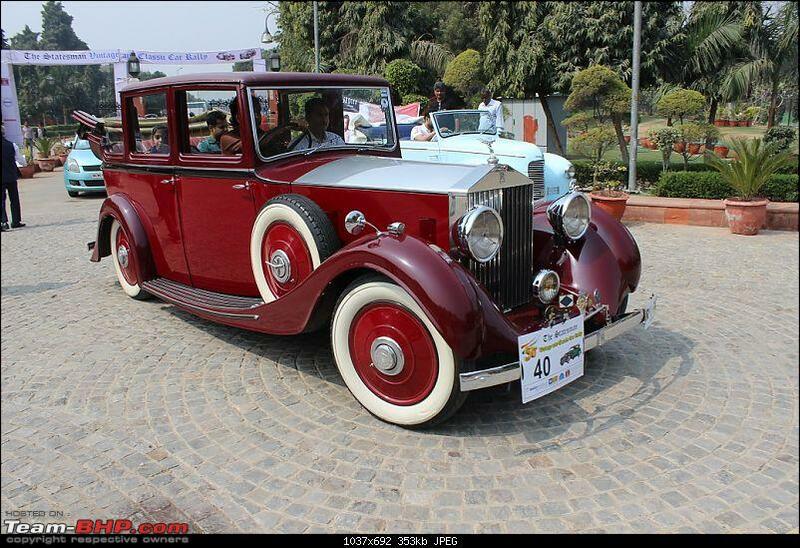 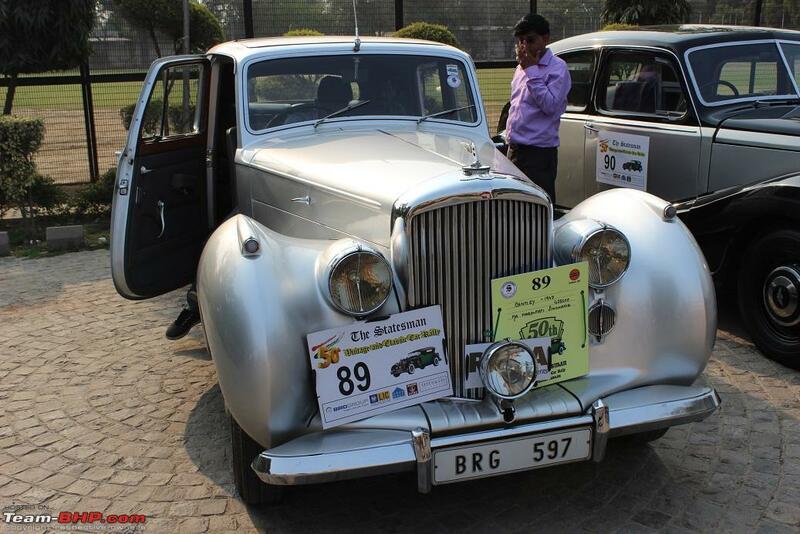 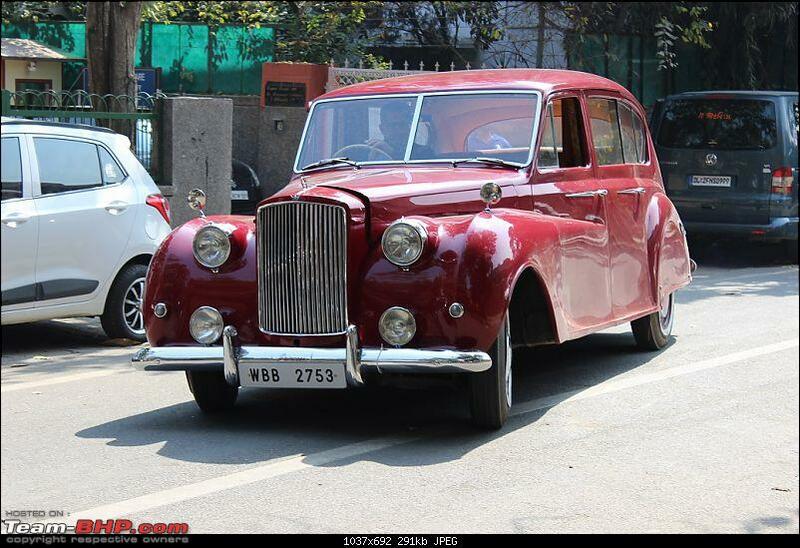 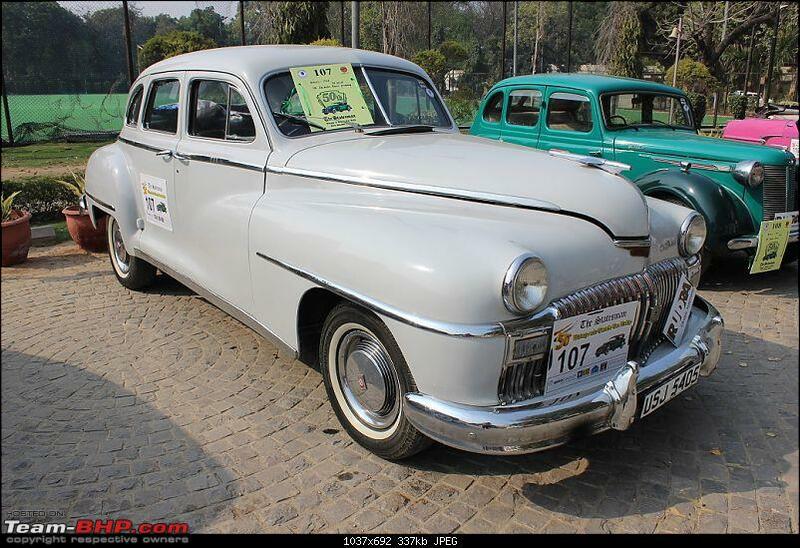 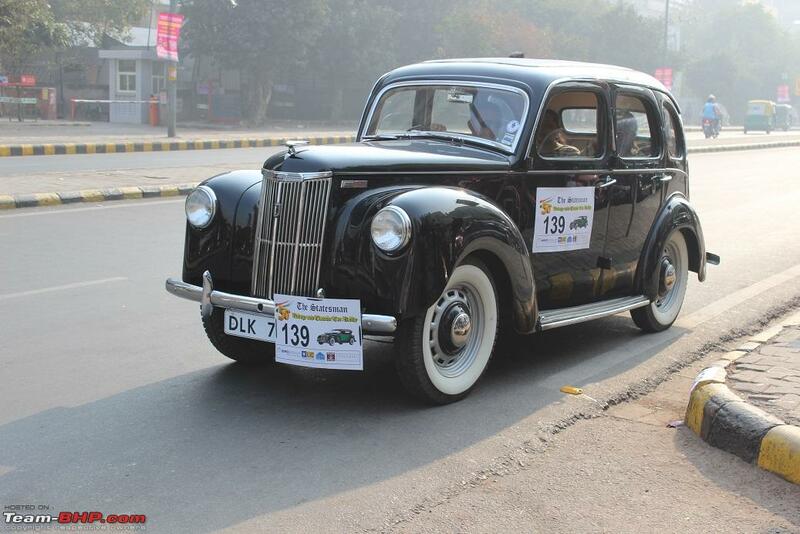 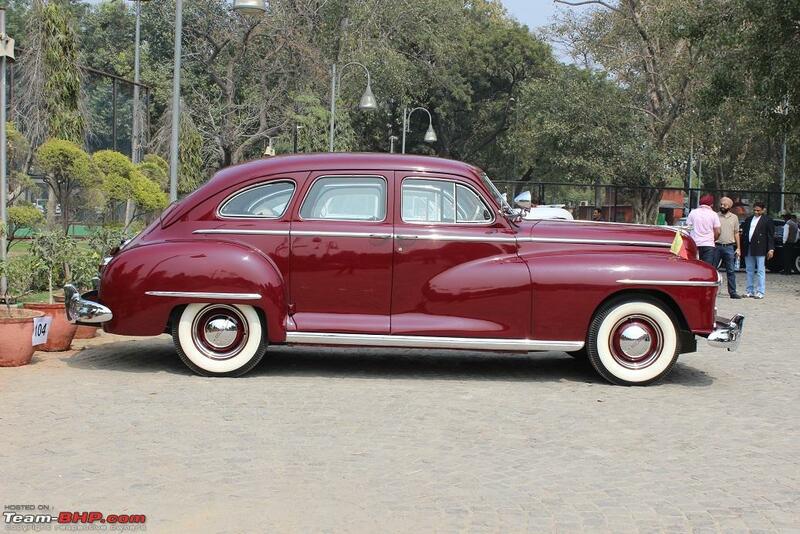 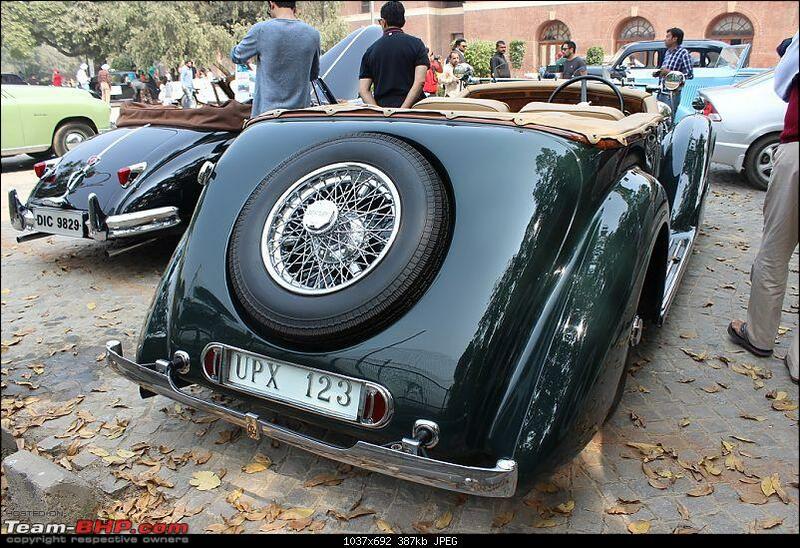 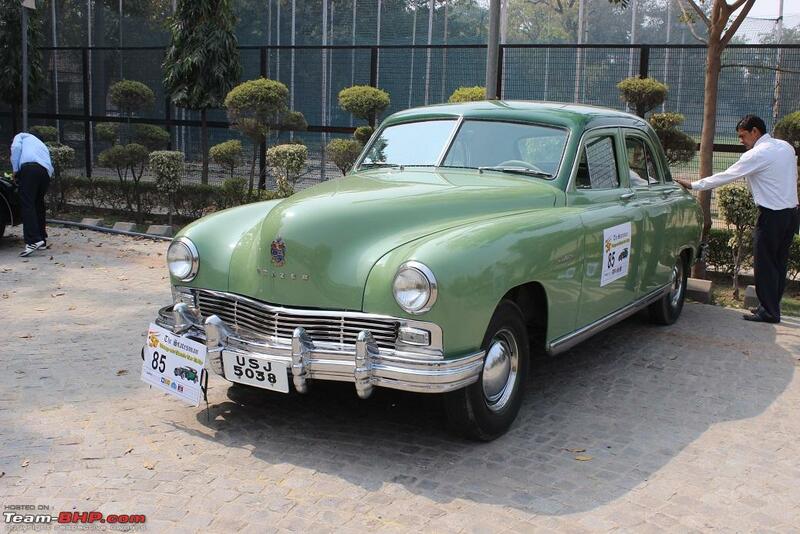 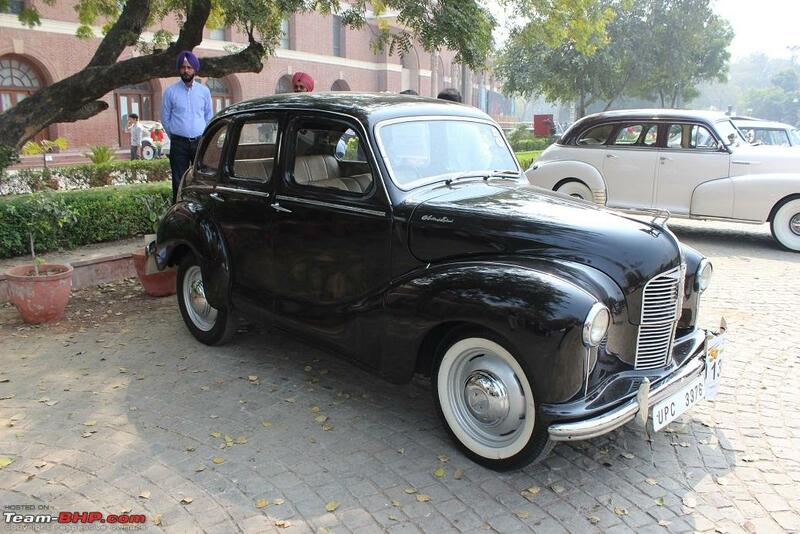 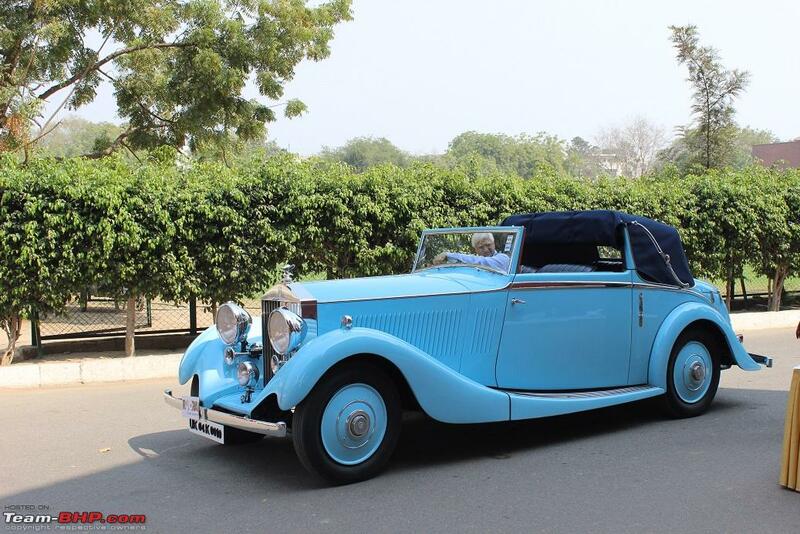 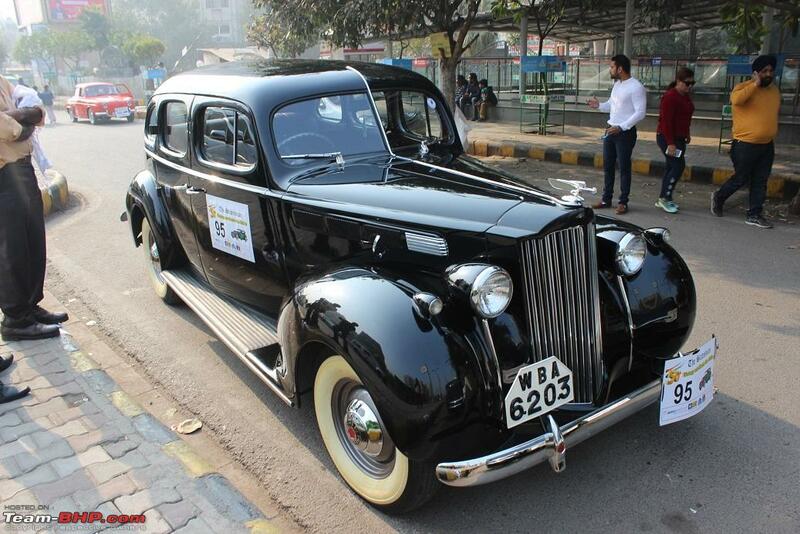 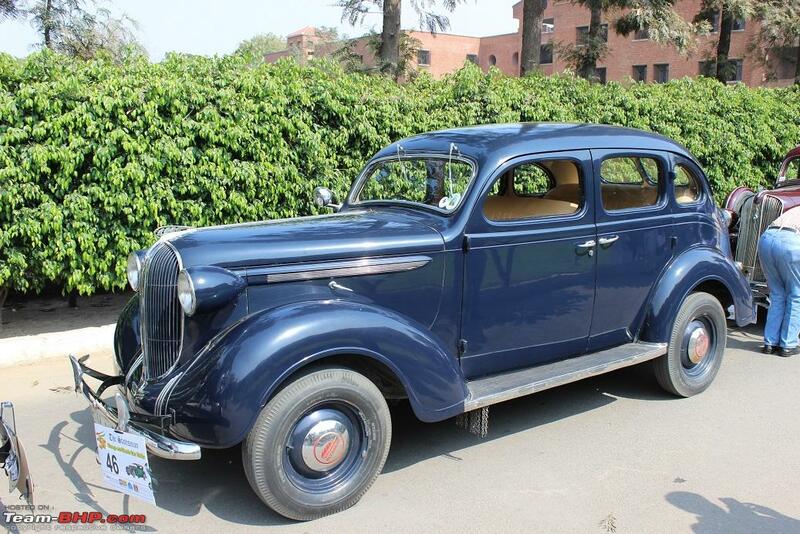 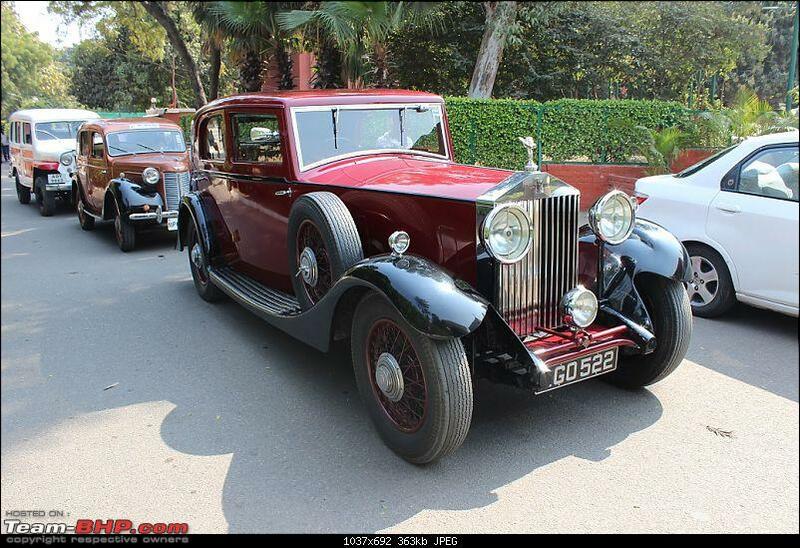 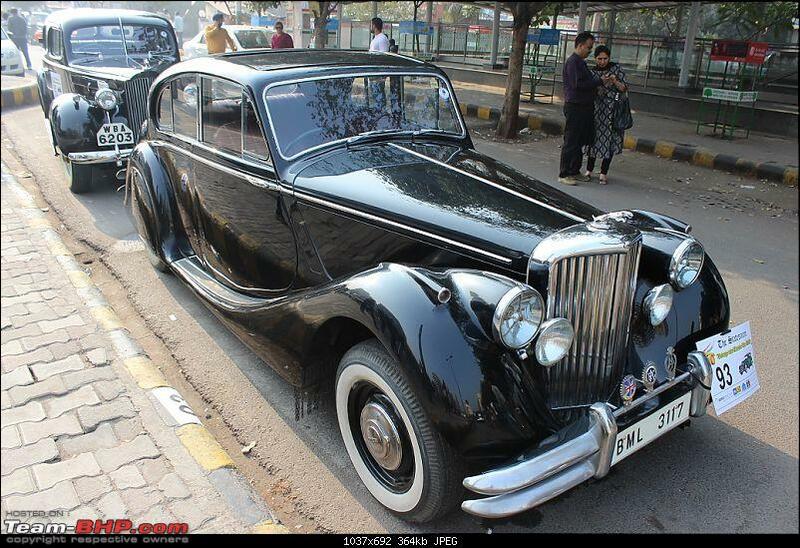 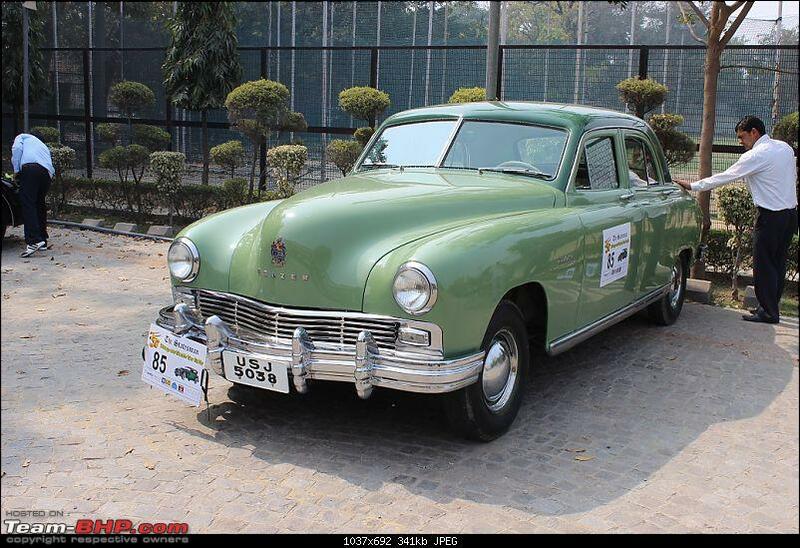 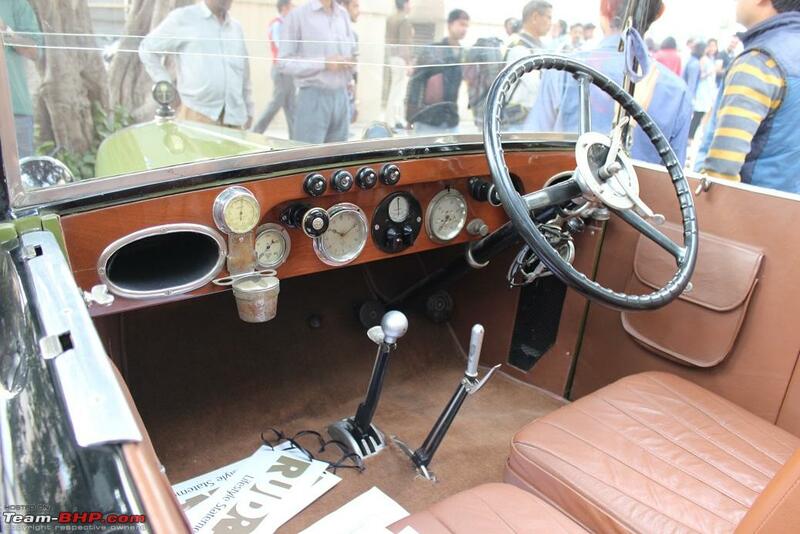 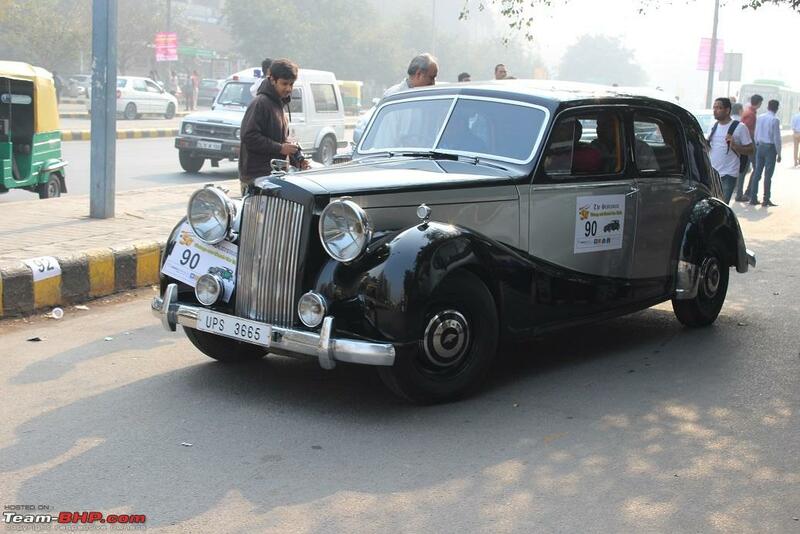 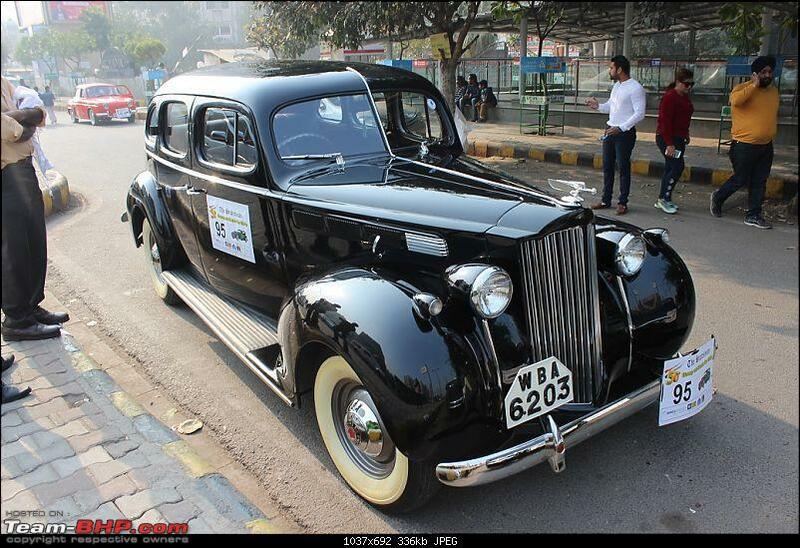 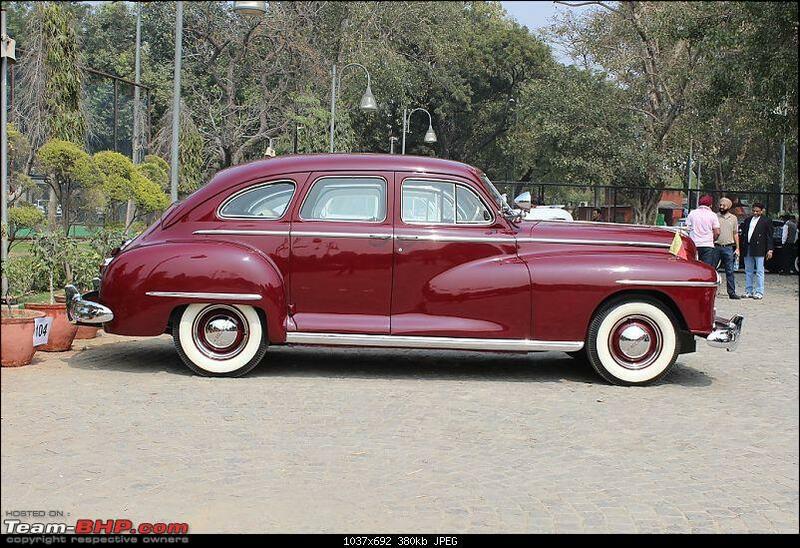 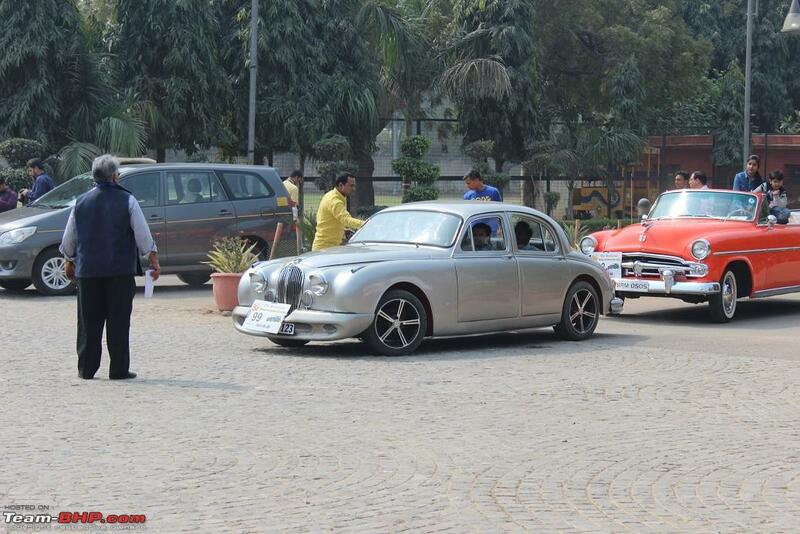 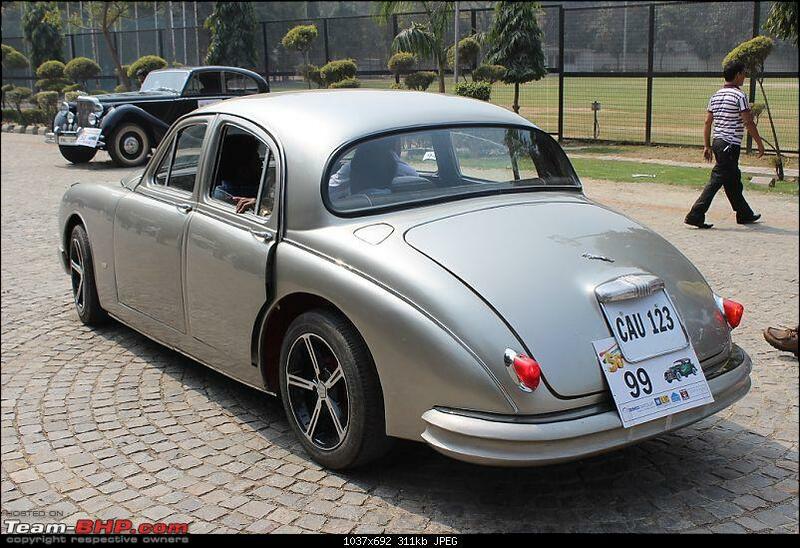 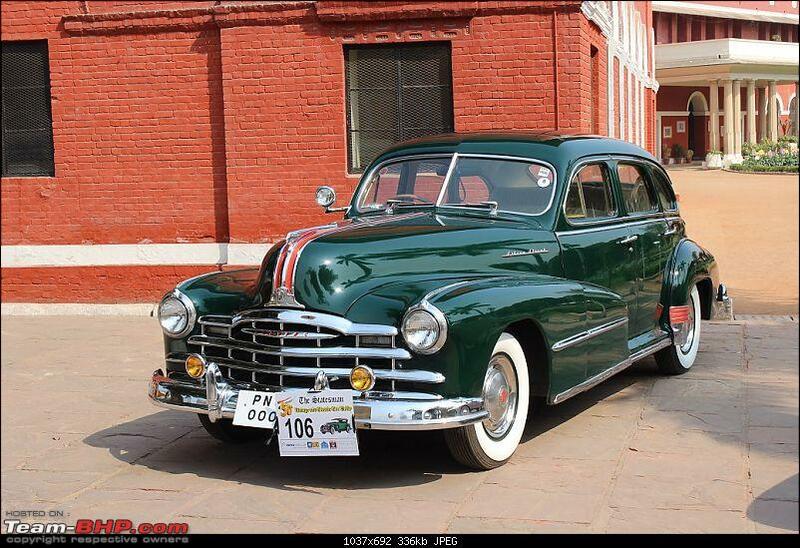 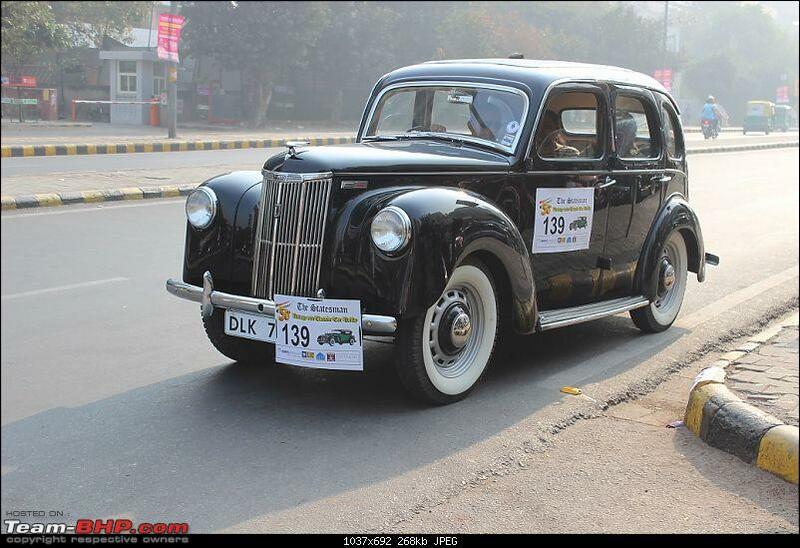 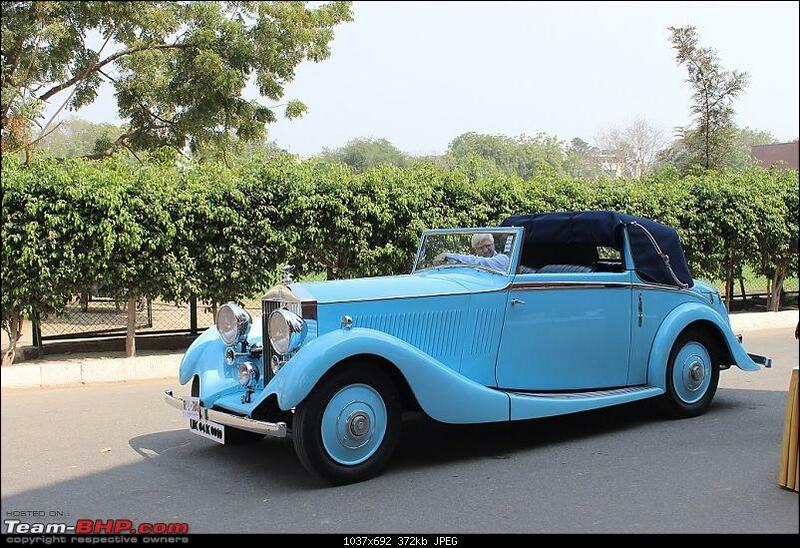 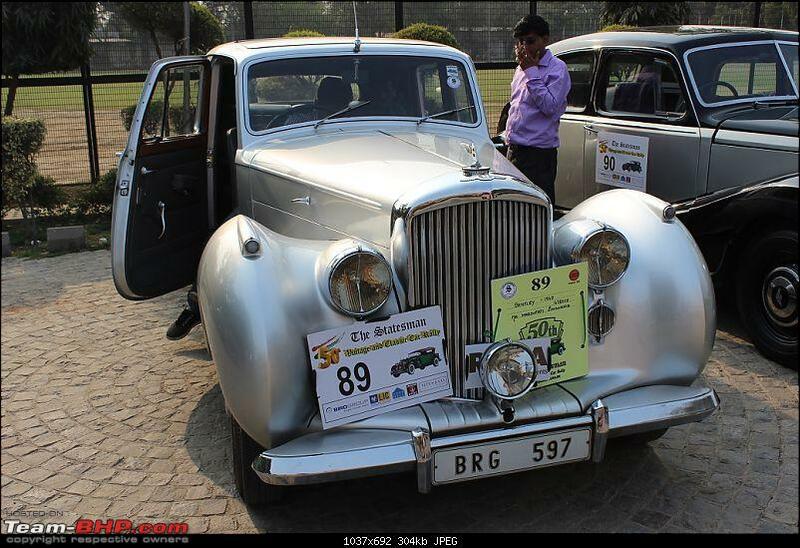 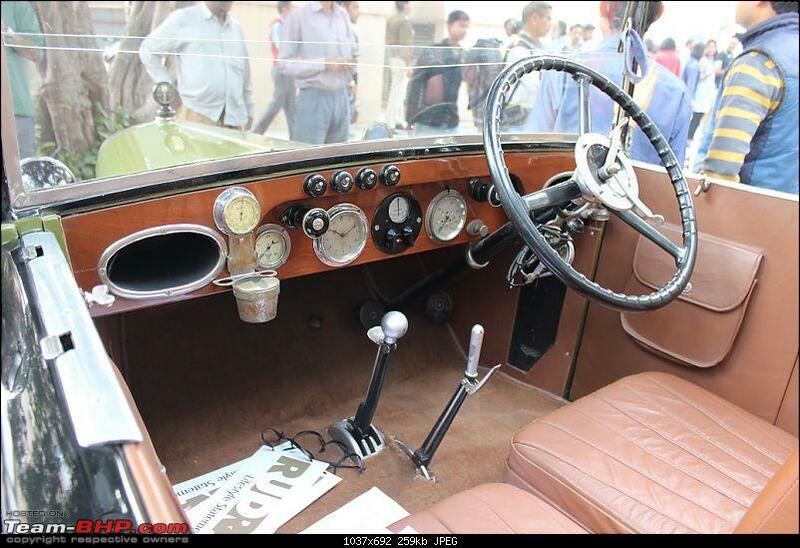 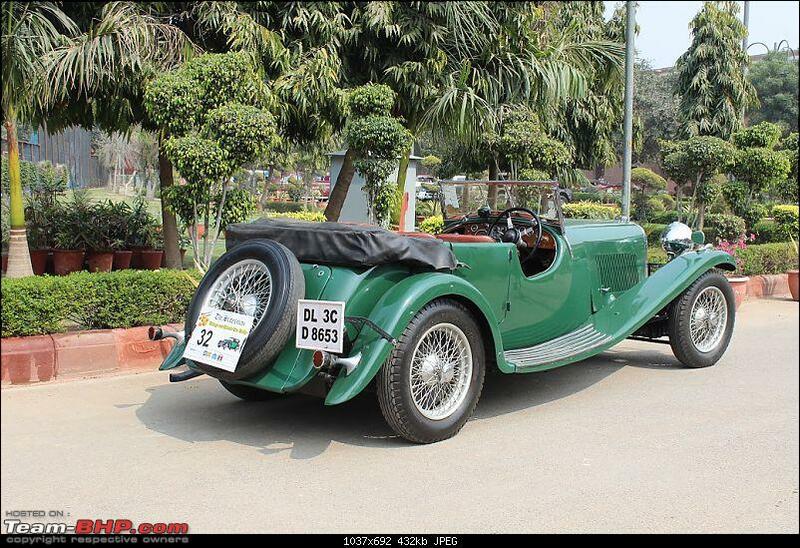 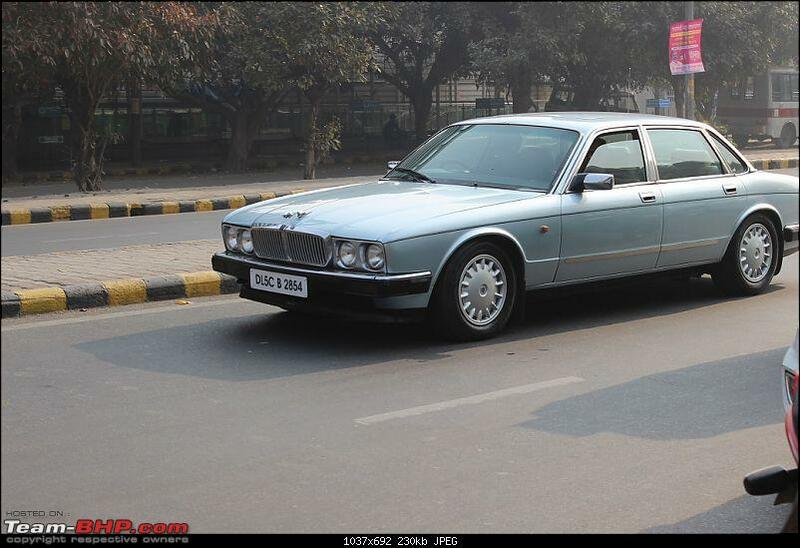 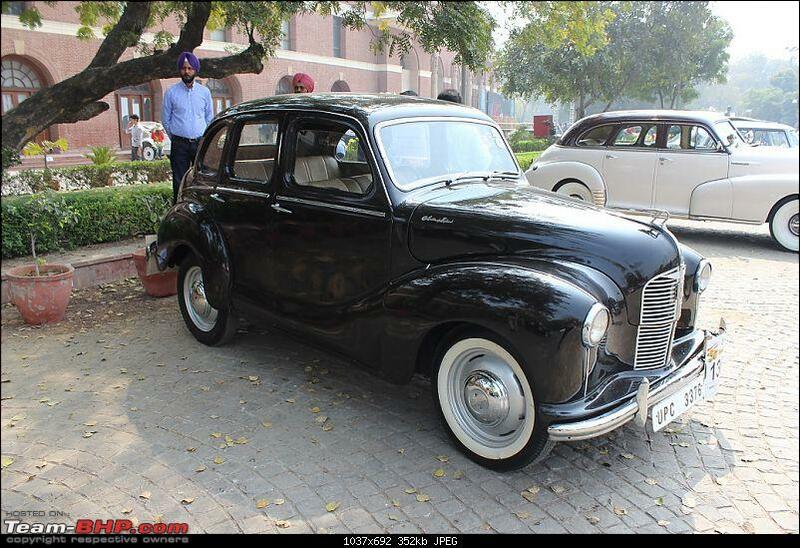 1948 Bentley Mark VI Standard Steel Saloon, #B148AK, ordered new by Darbhanga, was the other Bentley present. 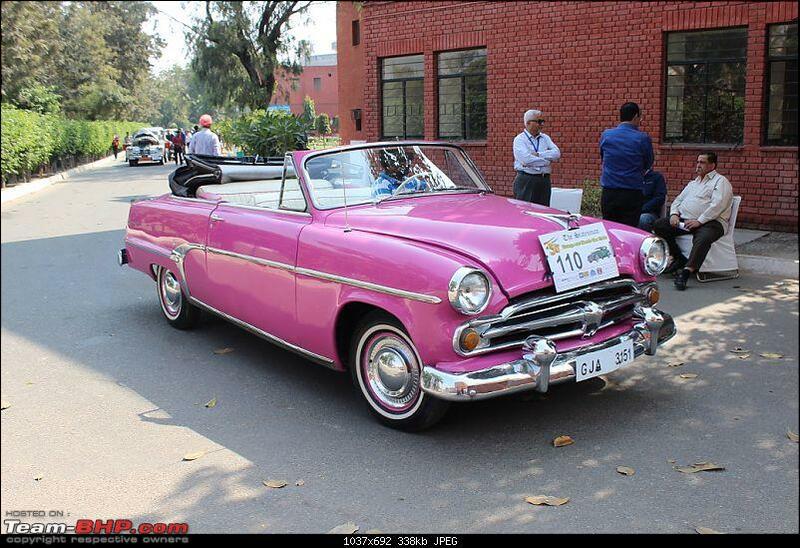 Last edited by karlosdeville : 17th March 2016 at 16:49. 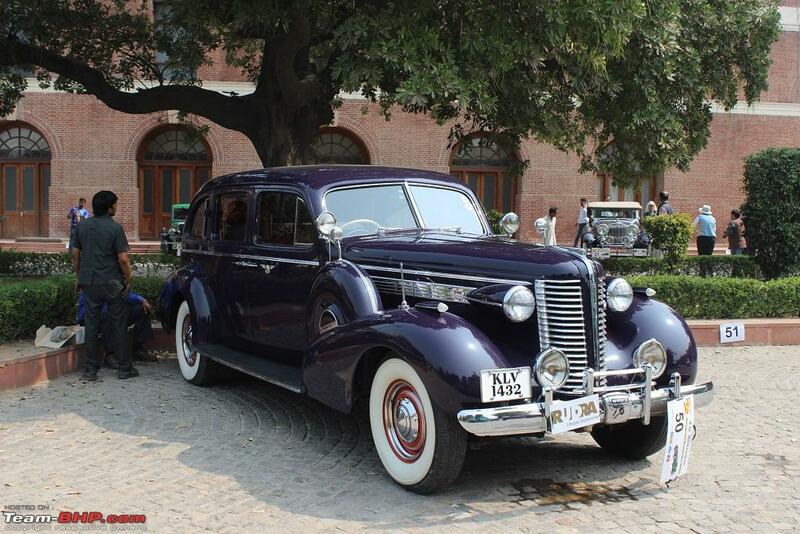 I counted an impressive 8 Buicks attending, including a trio of 1940 models. 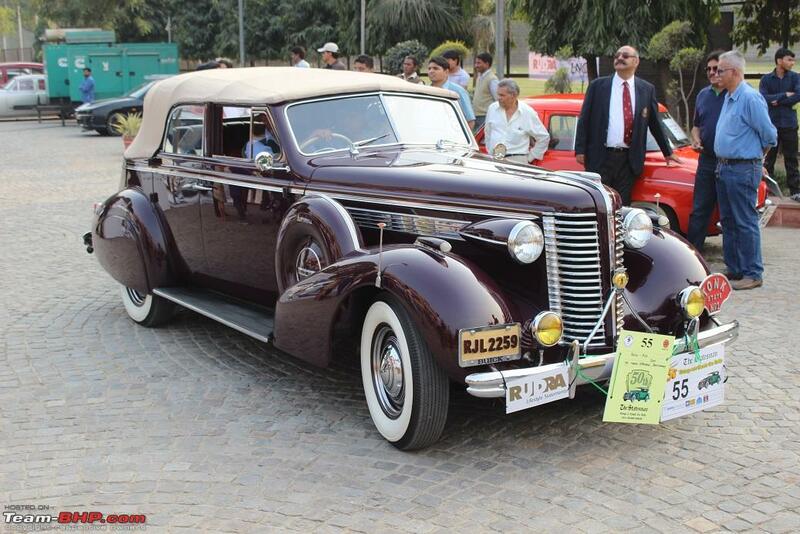 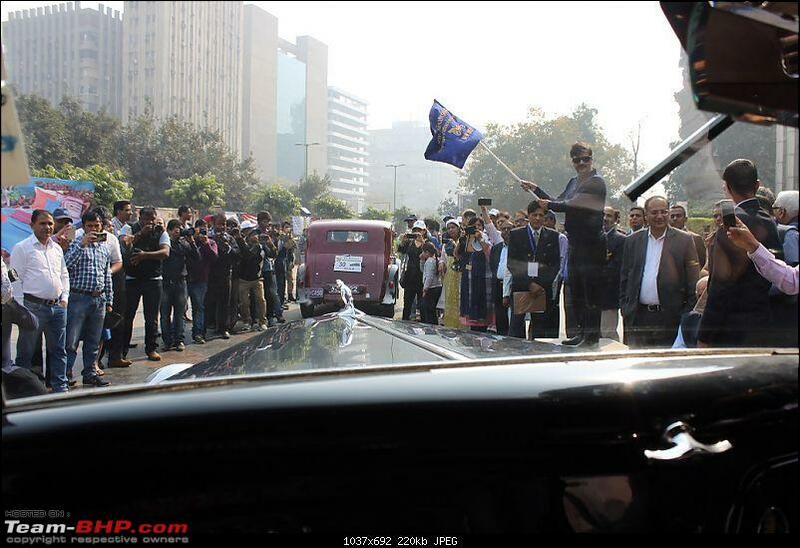 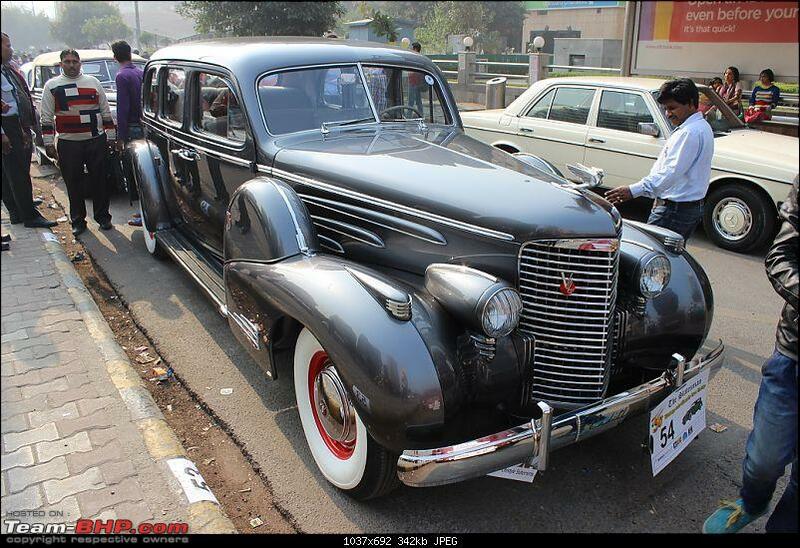 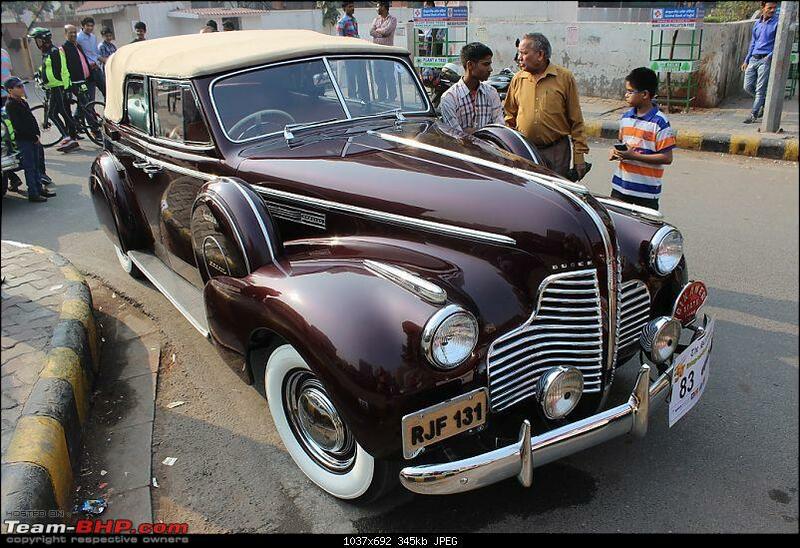 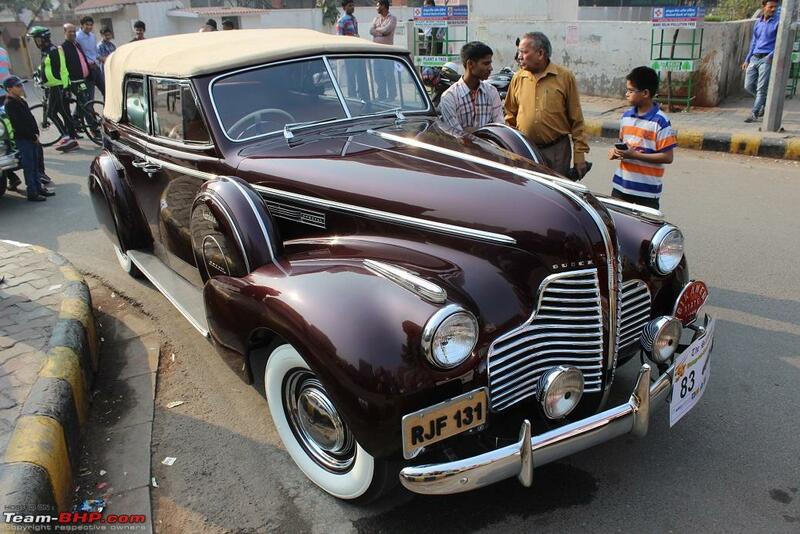 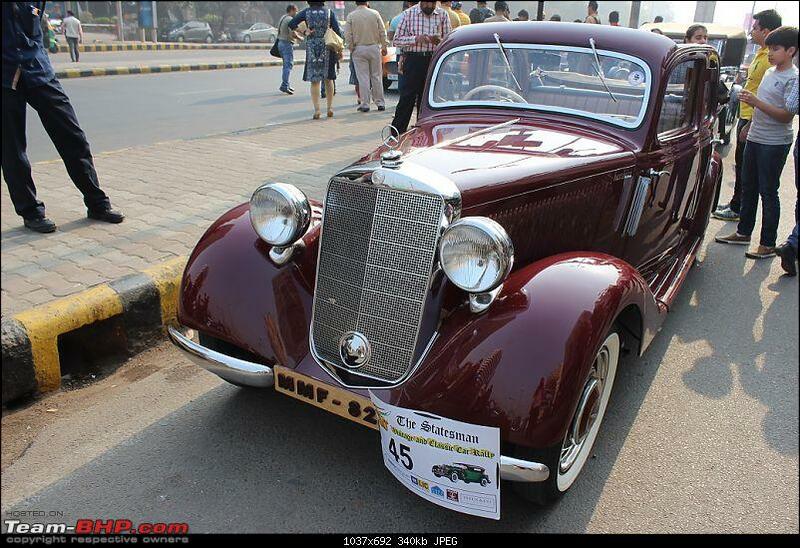 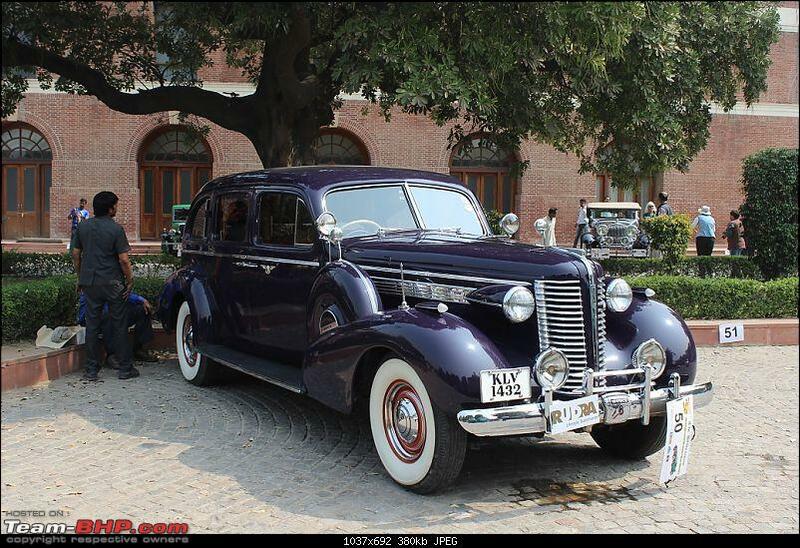 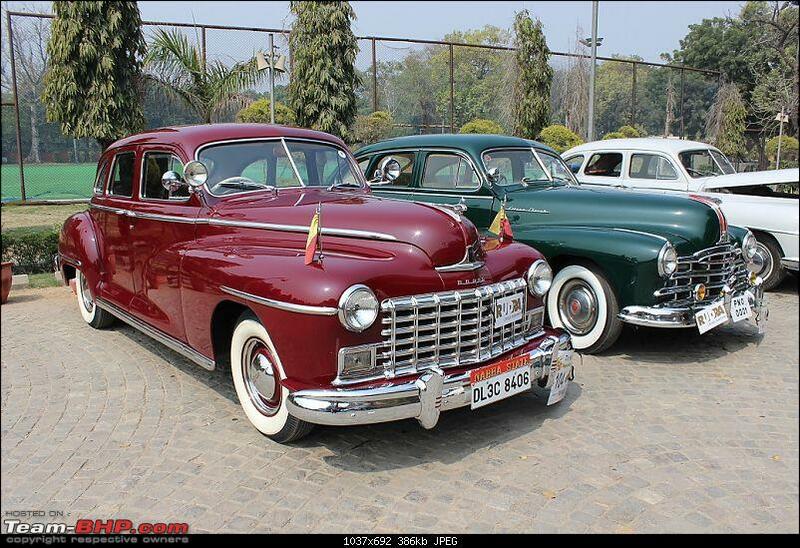 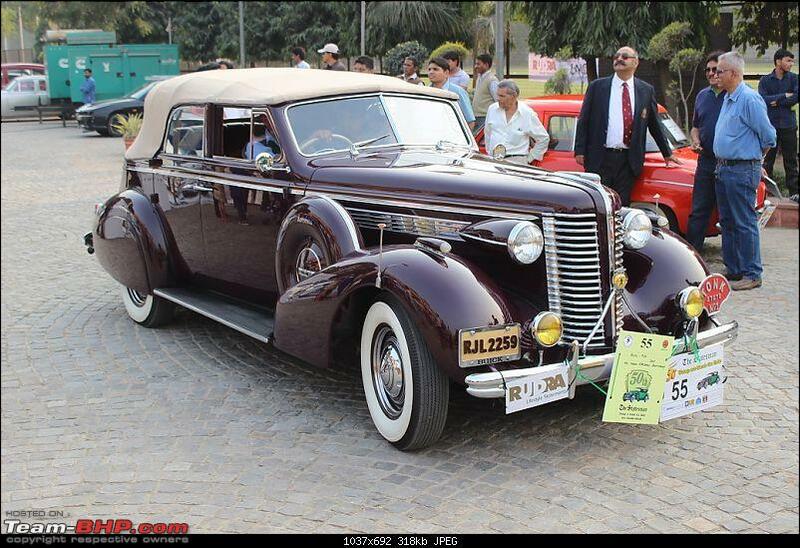 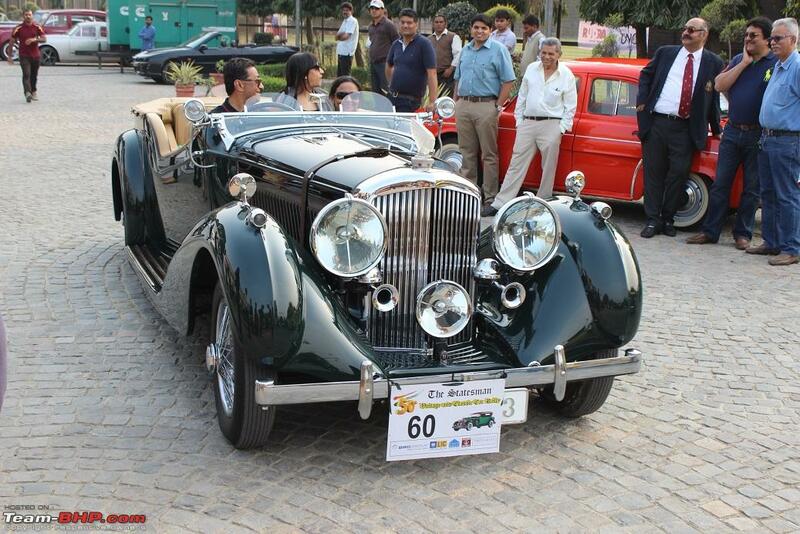 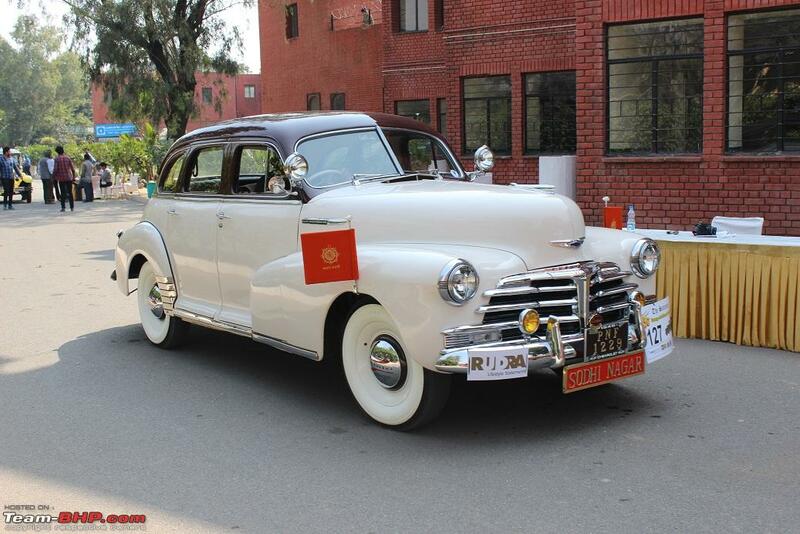 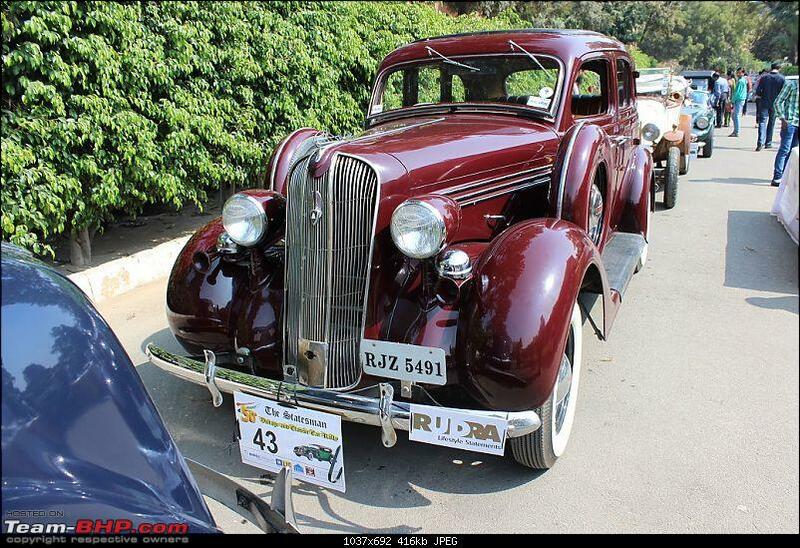 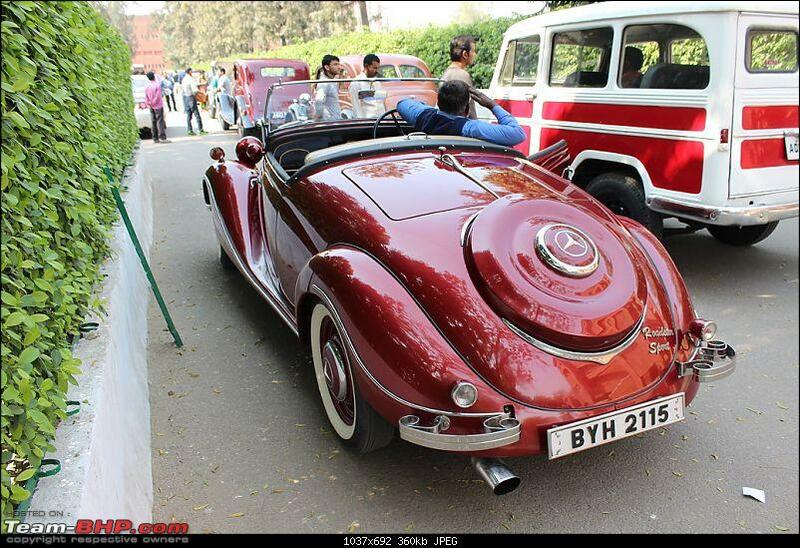 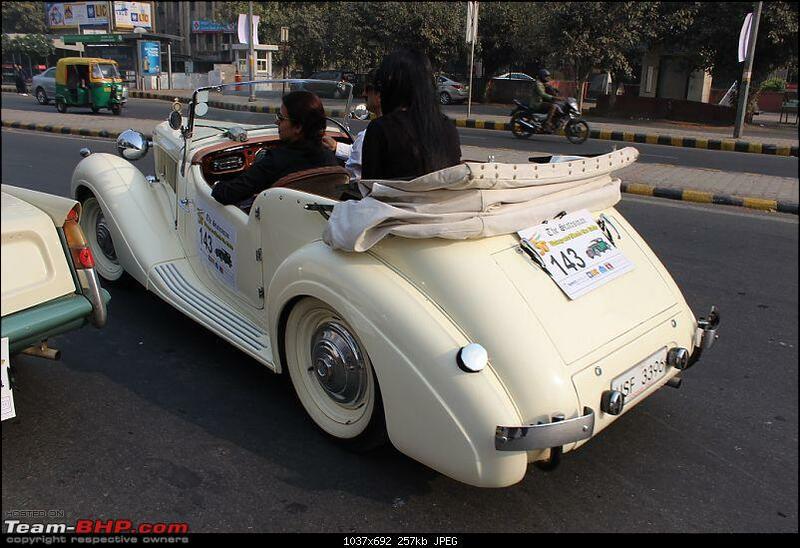 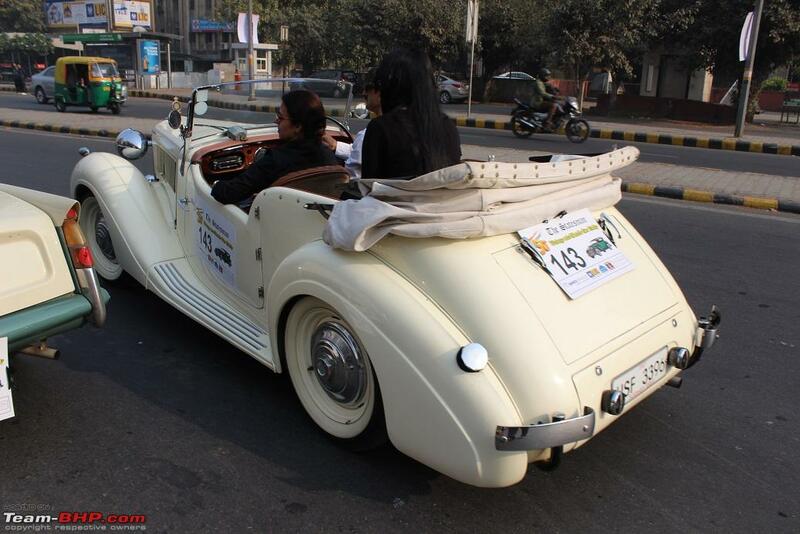 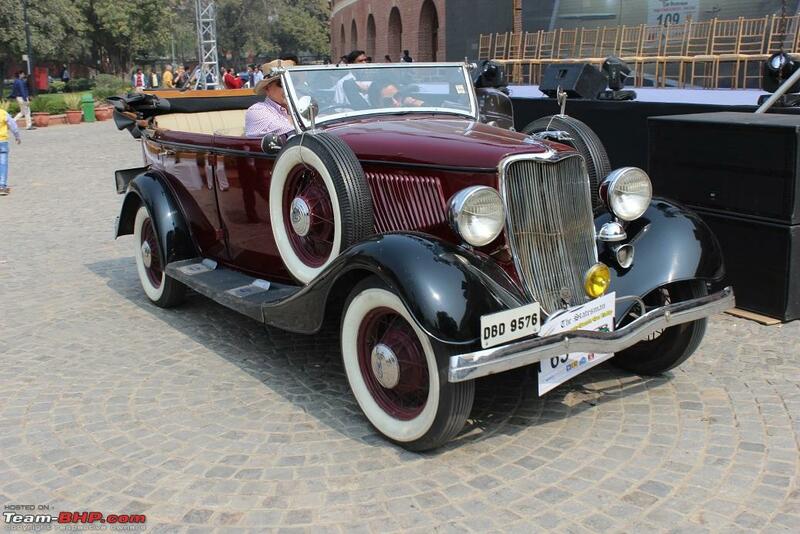 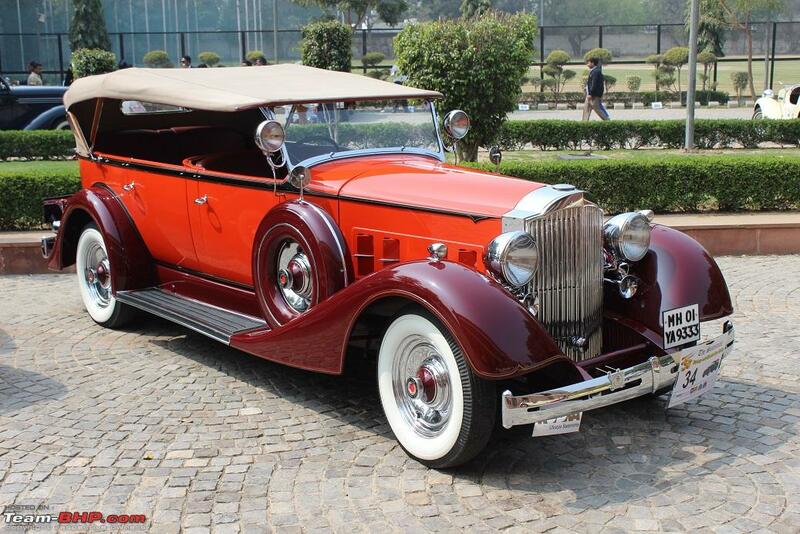 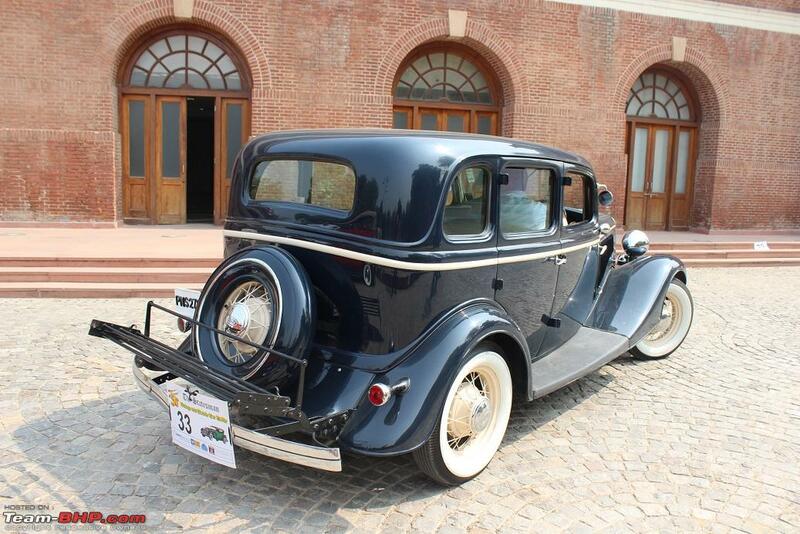 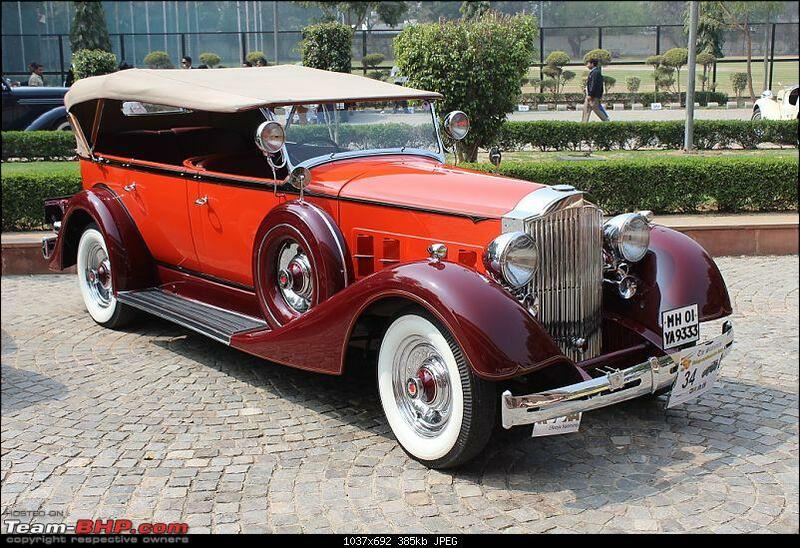 Stunning 1938 Cadillac V16 was visiting from Bombay. 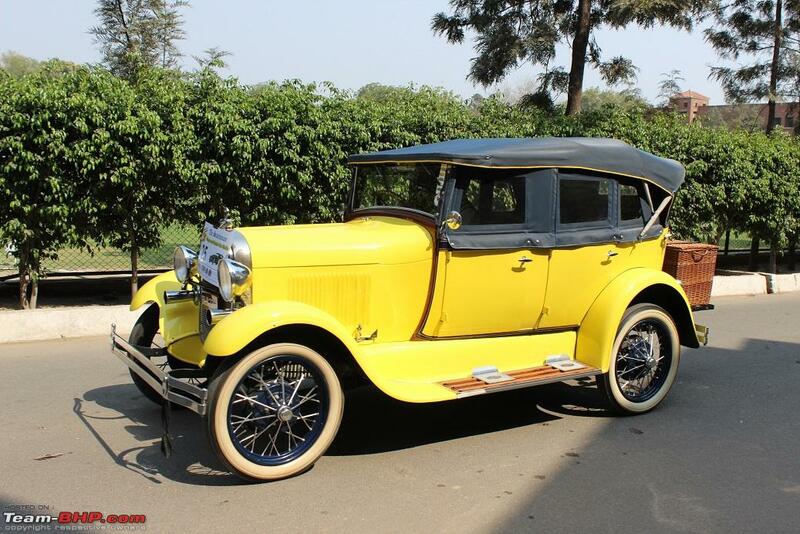 Early Chevy Tourer, around 1926 or 27. 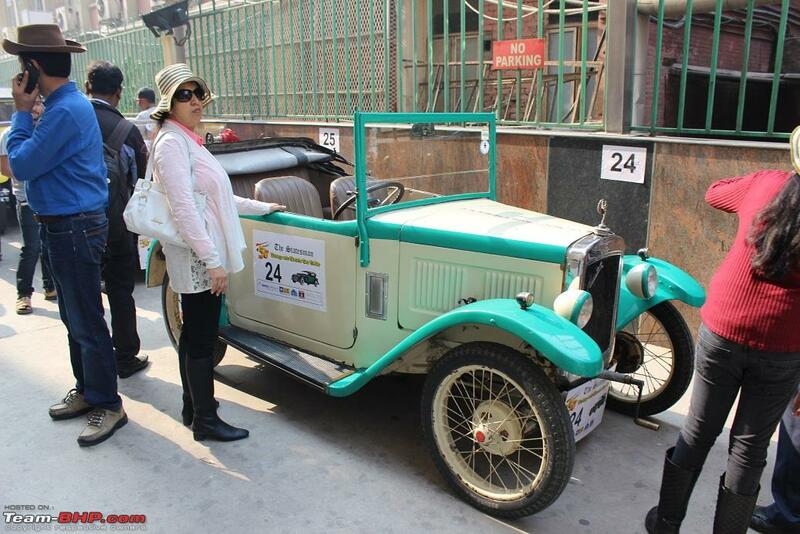 Early Citroen tourer must have been the oldest car at the event. 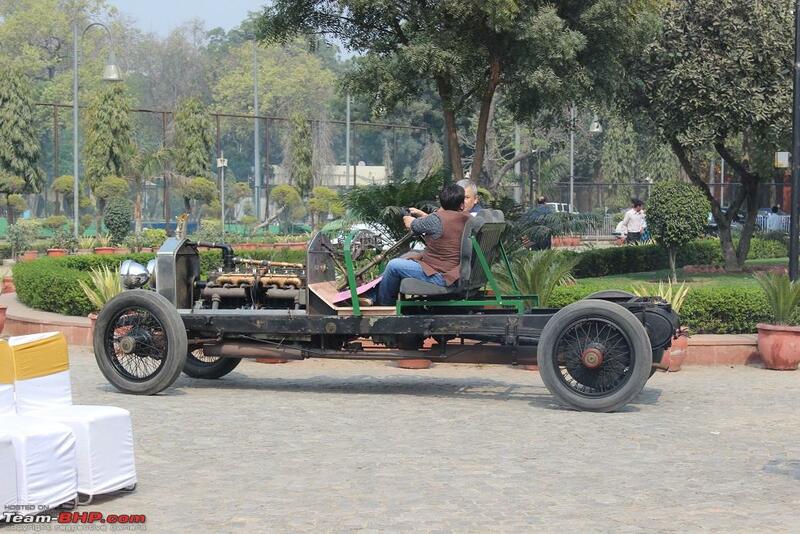 We missed seeing the 1914 Morris Fire engine this time which is otherwise a regular participant. 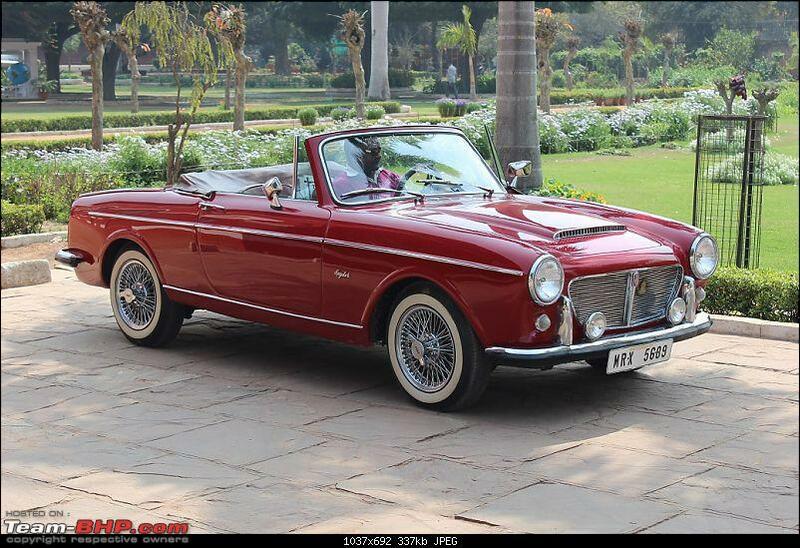 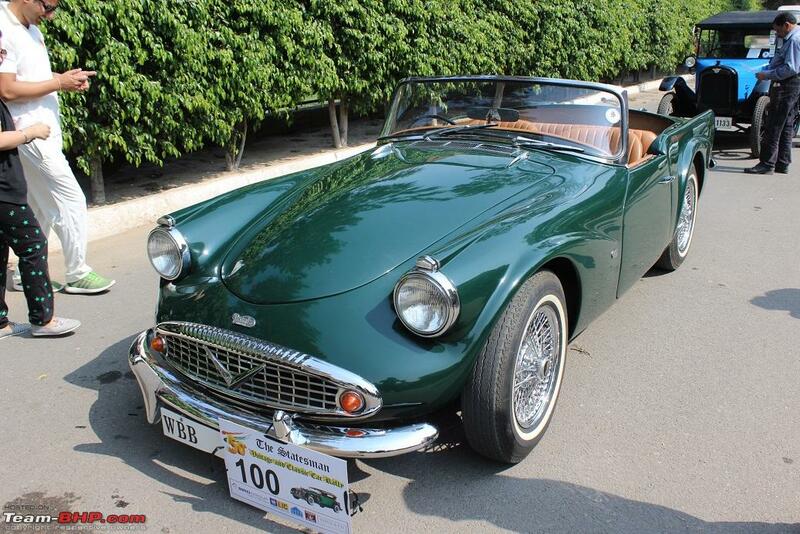 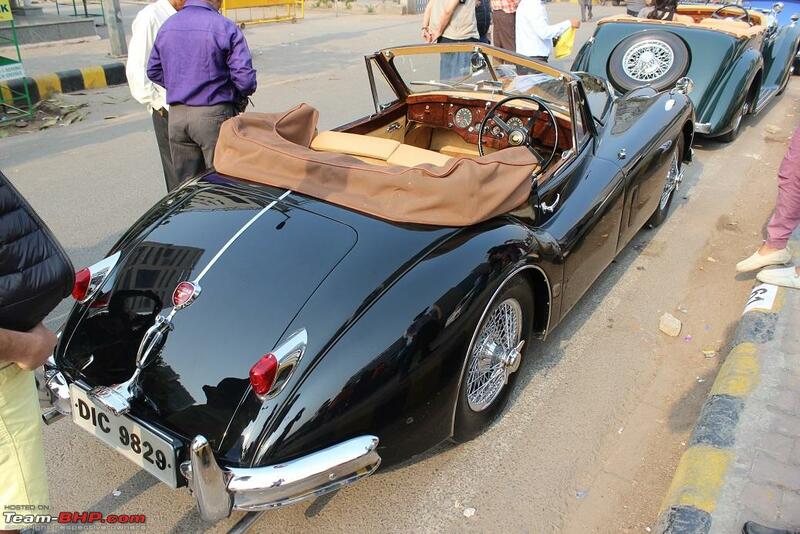 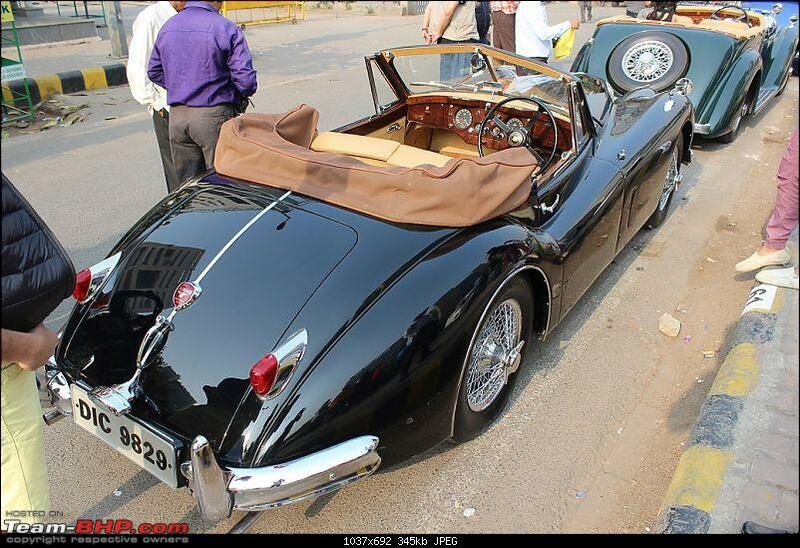 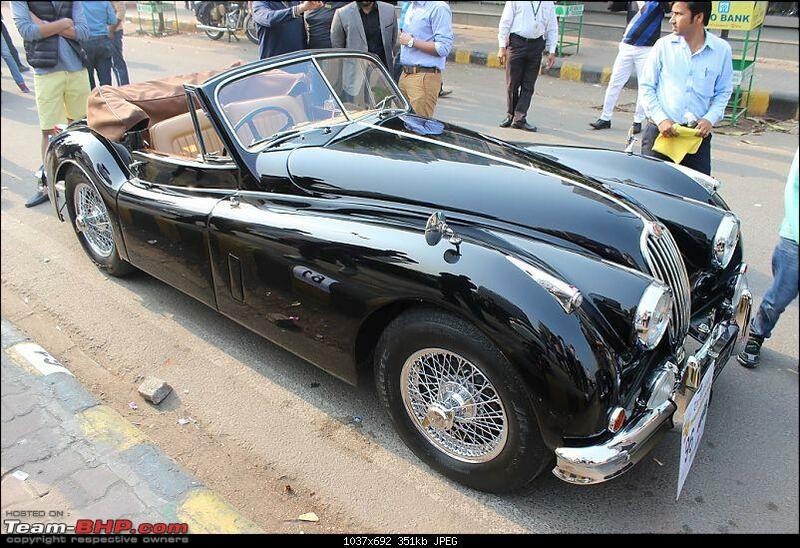 1959 Daimler SP250/Dart was an entry from Jaipur. 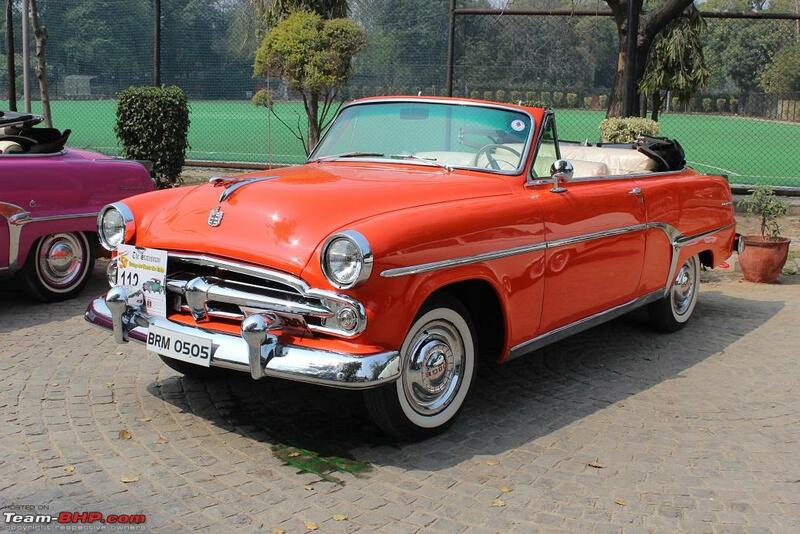 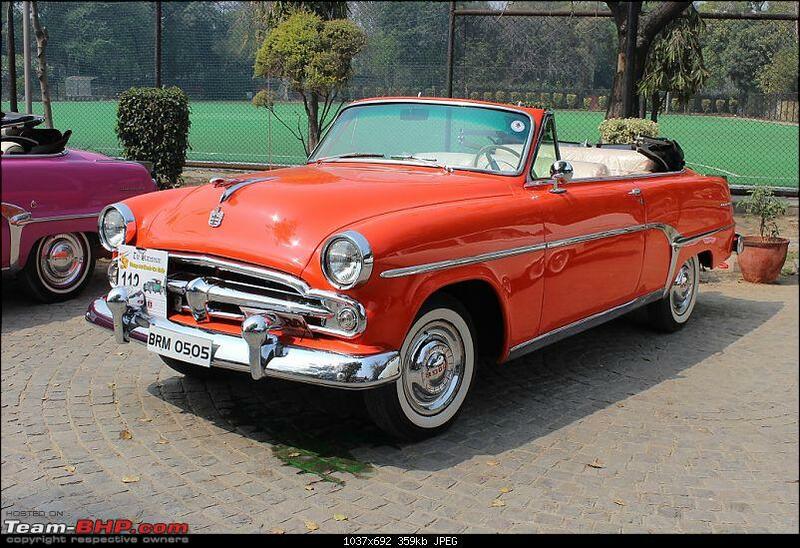 A pair of colourful 1954 Dodge Kingsway convertibles. 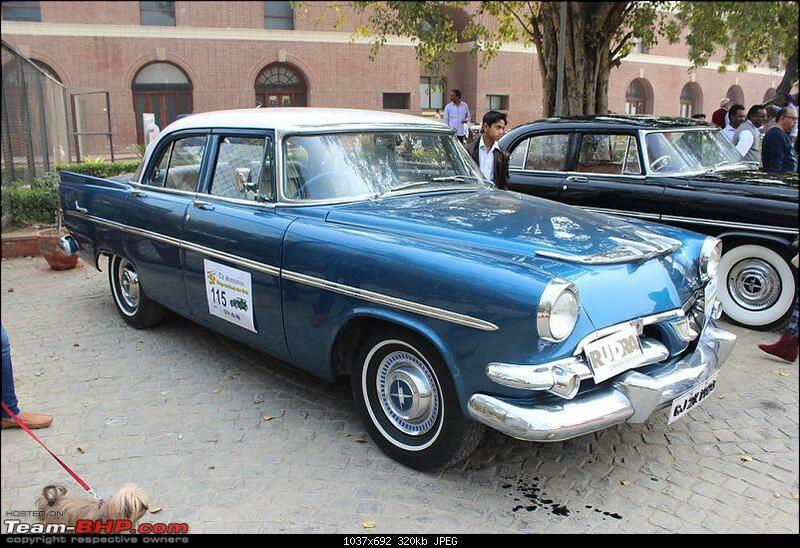 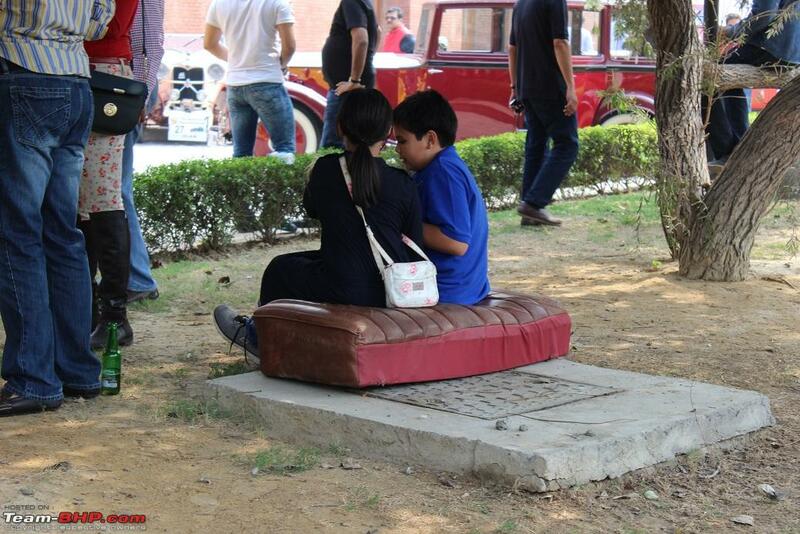 Growing very quickly in desirability along with their DeSoto and Plymouth counterparts. 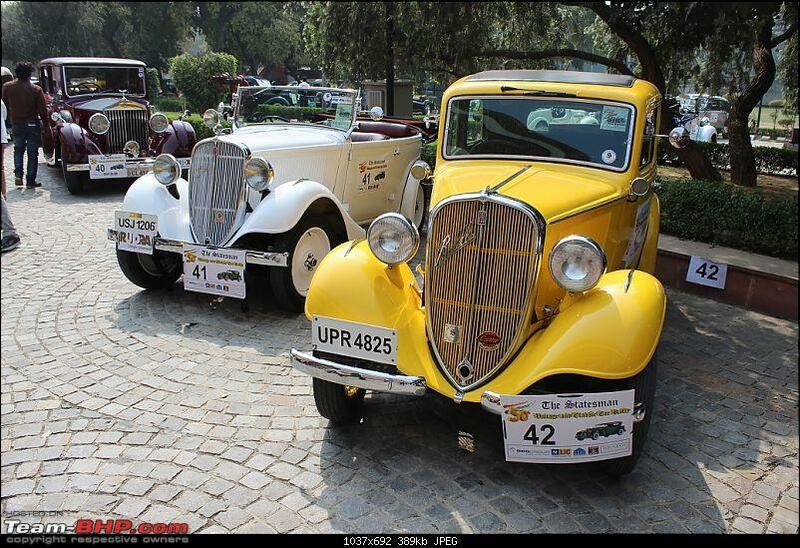 Pair of prewar Fiat Balillas. 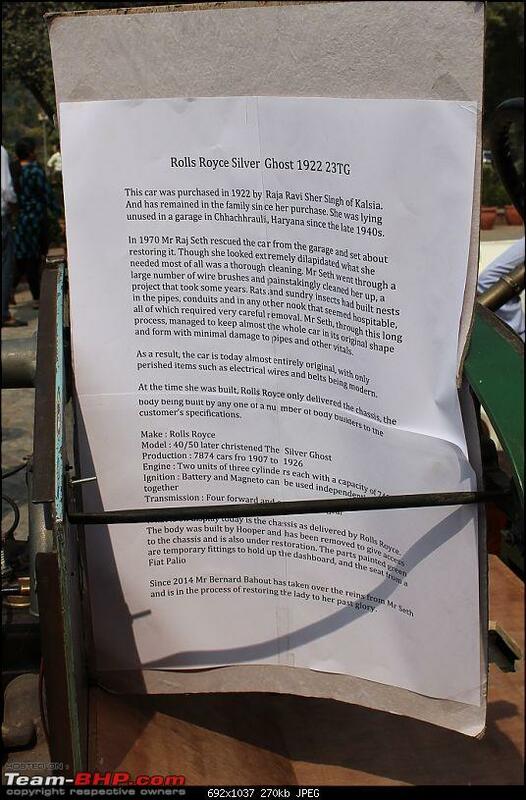 Last edited by karlosdeville : 17th March 2016 at 13:00. 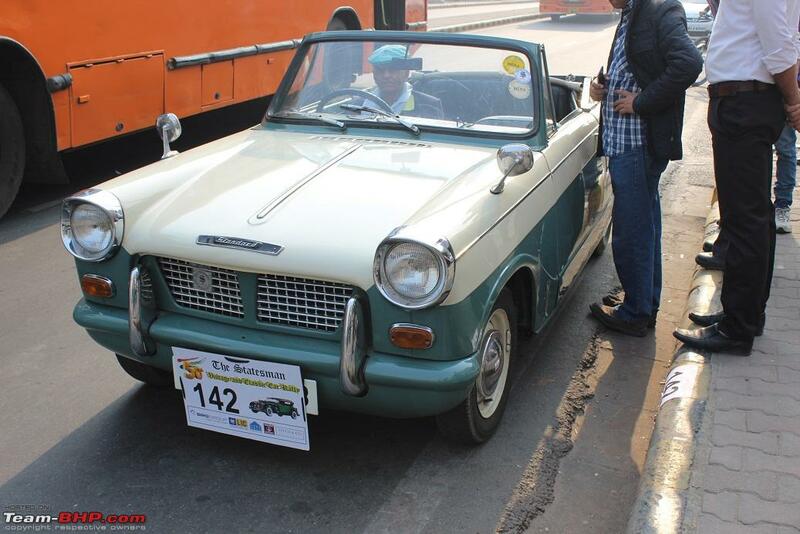 A rare Frazer - these are rarely seen at events. 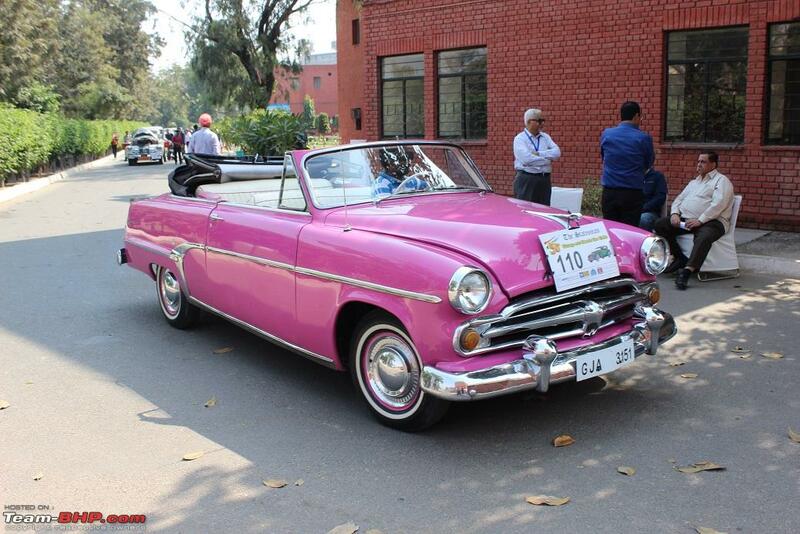 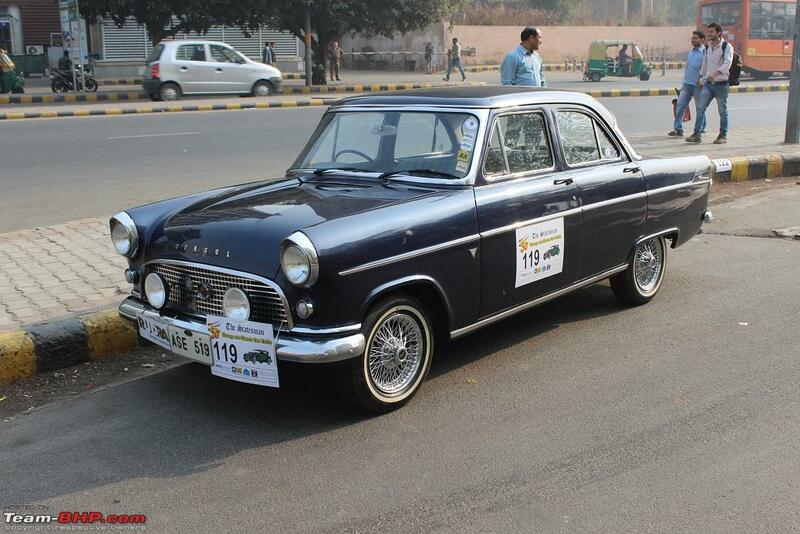 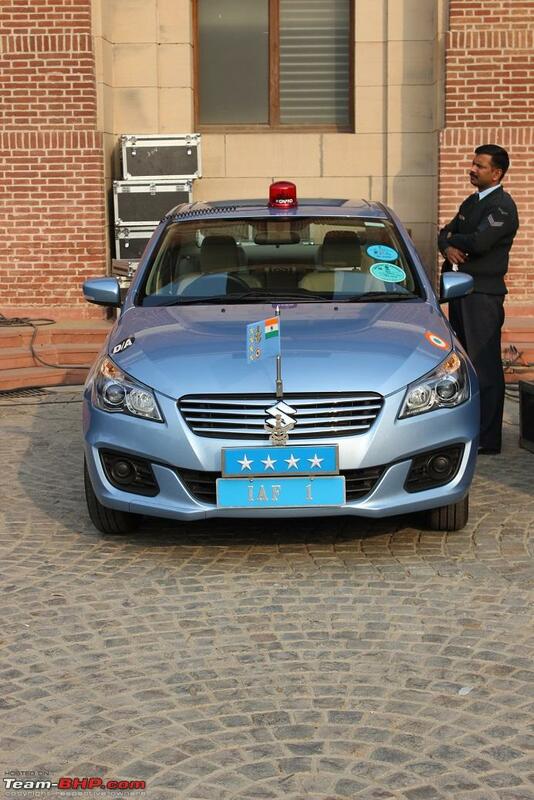 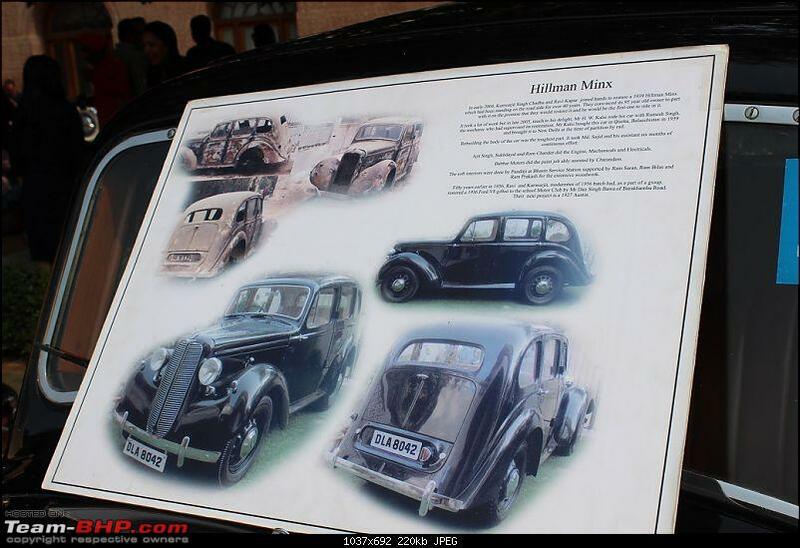 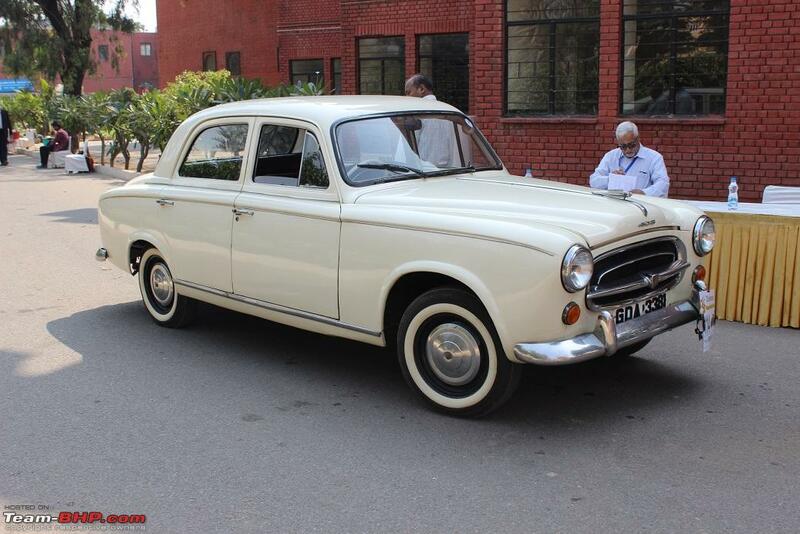 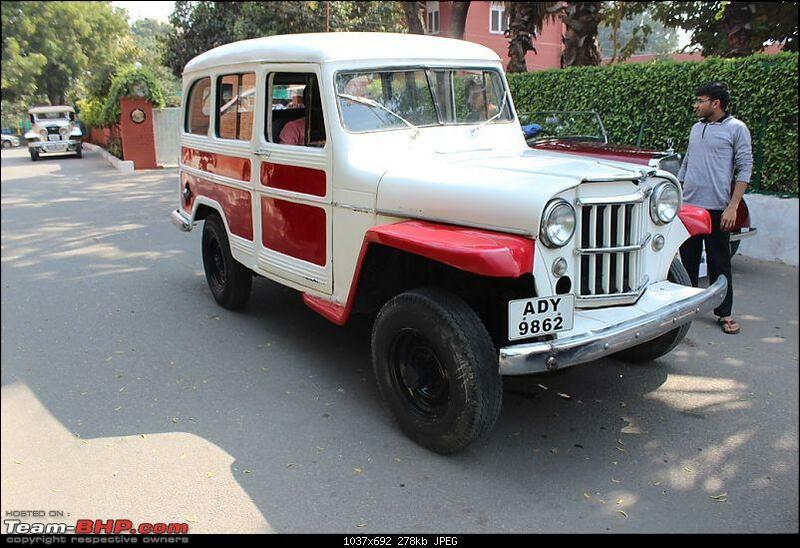 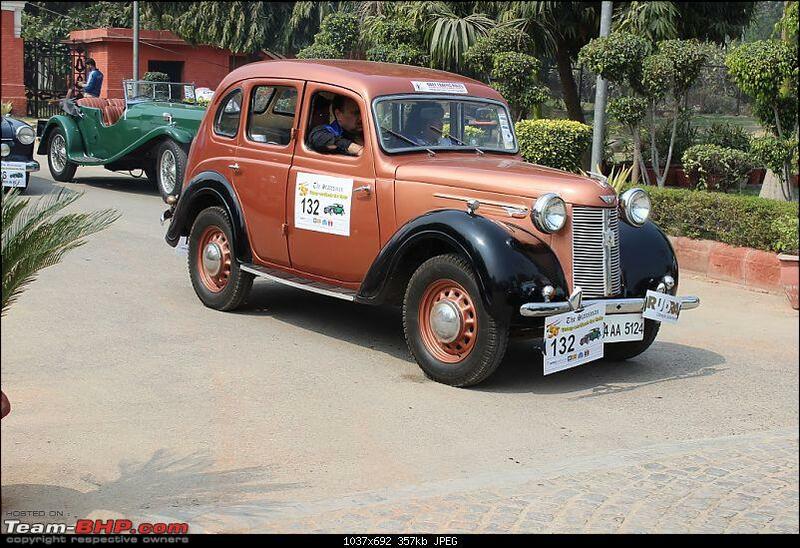 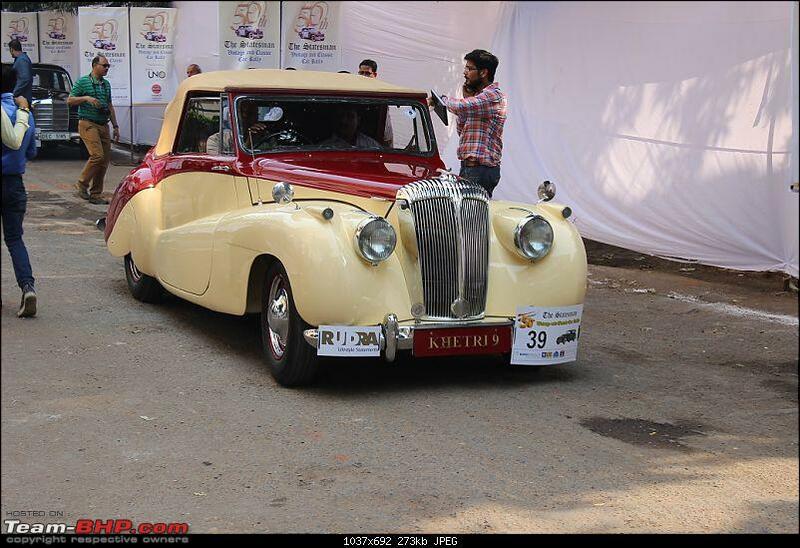 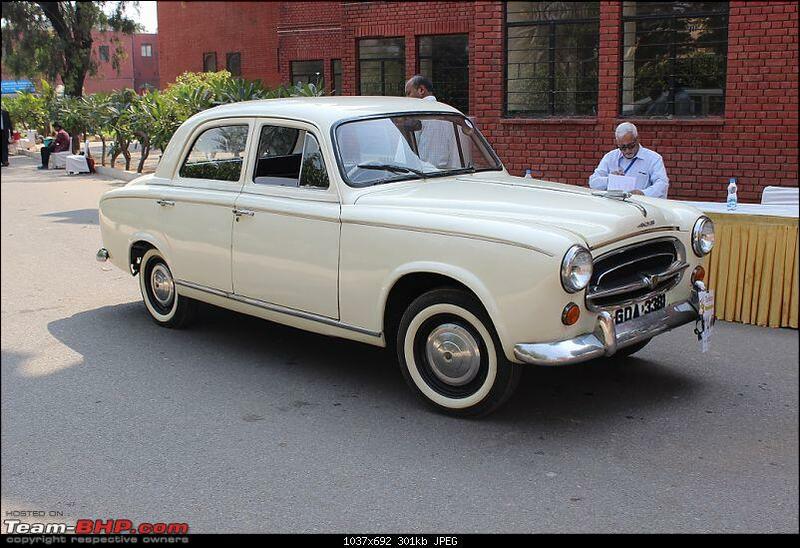 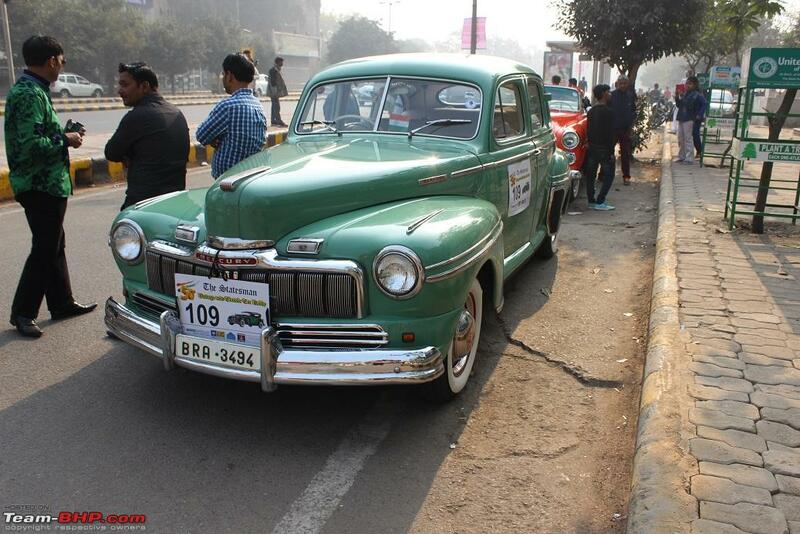 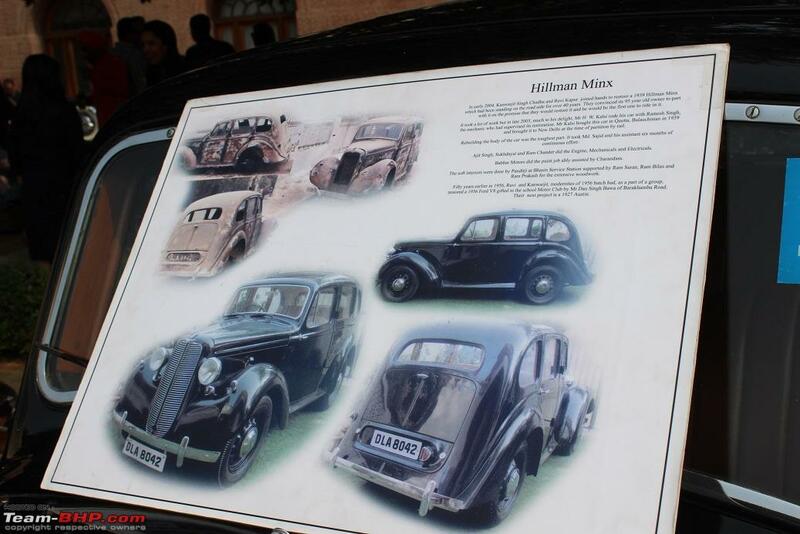 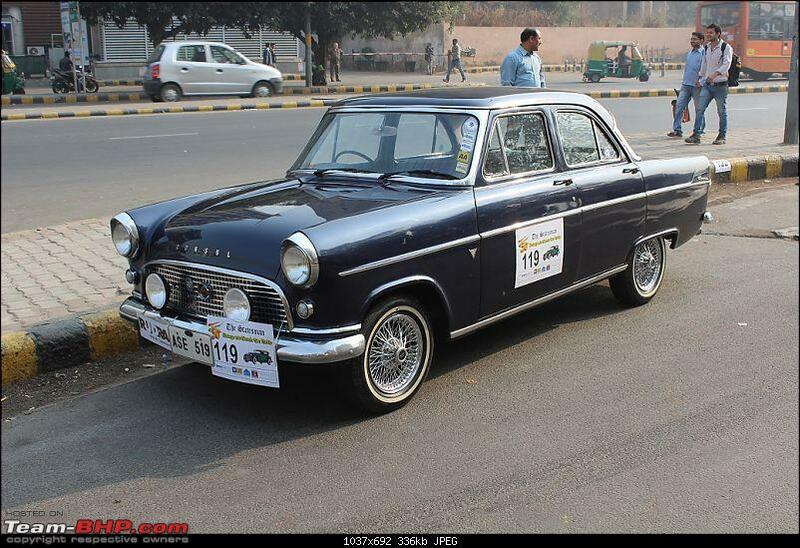 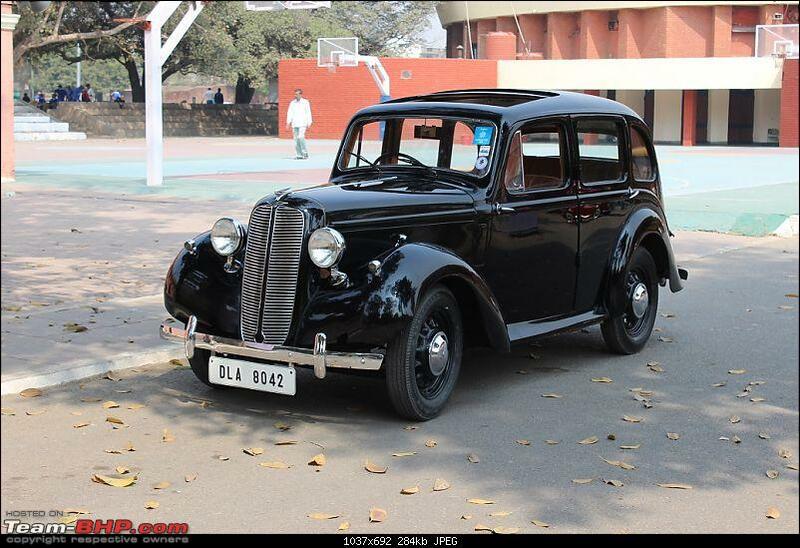 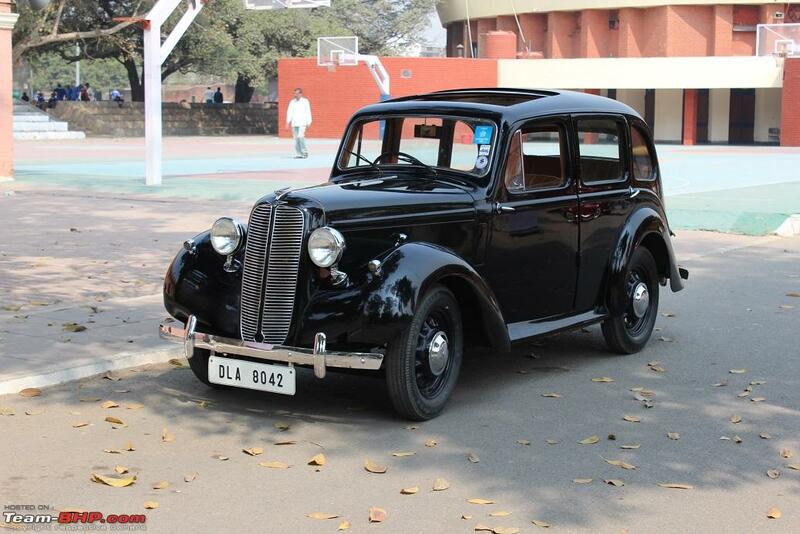 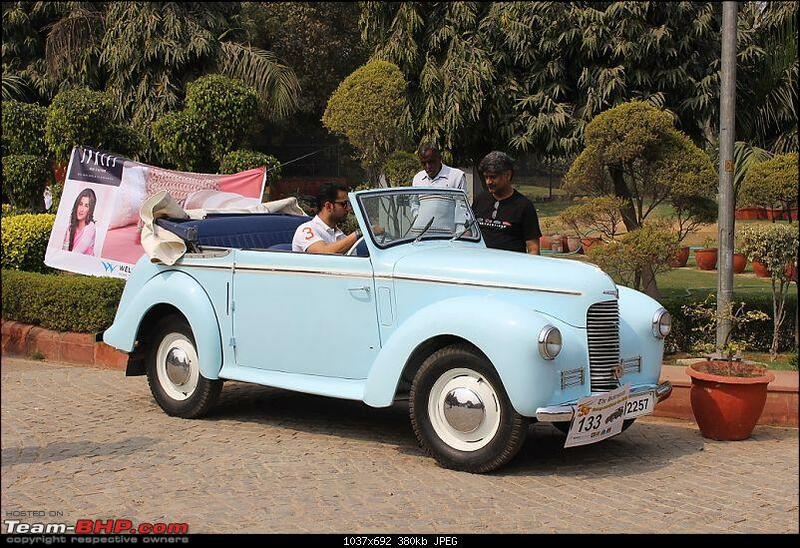 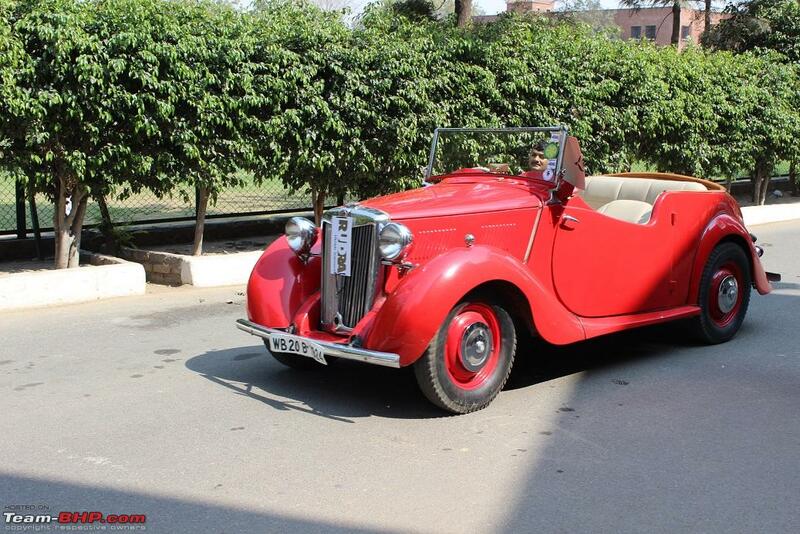 Shivraj's other entry, a Hillman Minx DHC. 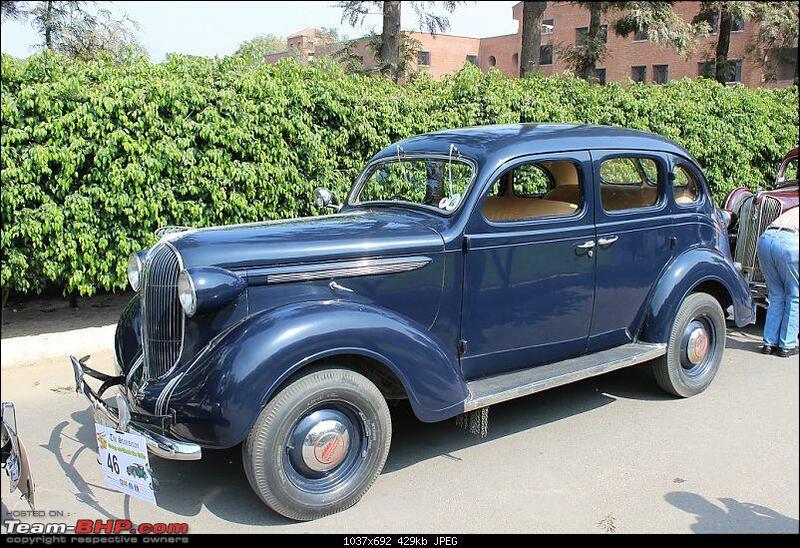 Pretty rare in this bodystyle. 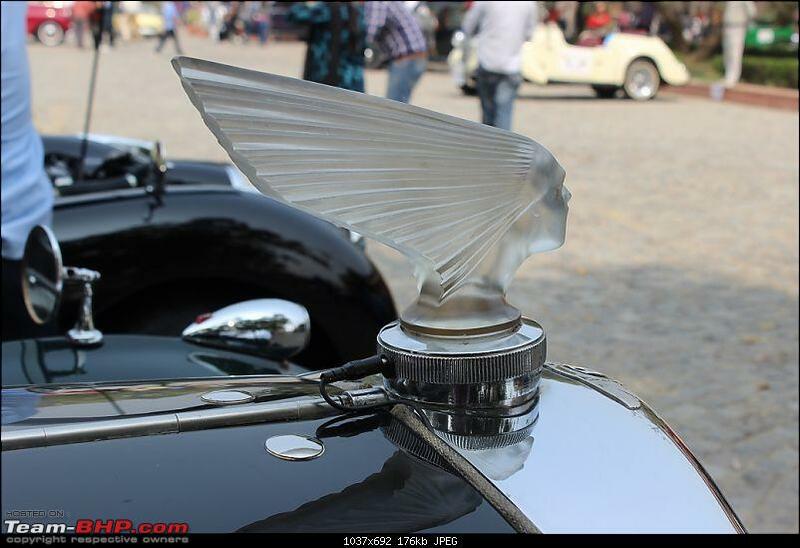 Last edited by karlosdeville : 17th March 2016 at 14:20. 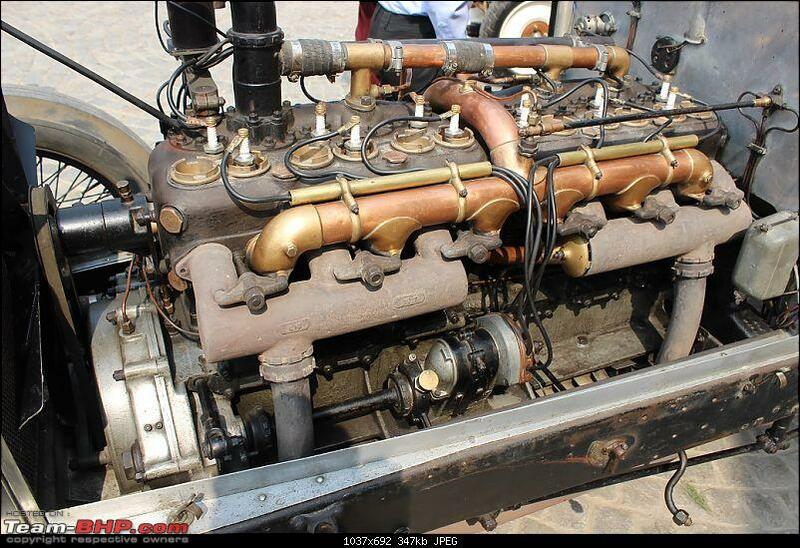 1922 Rolls-Royce Silver Ghost, Hooper Tourer, #23TG, Kaslia from new. 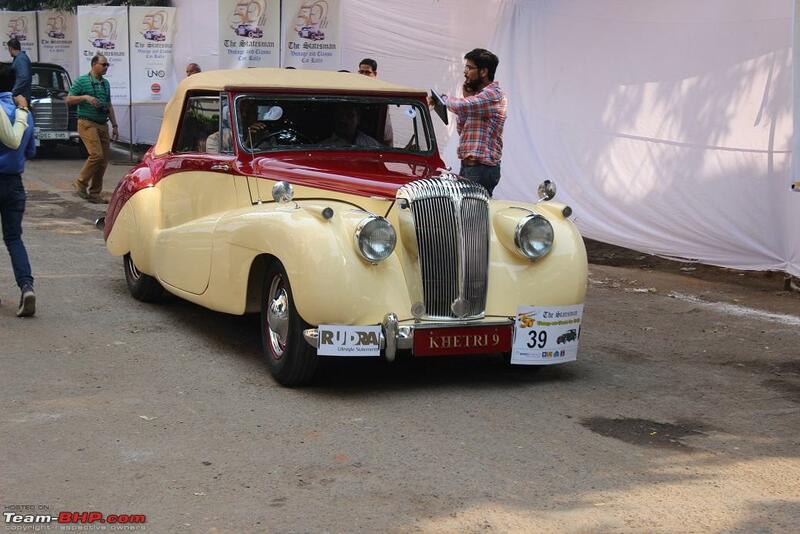 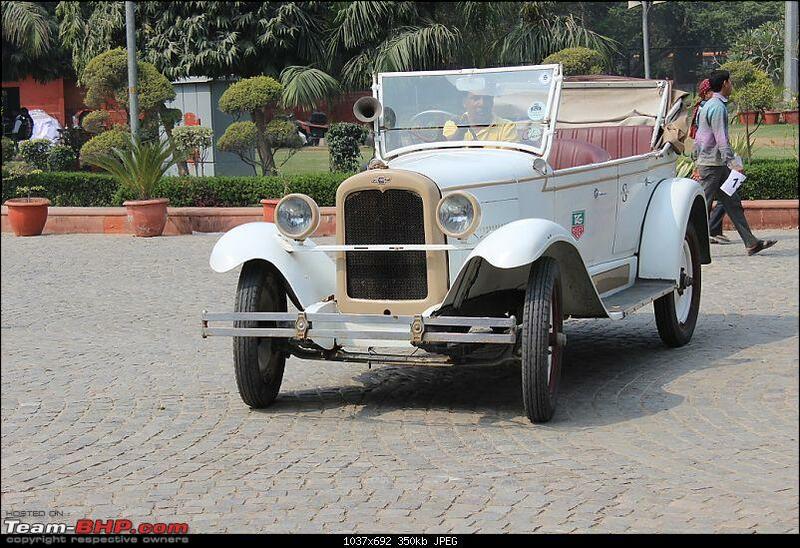 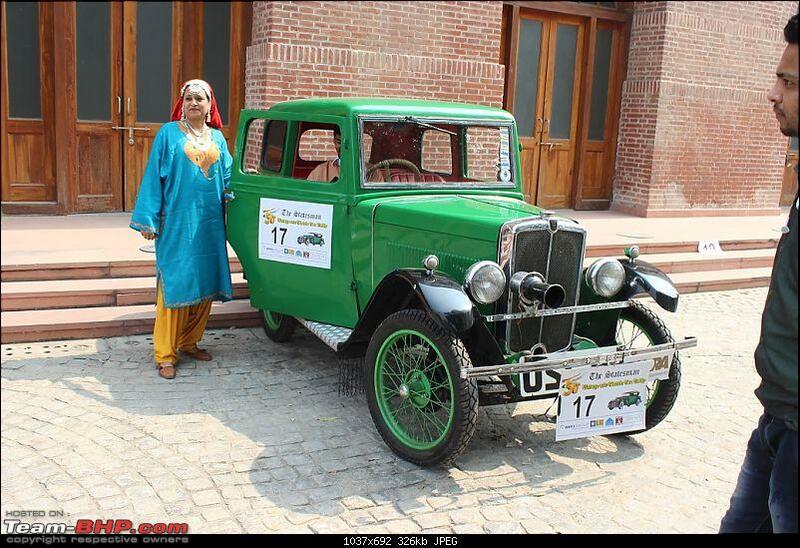 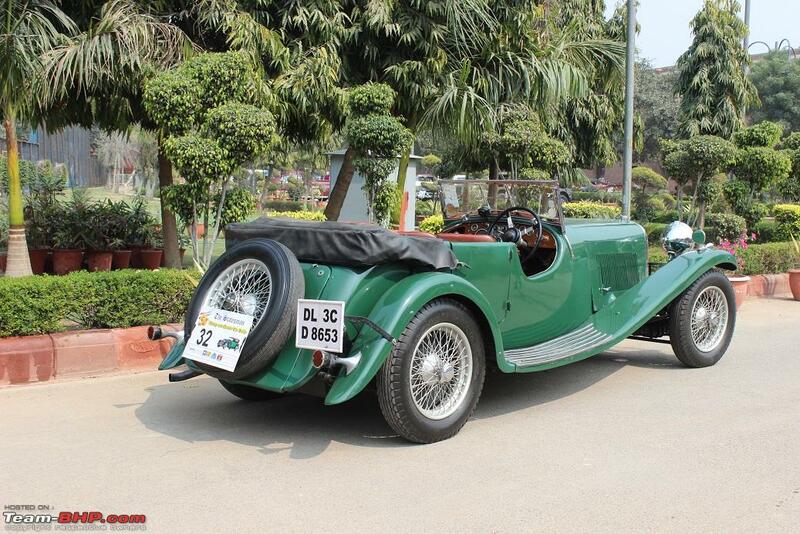 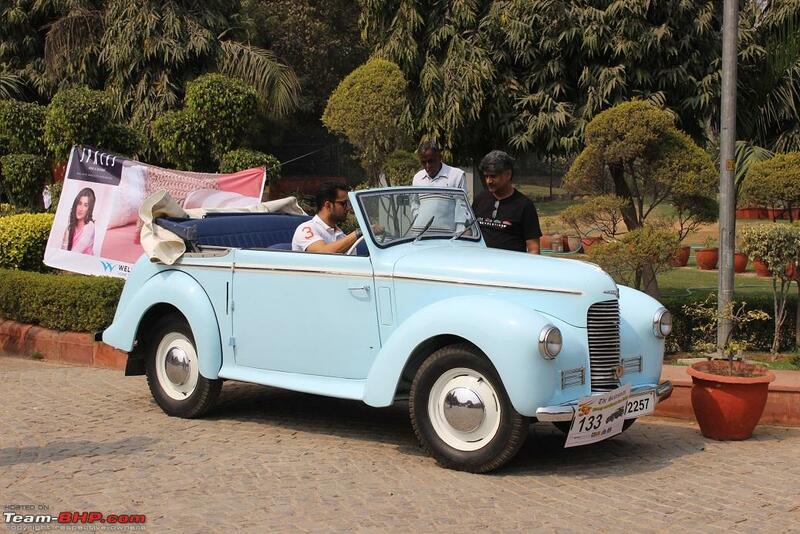 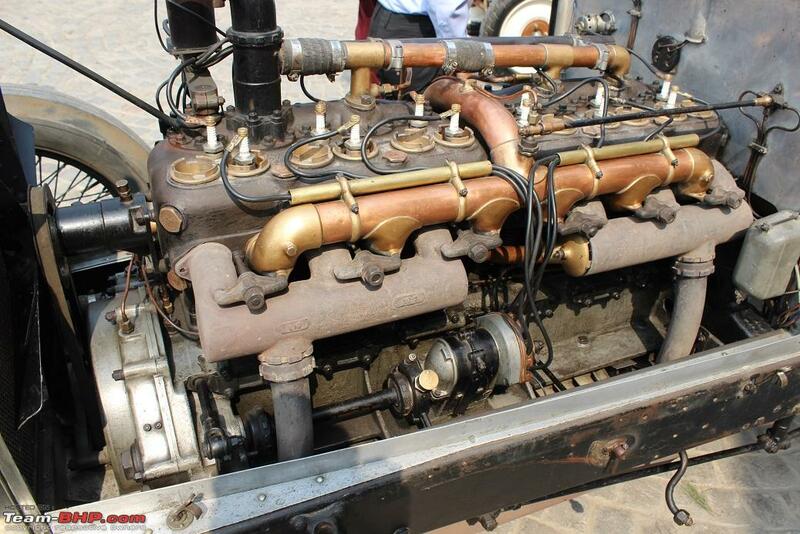 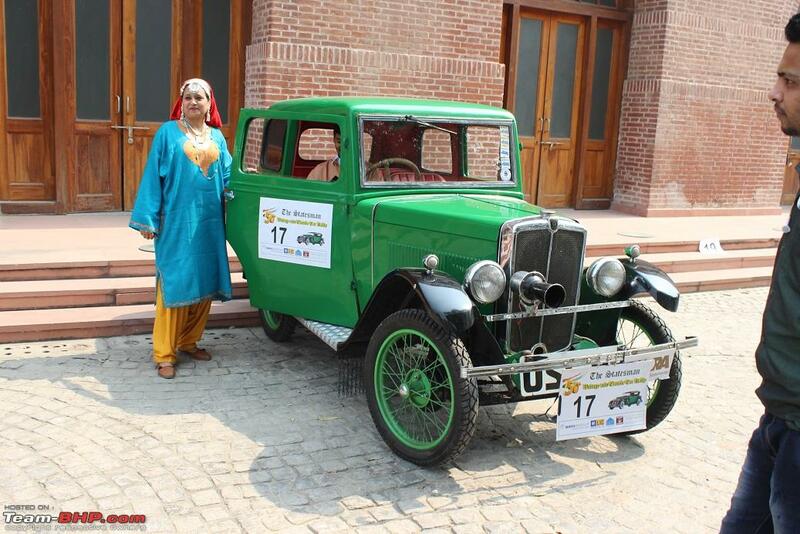 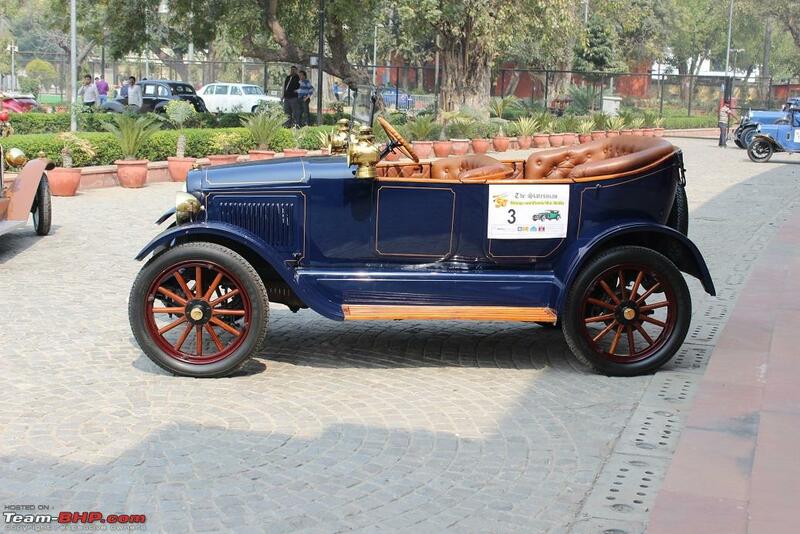 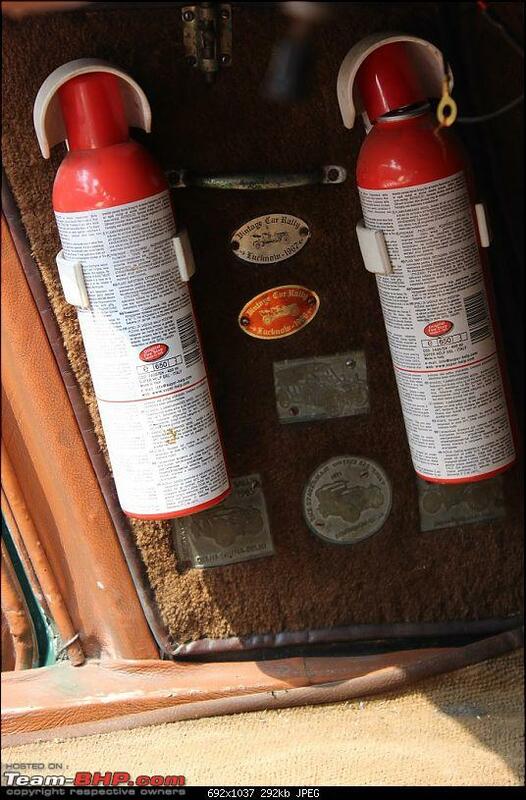 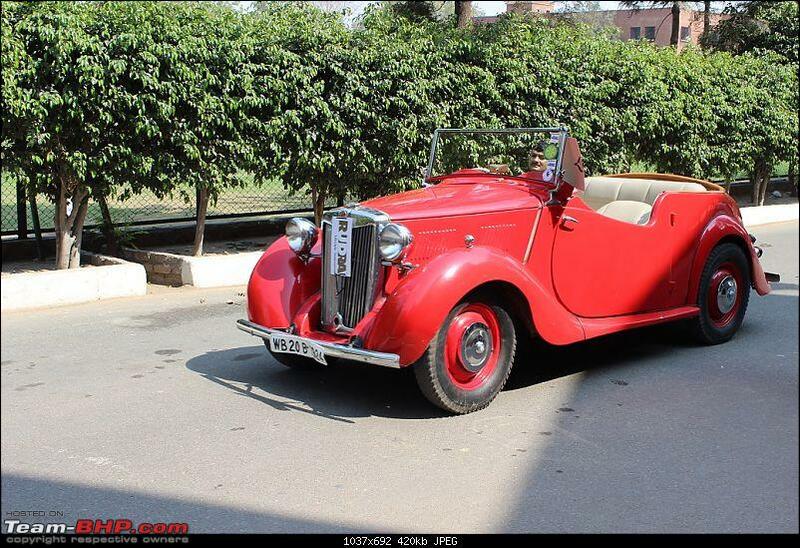 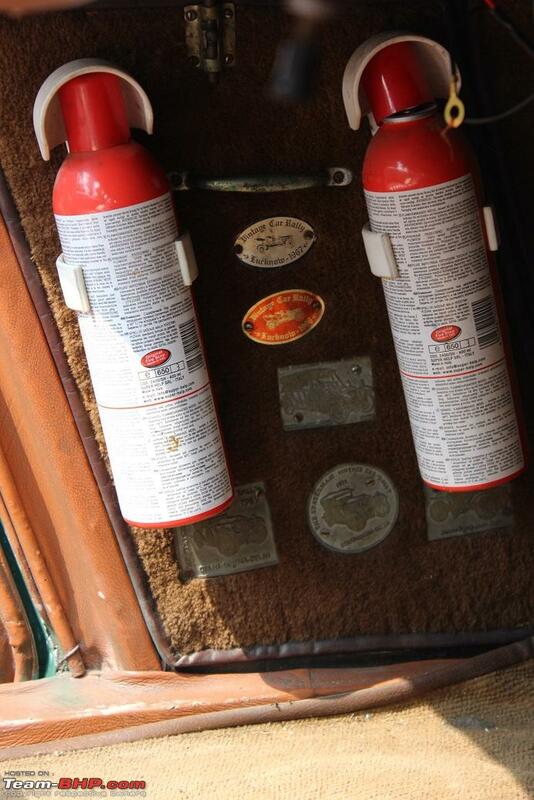 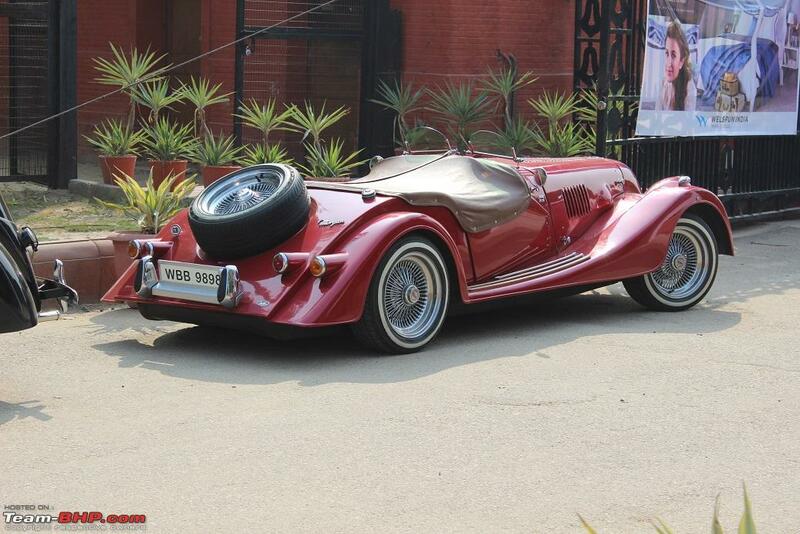 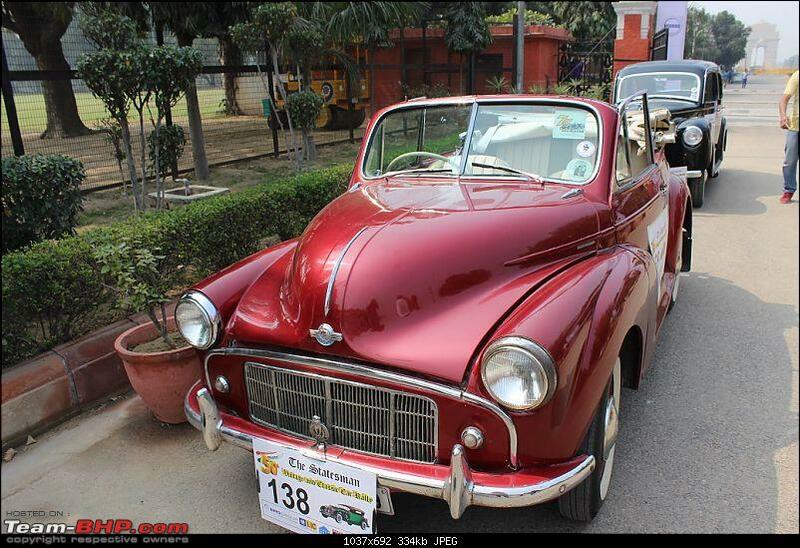 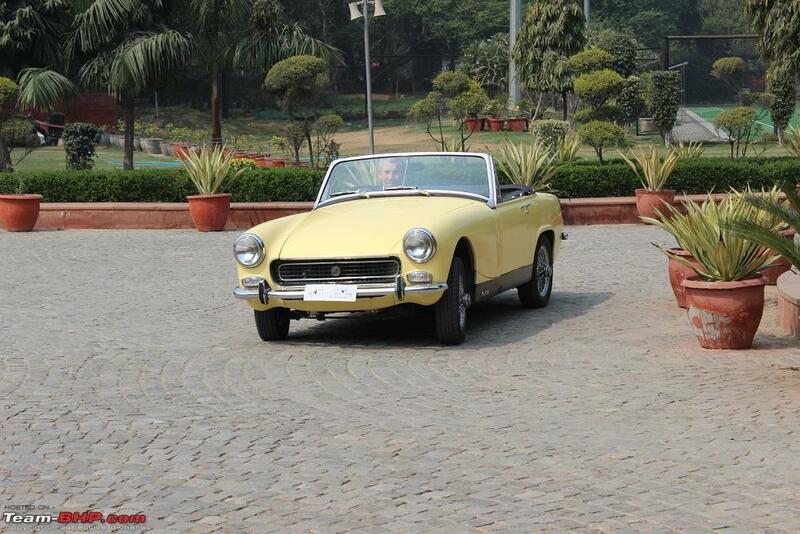 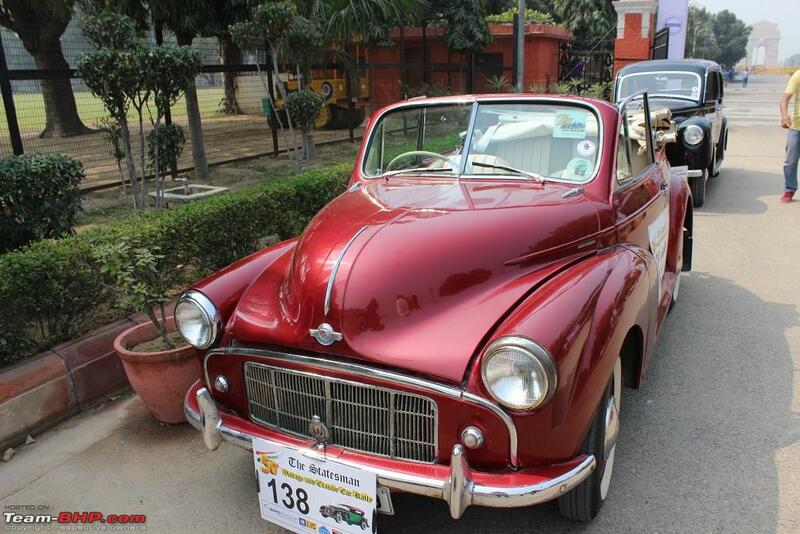 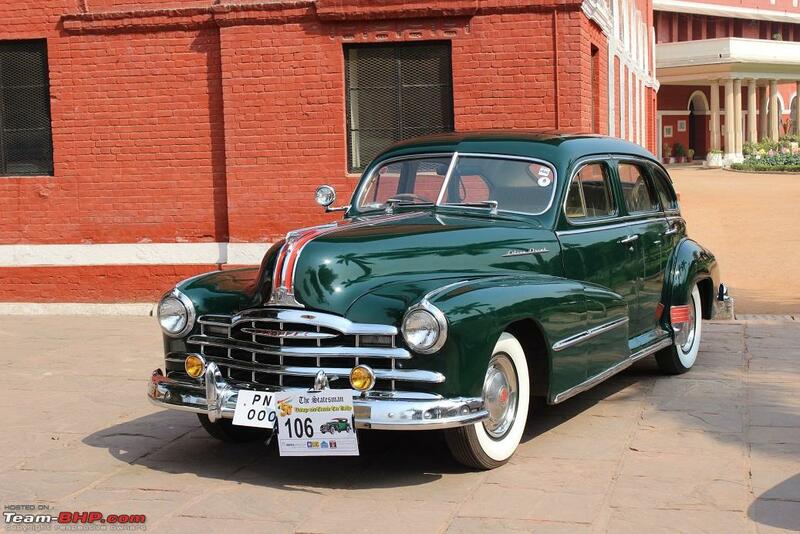 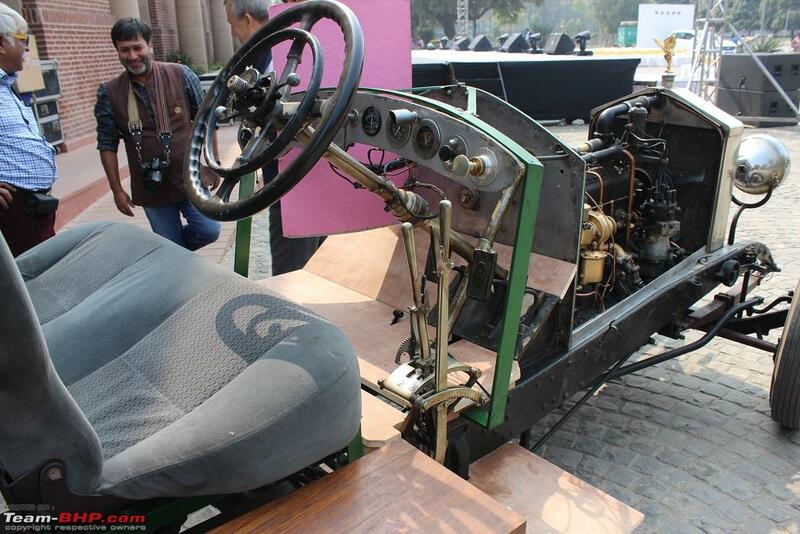 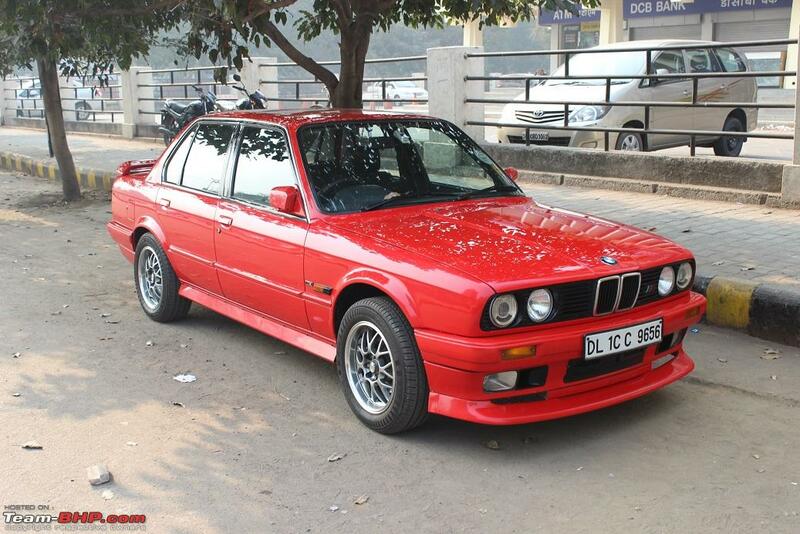 This highly original car has been with the Kalsia family from new, and has been undergoing restoration for decades. Mechanically the car is nearing completion, with the chasis being driven around the property. Next I suppose they will tackle the cosmetics. 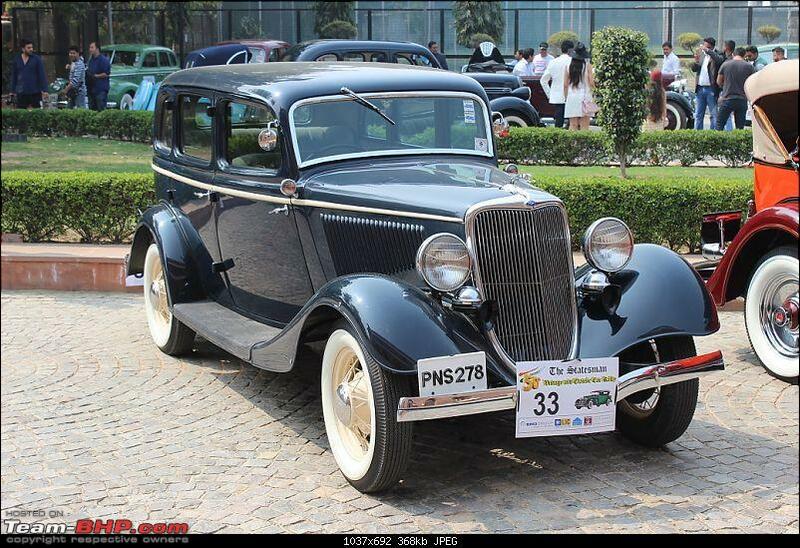 1930 Studebaker Commander, in Awini's family since new. 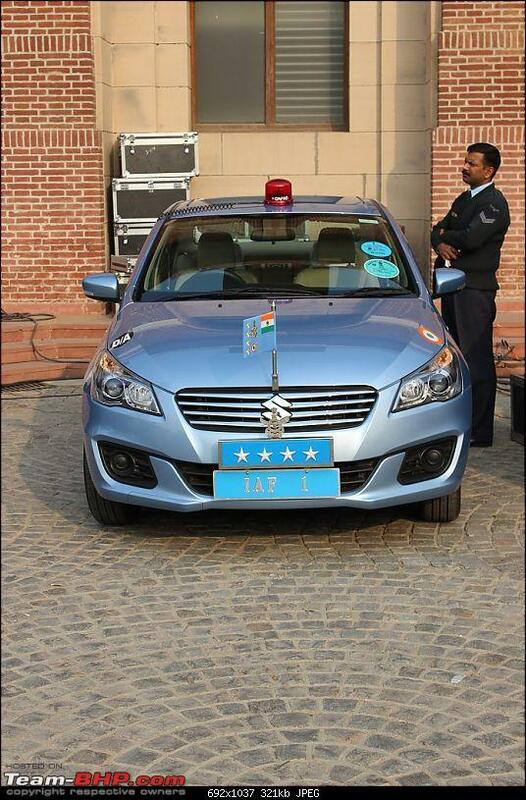 Flag-off was, if I'm not mistaken, by the Chief of the Air Force. The new Suzuki standing outside proudly bore plates "IAF 1"
Prizes are a big deal for the event, and they have beautiful trophies in comparison to what I am used to seeing at our end. 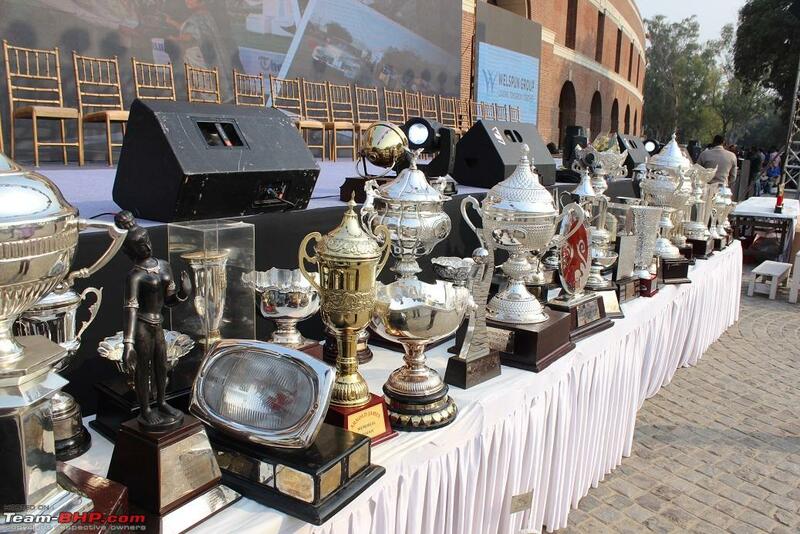 Multiple prize-winners are understandably proud of their achievements. 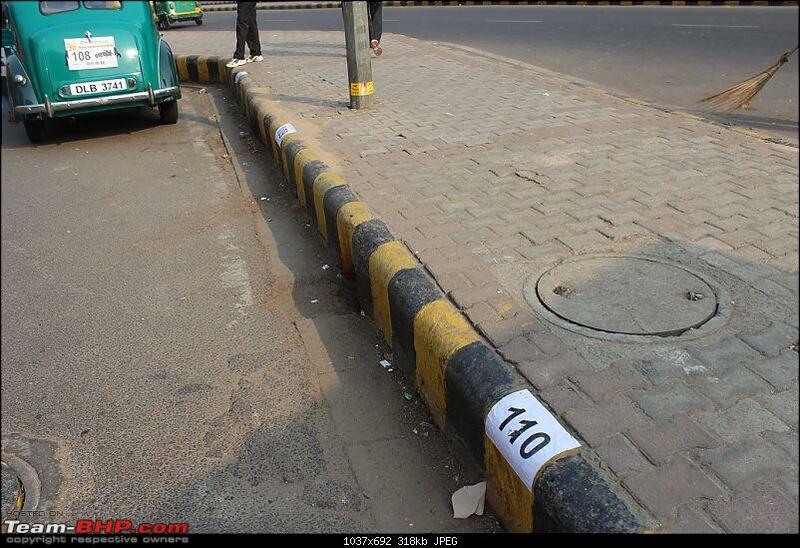 A very nice touch was allotting a fixed spot for each participant, identified by the competition number. 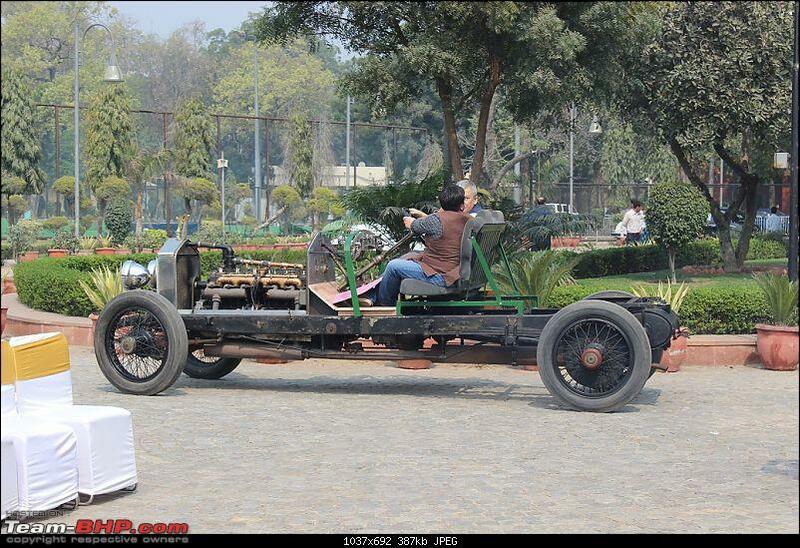 Given our space crunch we don't have such luxuries in Bombay though. 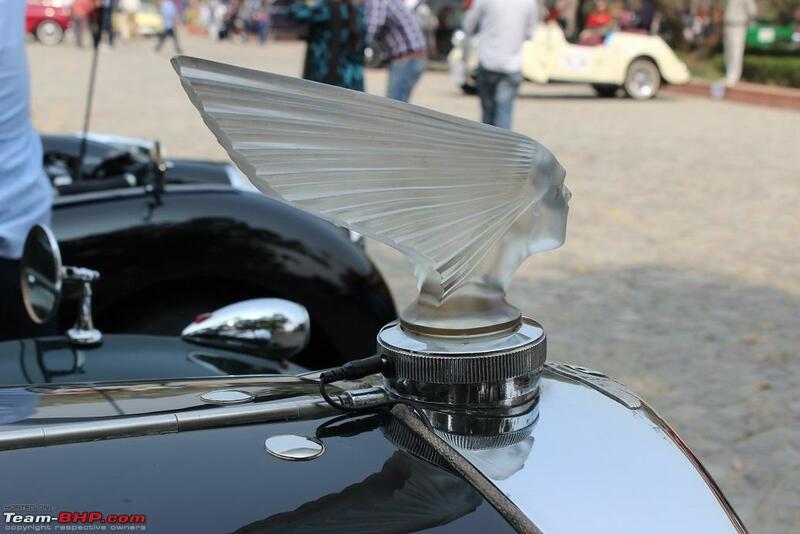 In conclusion, as most enthusiasts always say, the best part about these events is simply meeting old and new friends and having a jolly good time. 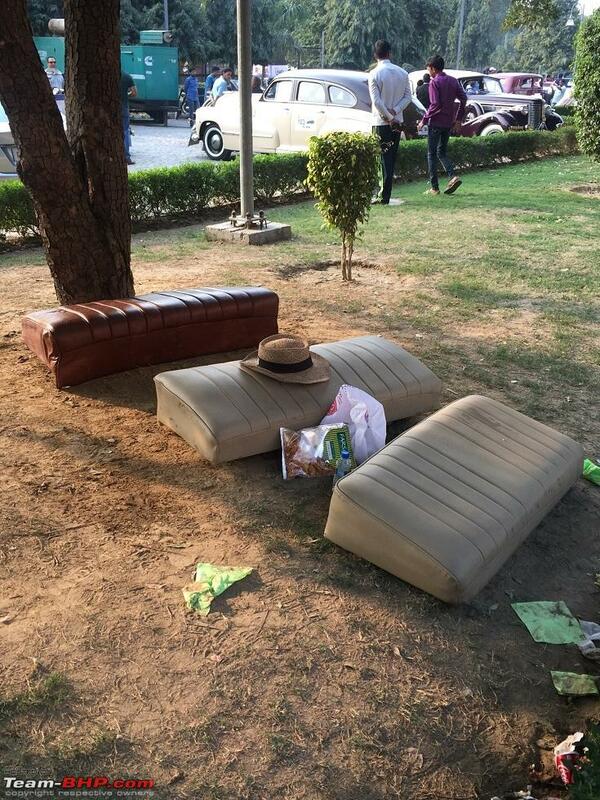 An impromptu picnic seemed to be having the most fun. No place to sit? 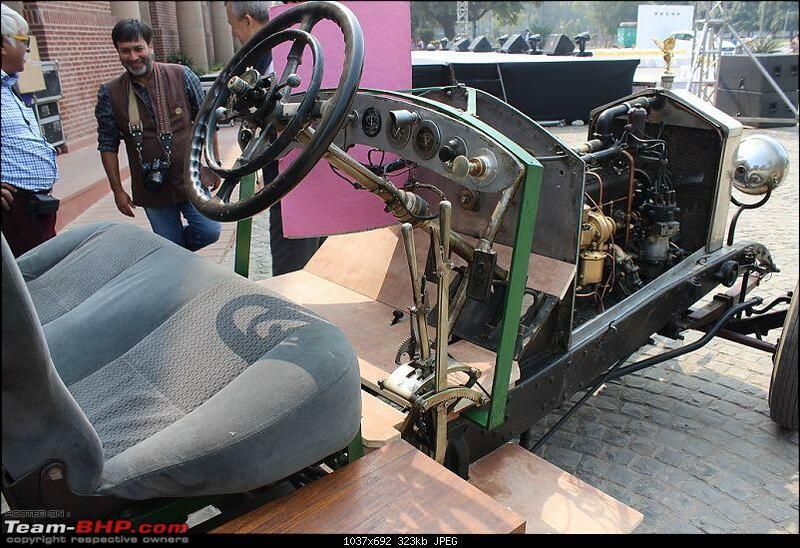 Pull the seats out of the Ford, and problem solved. 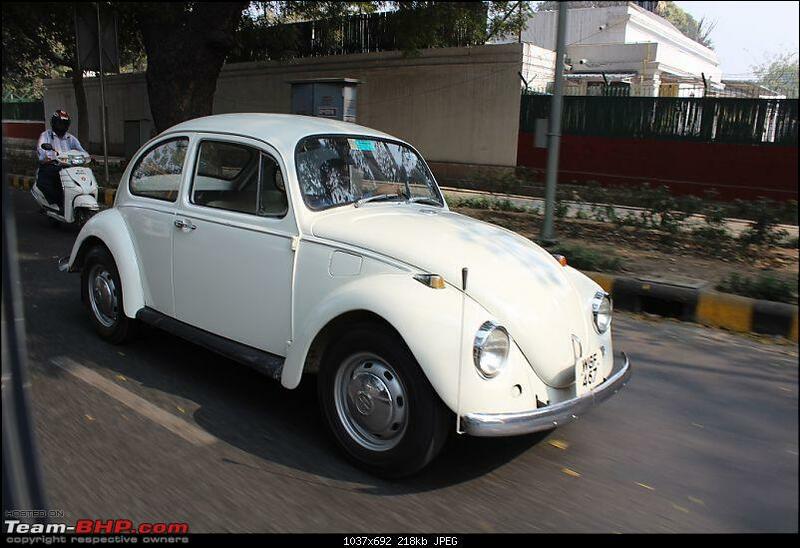 Last edited by karlosdeville : 17th March 2016 at 16:28. 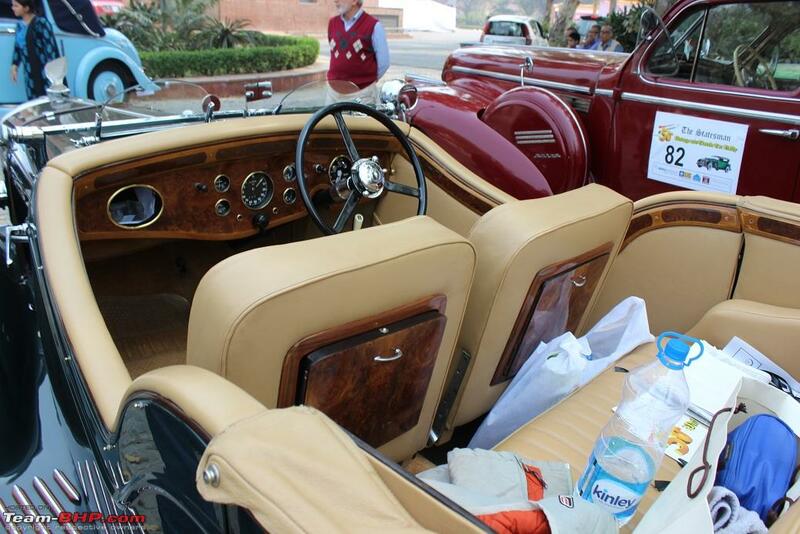 Thread moved from the Assembly Line to the Classic Car Section. Thanks for sharing! Thanks Karl, This car has a mix of parts from 1930 to 1933, here is another picture from the rally. Glad to see a Herald attending these 'major' events again! 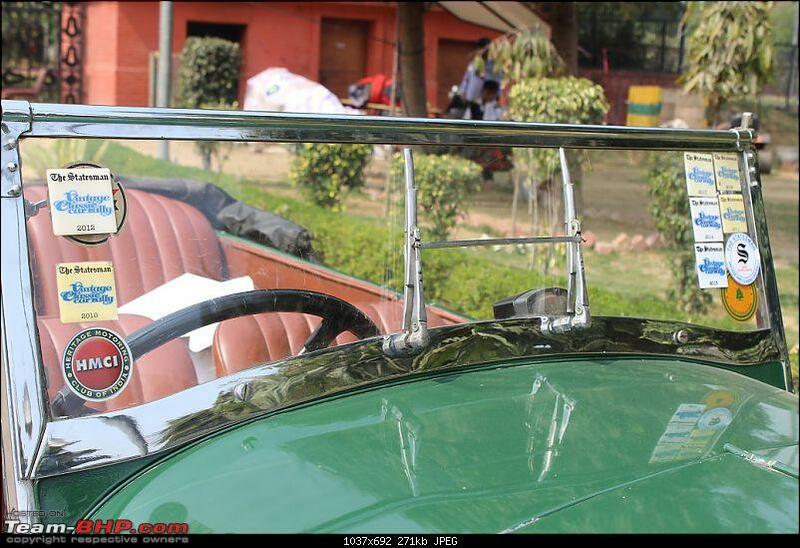 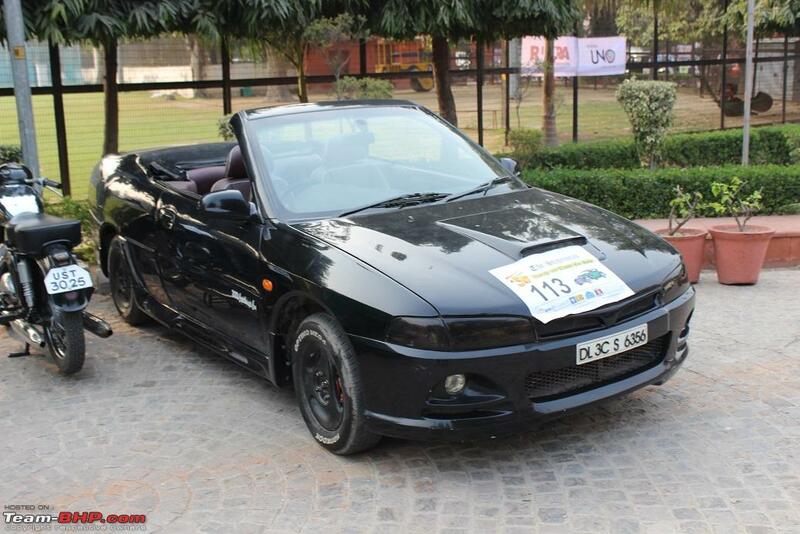 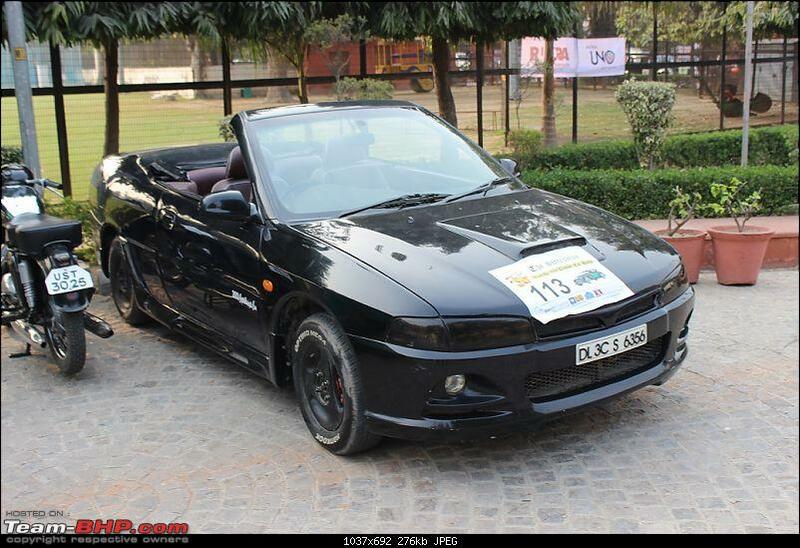 That's NOT a convertible though, just a saloon with roof taken off and a "kaenchi" (scissor) top fitted! 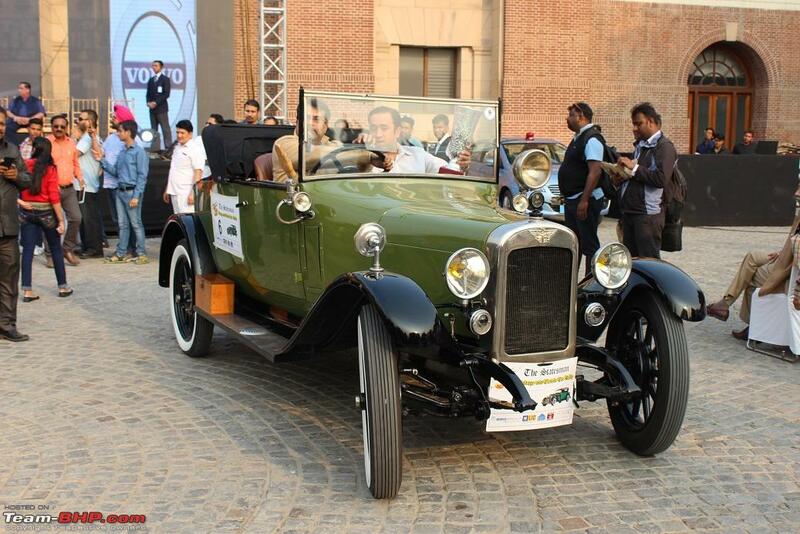 But even then, its a welcome sight; pity I couldn't make it for this event- or any Statesman one (yet) for that matter! 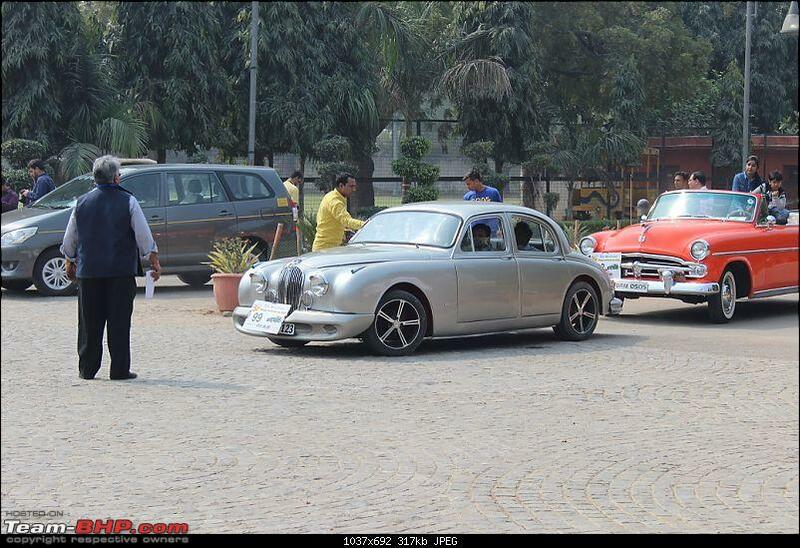 What a super collection of cars. 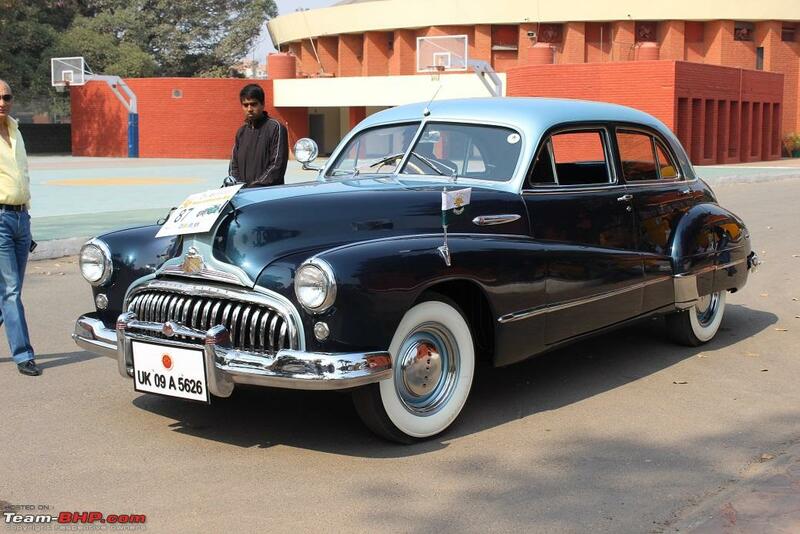 Amazing to such a number of high quality Buick's. 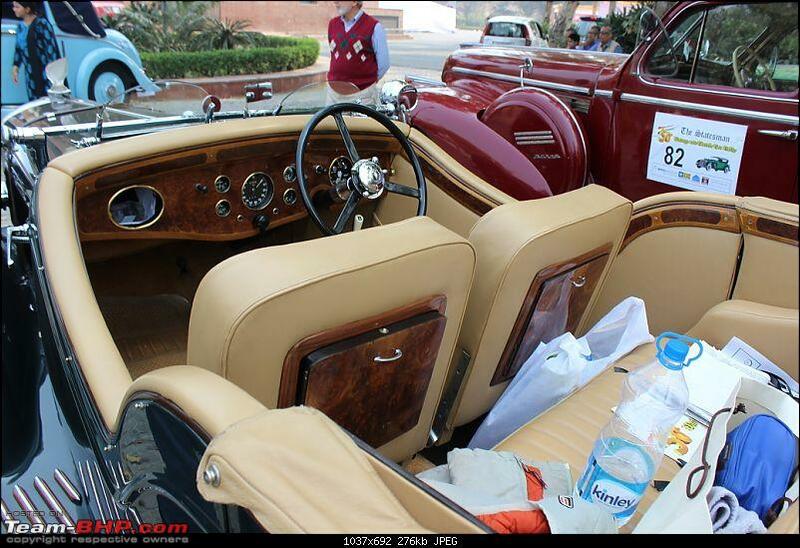 Thanks Karl for the wonderful report and pictures. 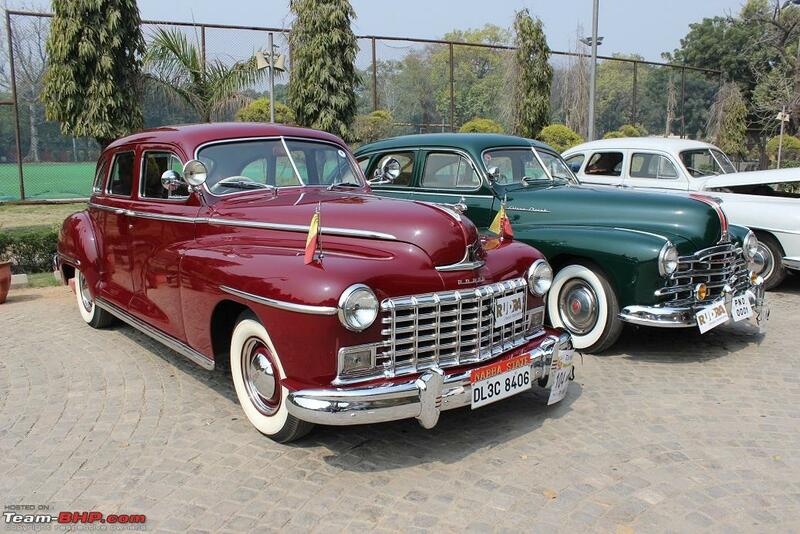 Did share it with the KVCCC Group to make them appreciate the quality of cars in the other parts of the country. 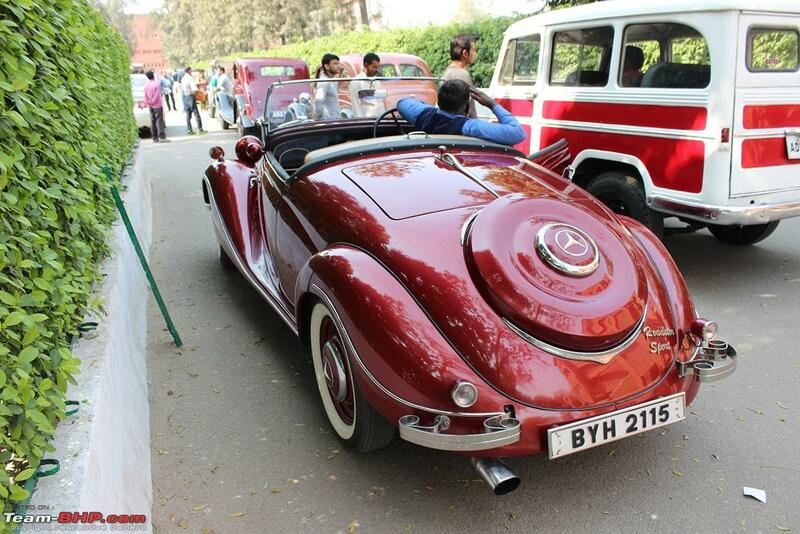 Great coverage and, by and large, a wonderful collection of cars. 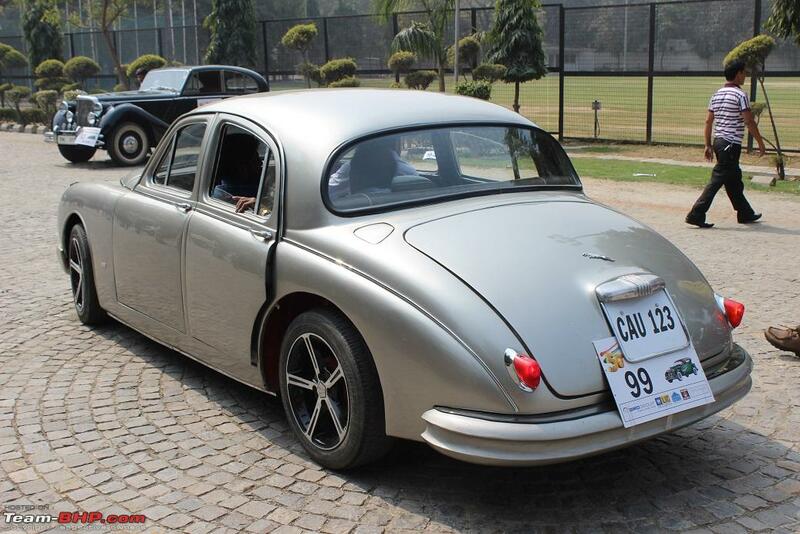 Apart from the few awful, cringe-inducing examples, like the silver Mark II / S-type Jaguar - a splendidly awful example, with the ghastly alloy wheels and those incredible bumpers! 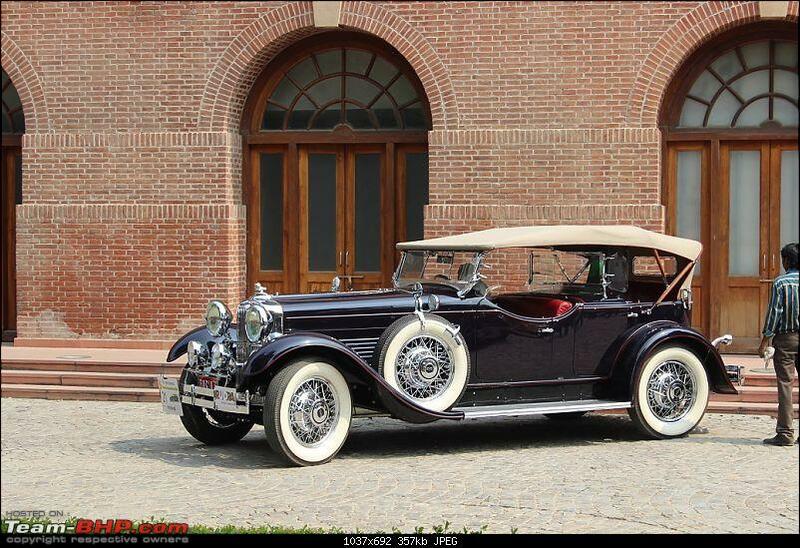 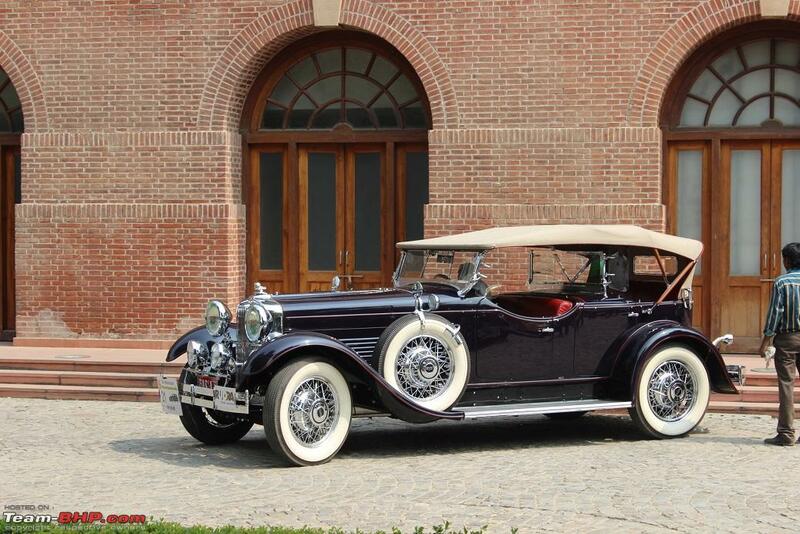 In direct contrast to the Lagonda and Stutz which capture the grace of the period so well. 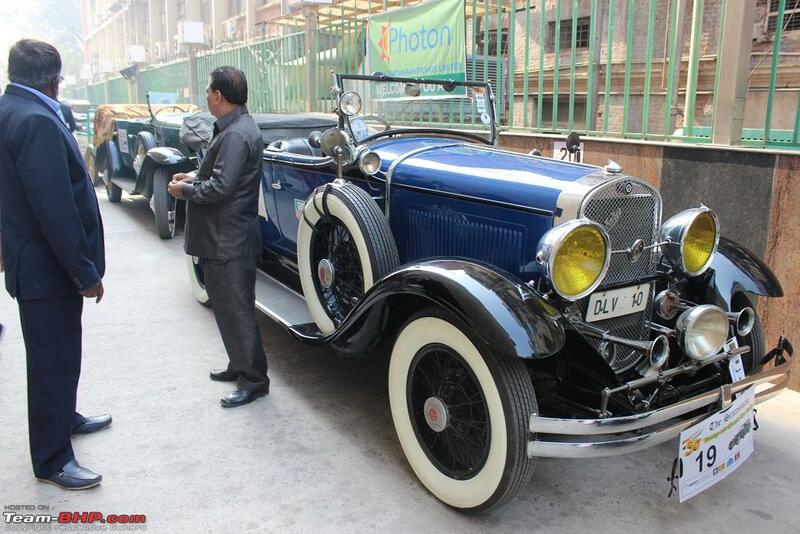 Beautiful cars each one of them. 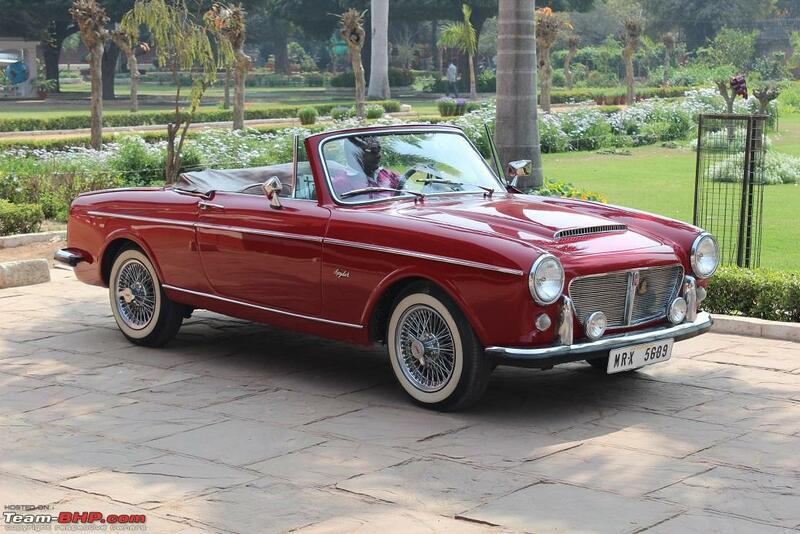 The Fiat 1960 Spyder looks startlingly modern in its stance. 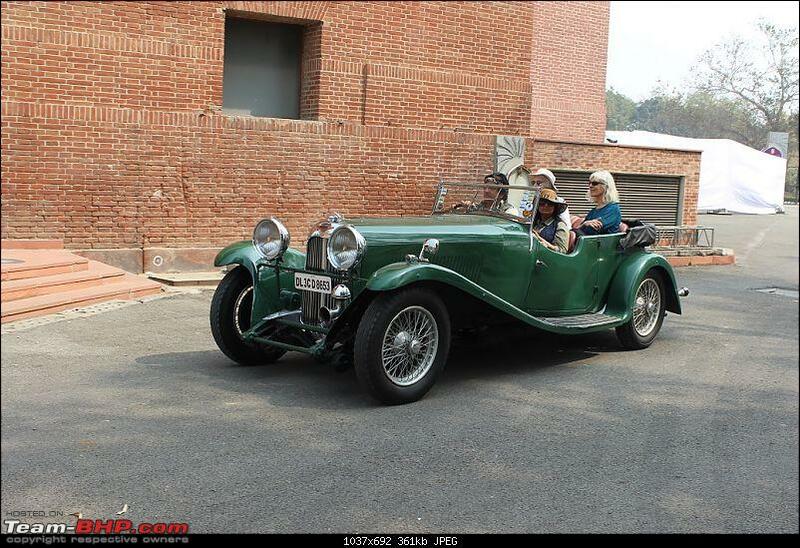 That would be a nice car to drive in cool weather on a lazy day. The Heralds were nice little cars too in their time.